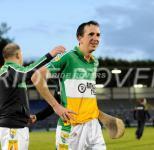 All Smiles at the end ! 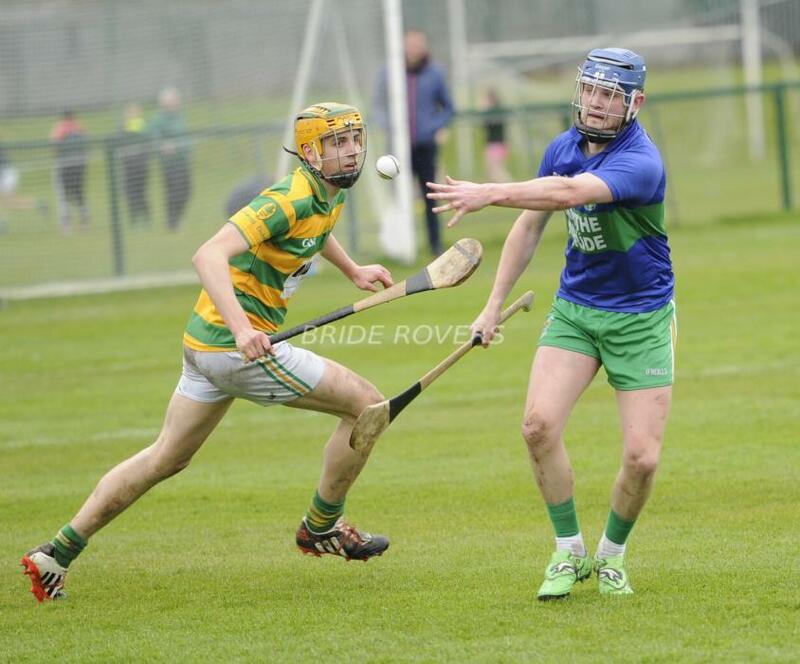 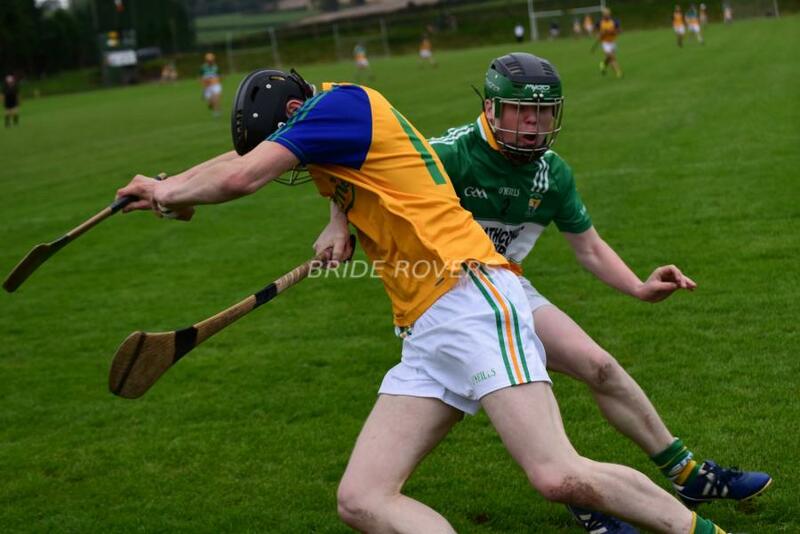 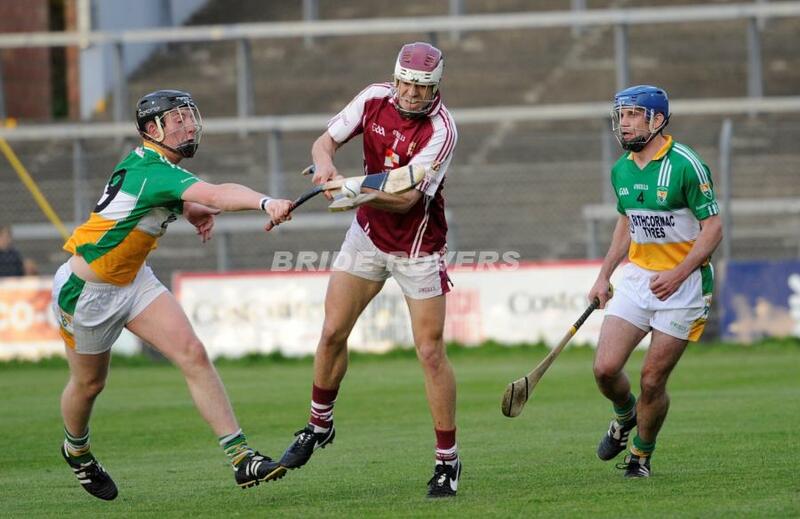 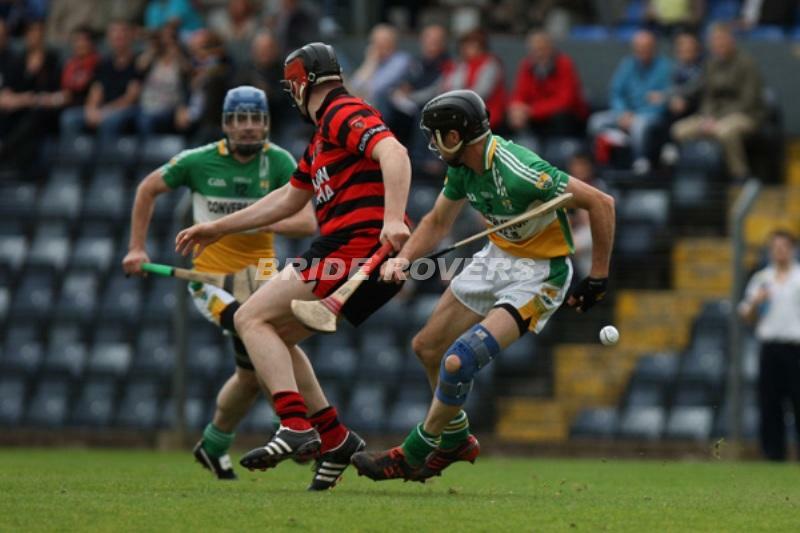 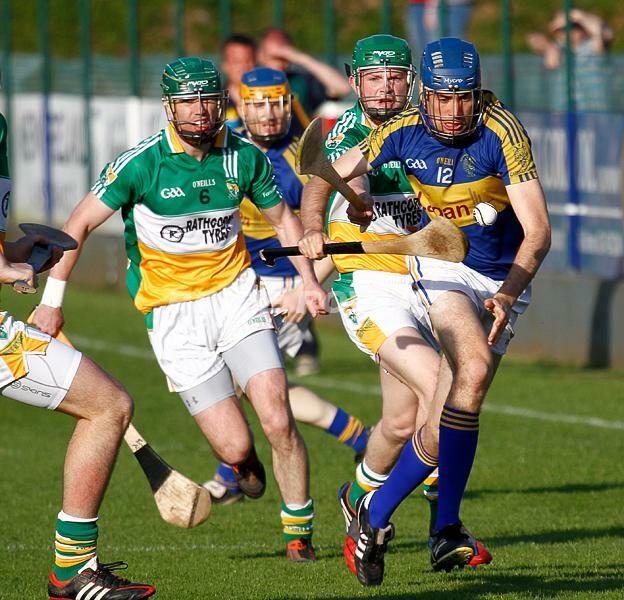 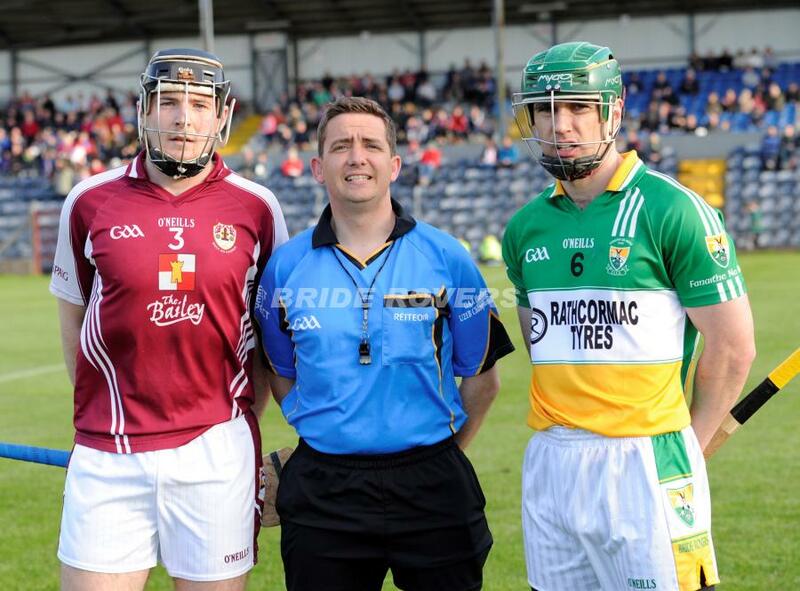 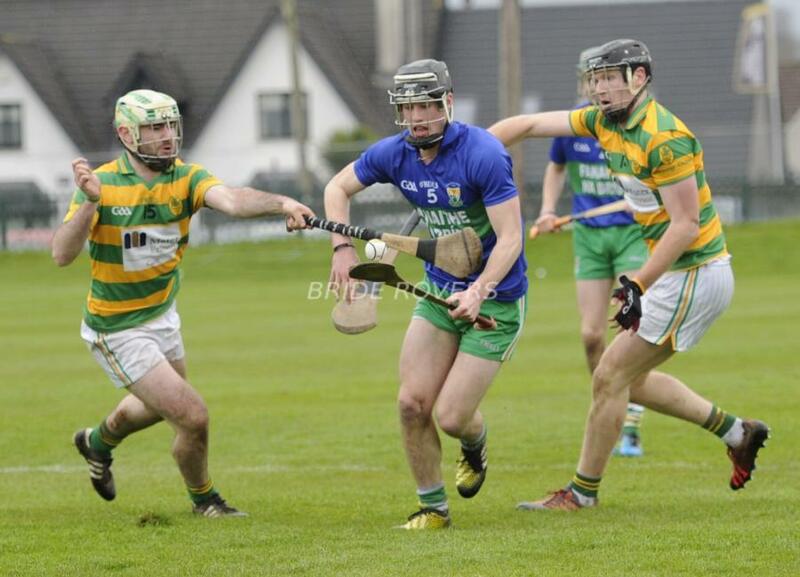 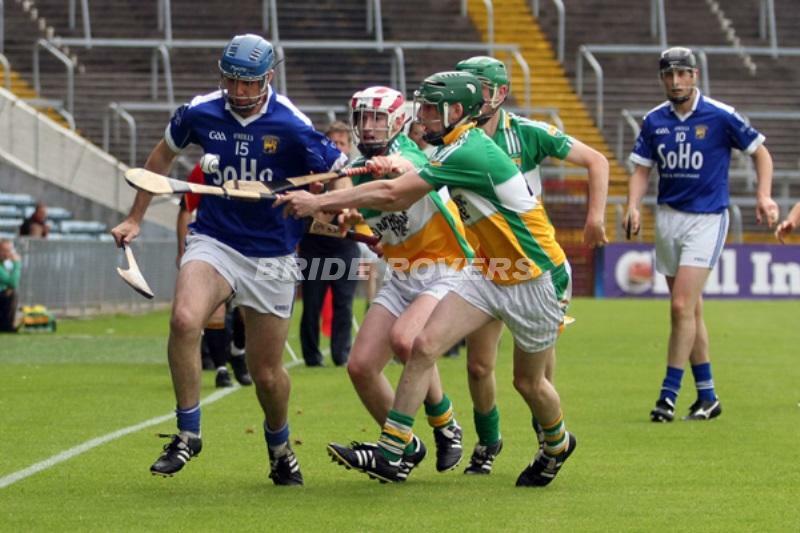 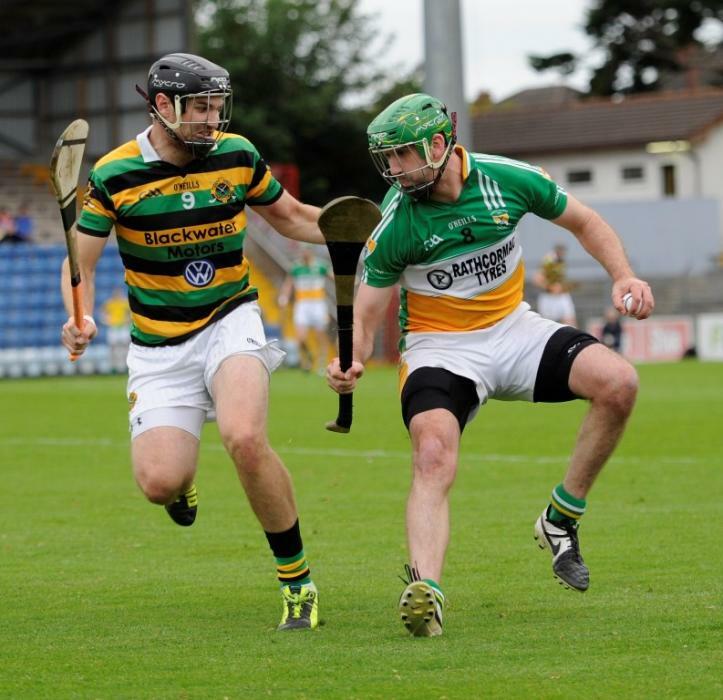 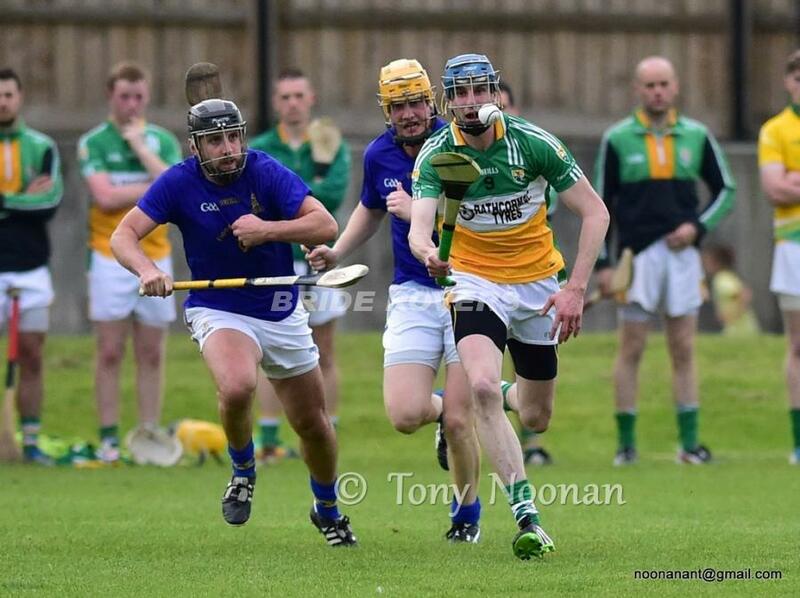 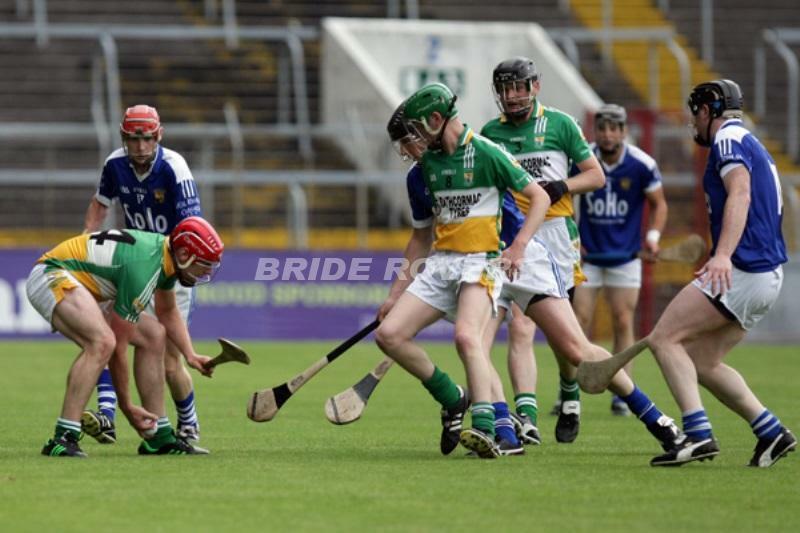 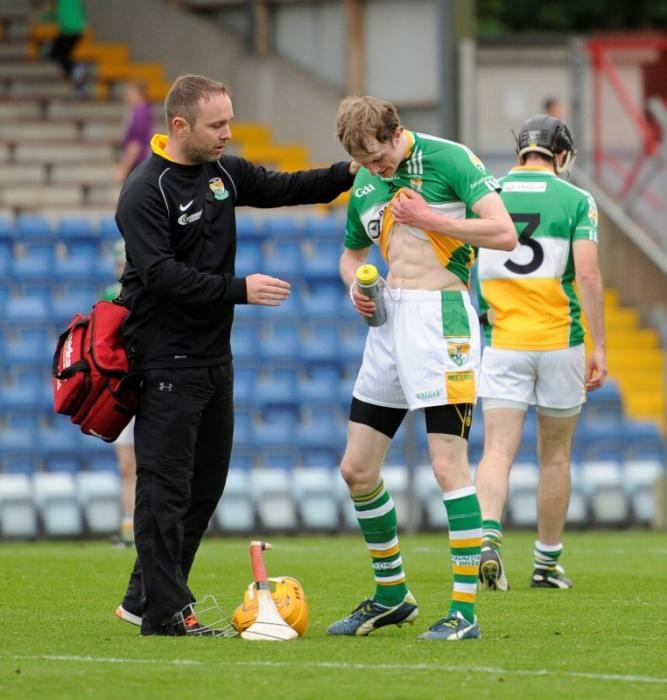 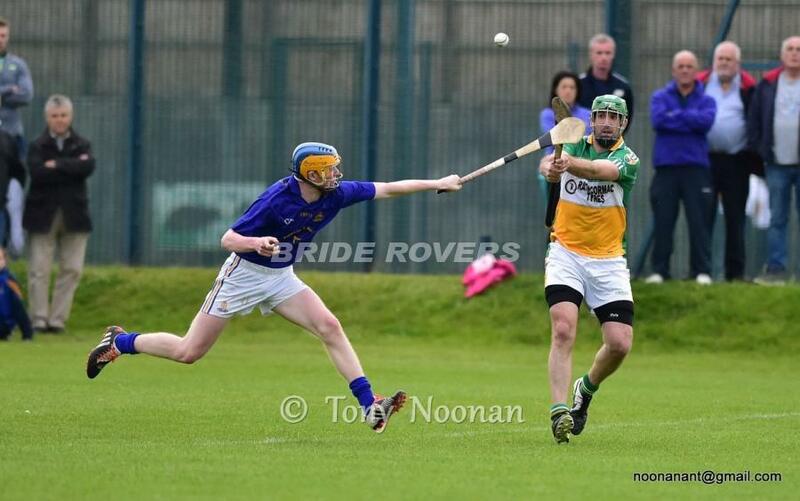 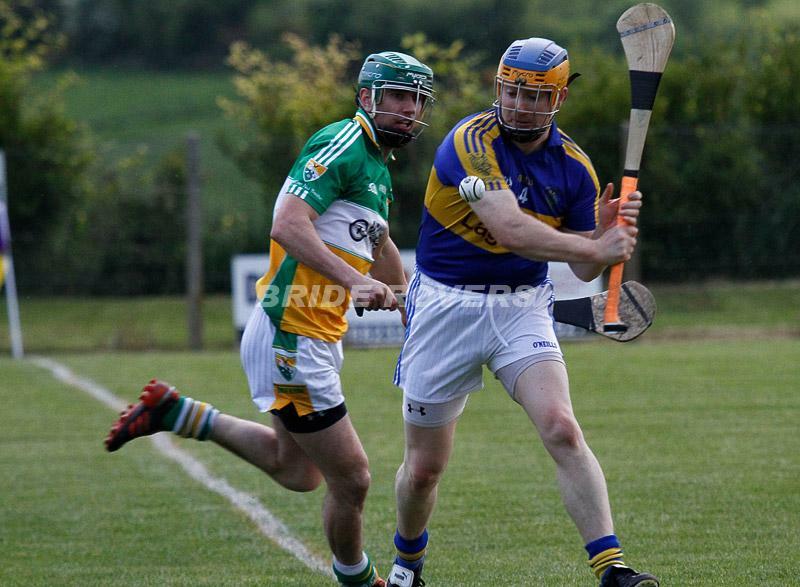 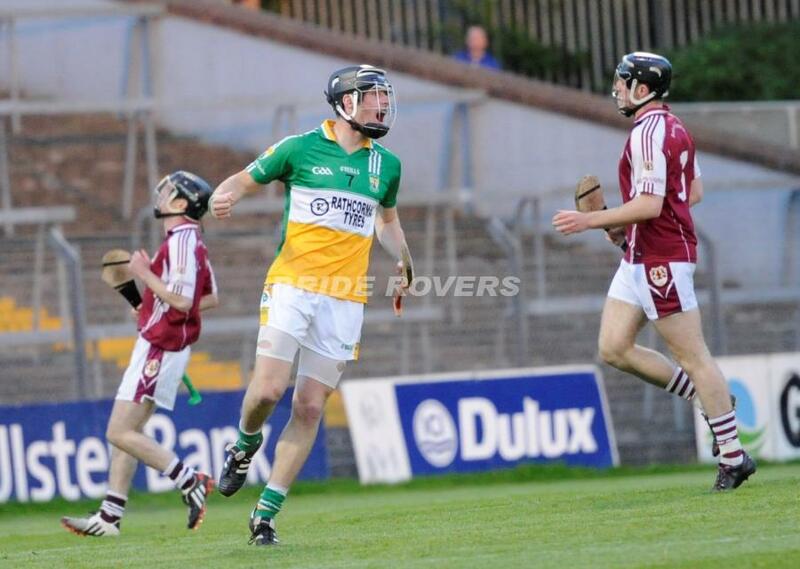 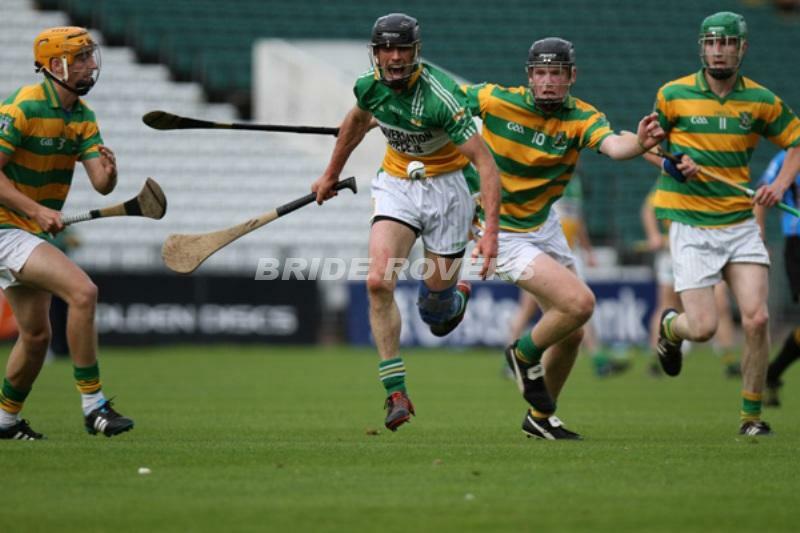 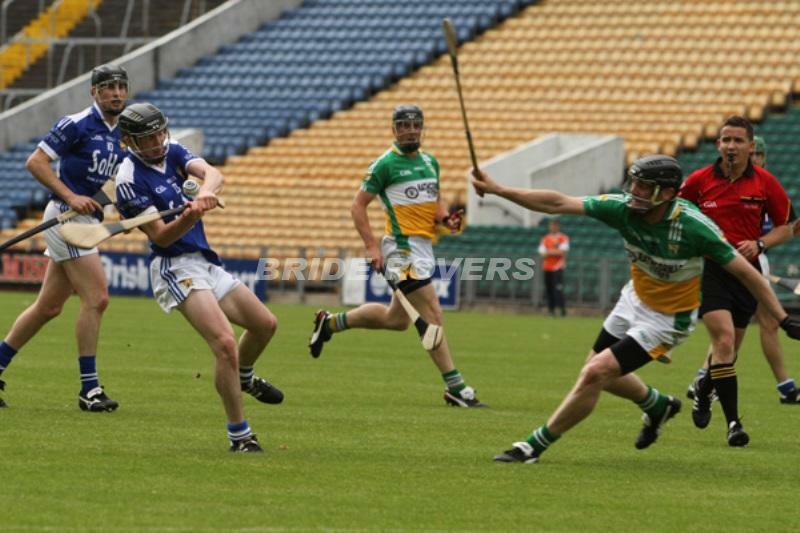 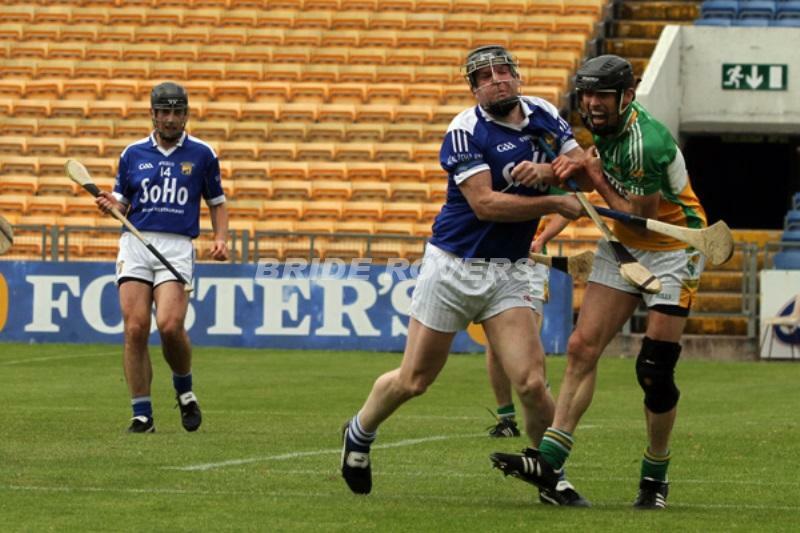 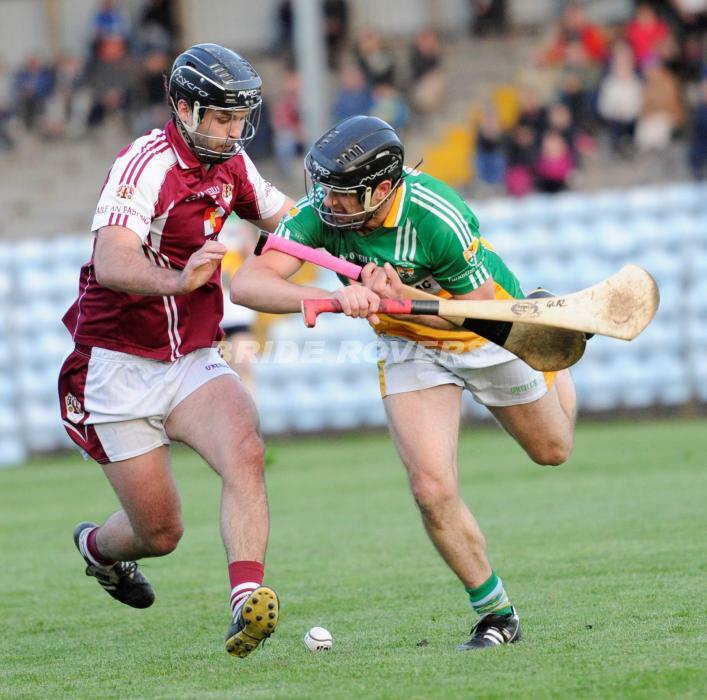 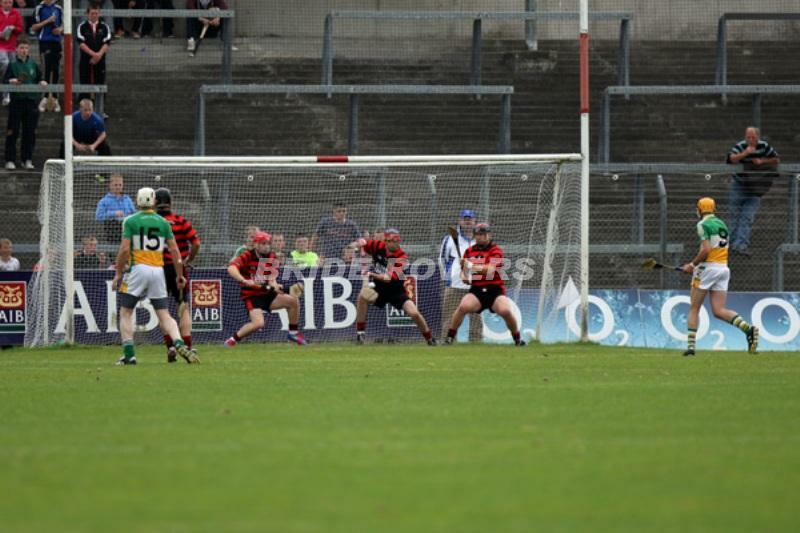 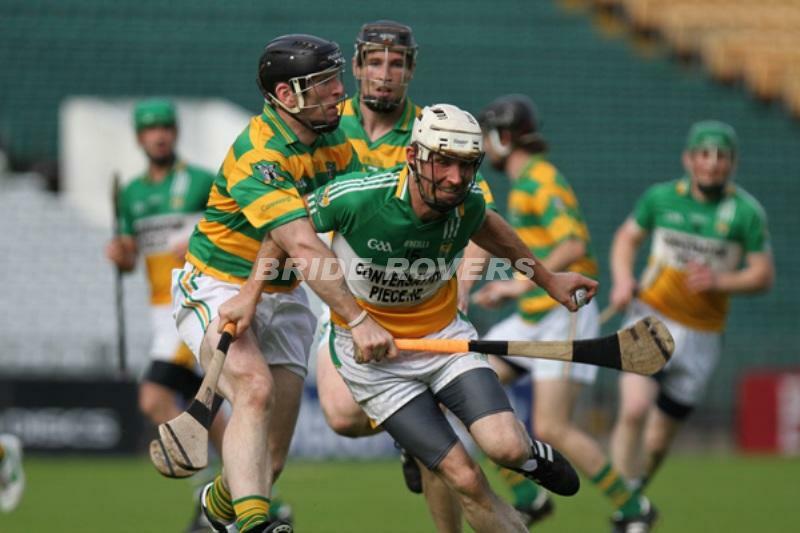 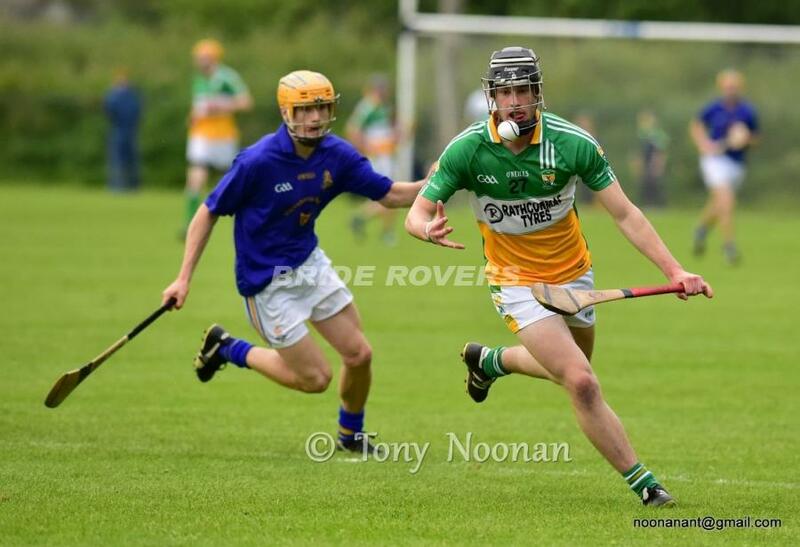 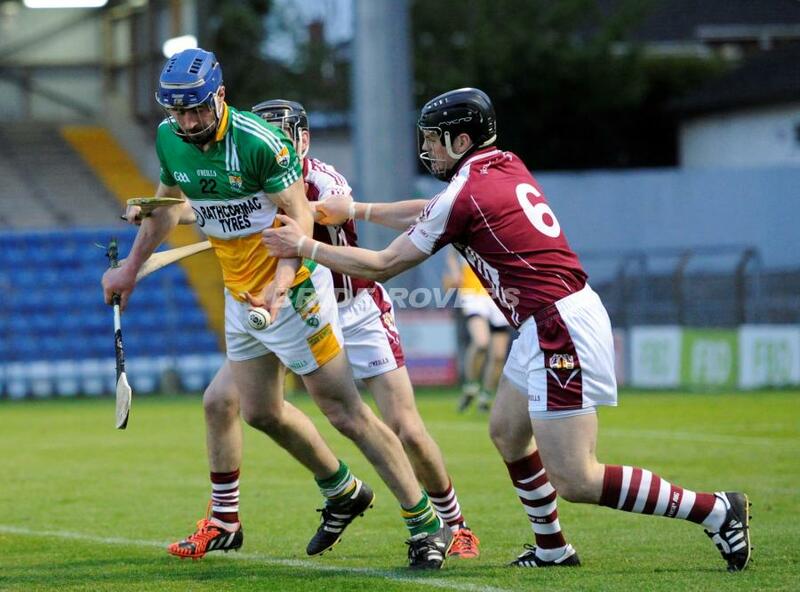 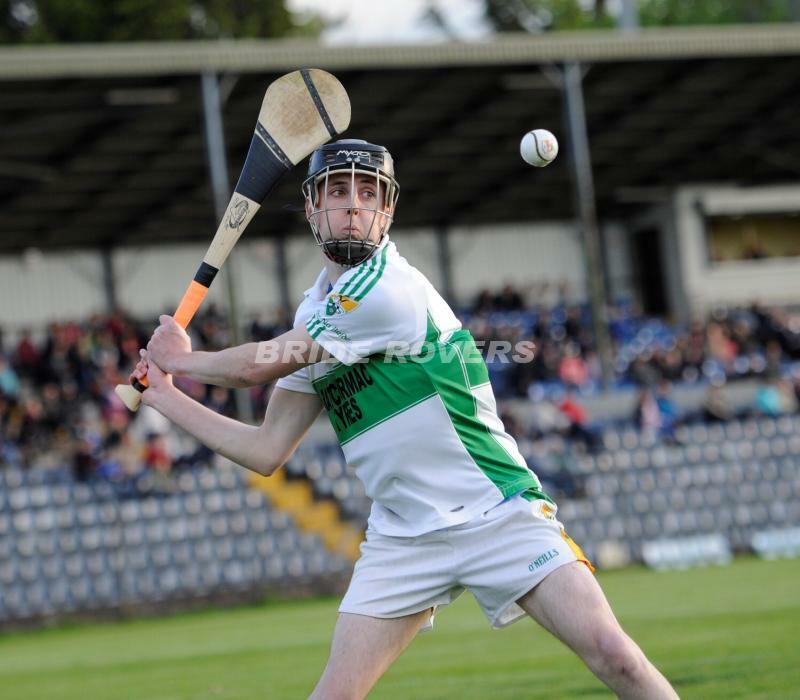 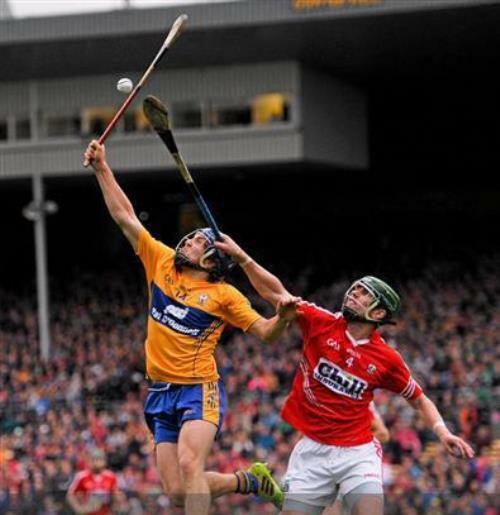 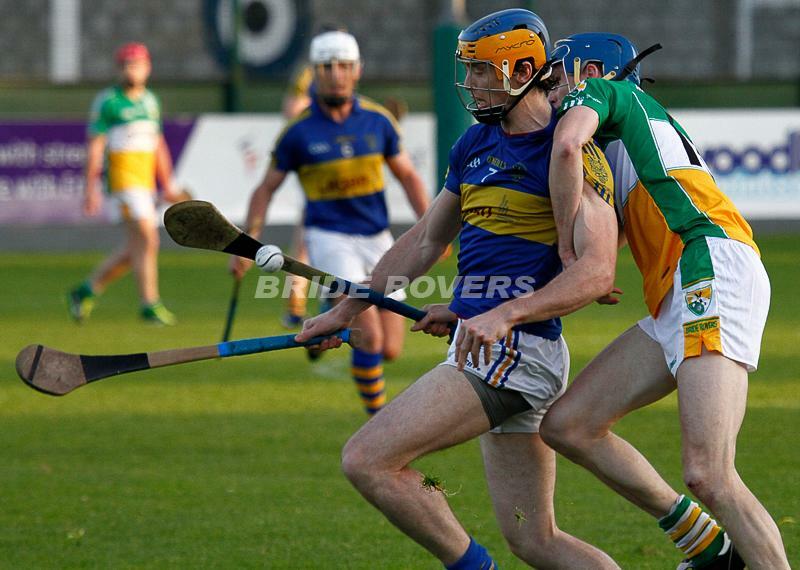 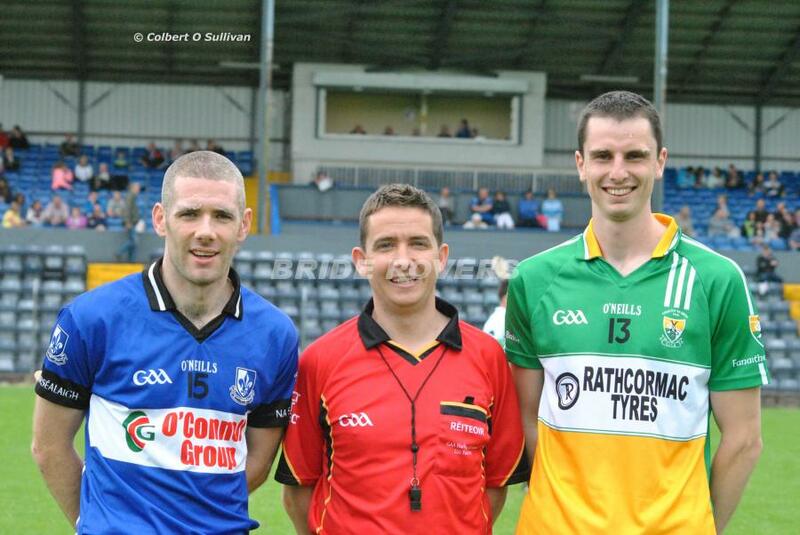 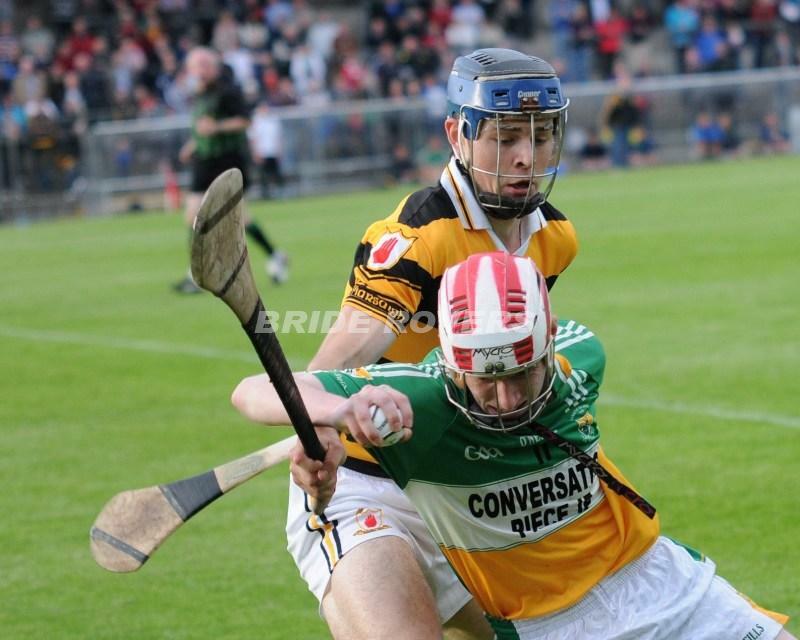 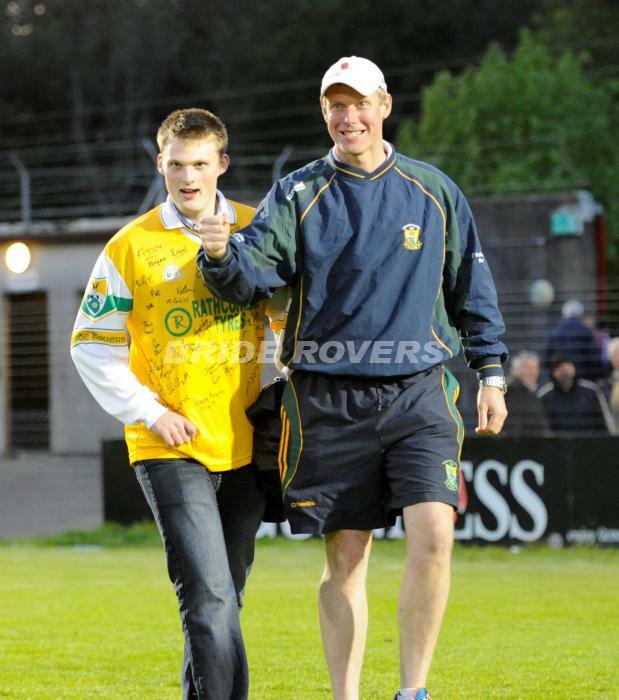 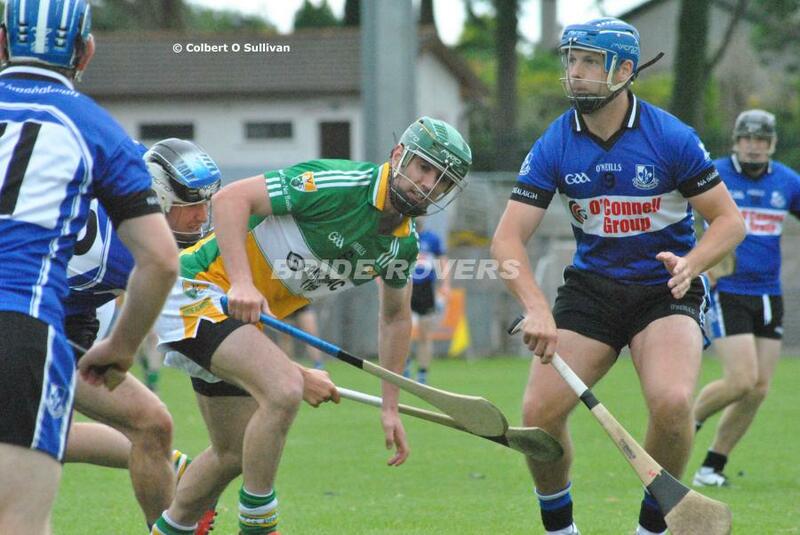 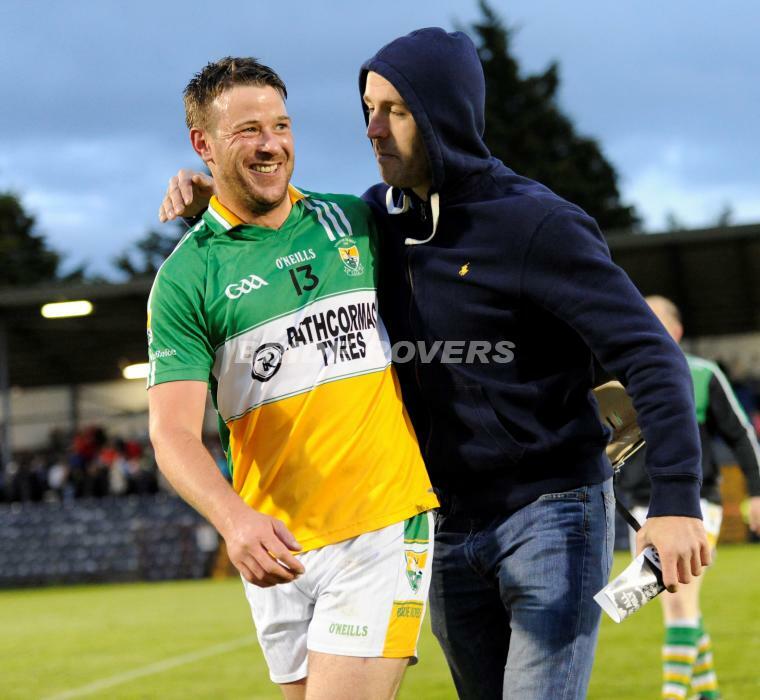 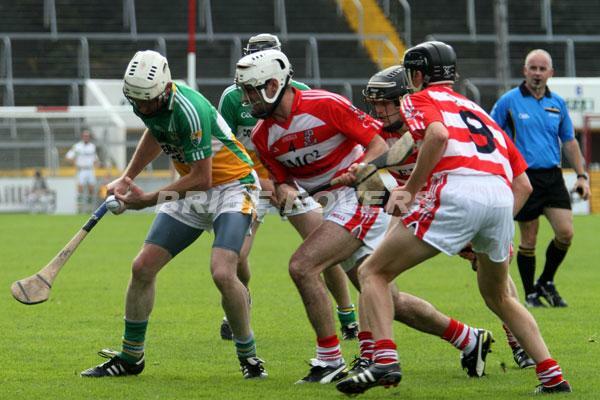 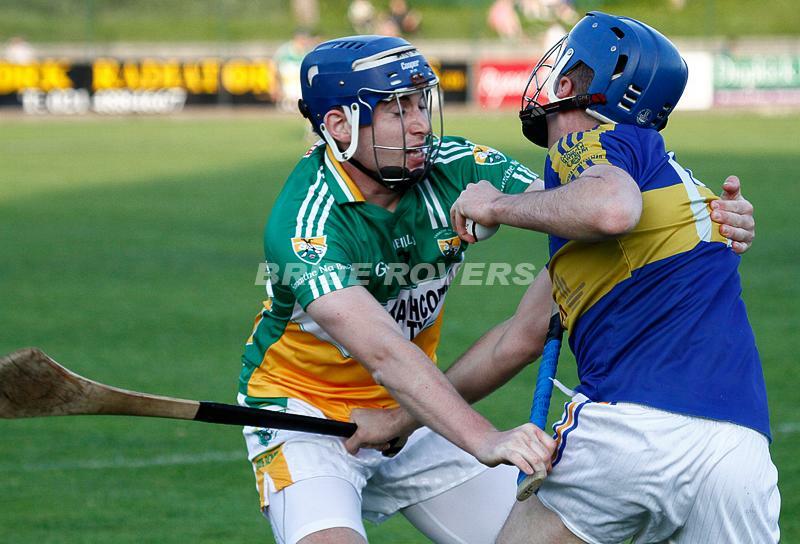 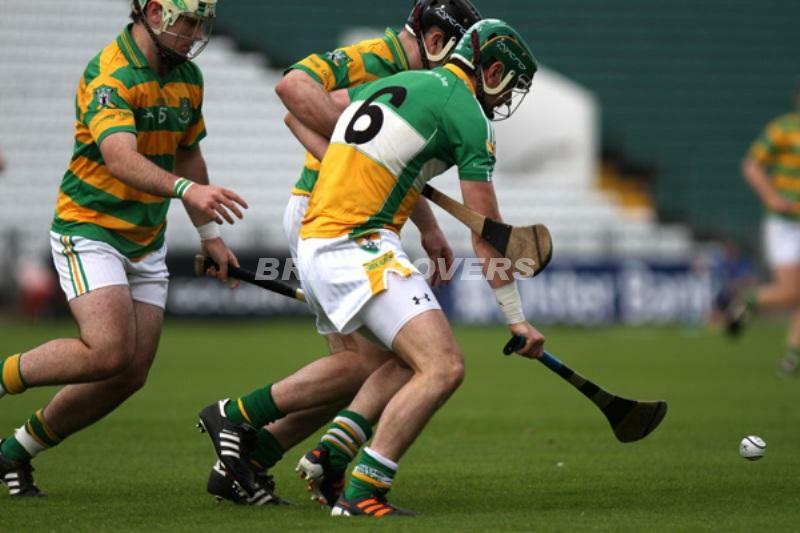 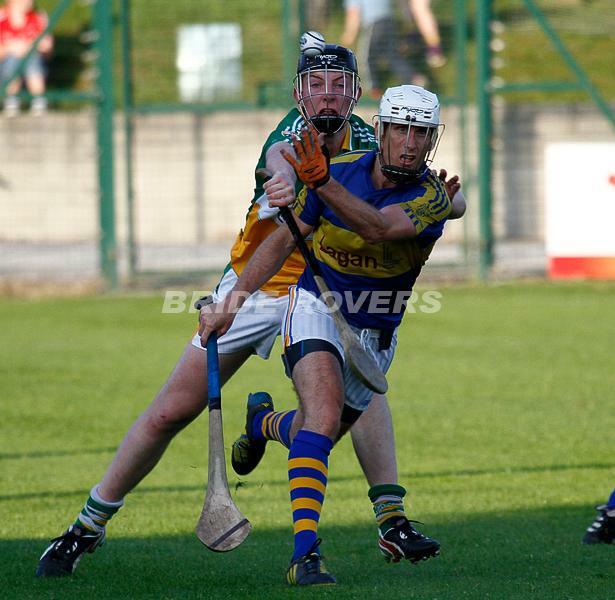 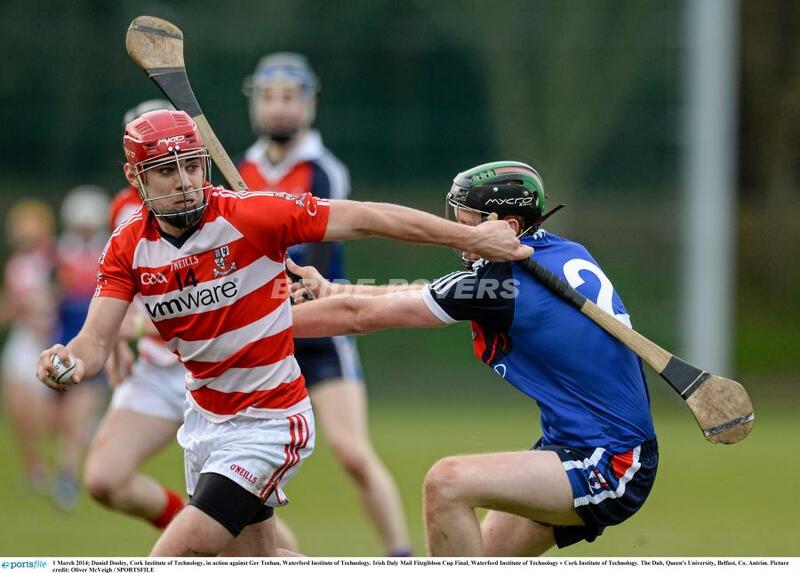 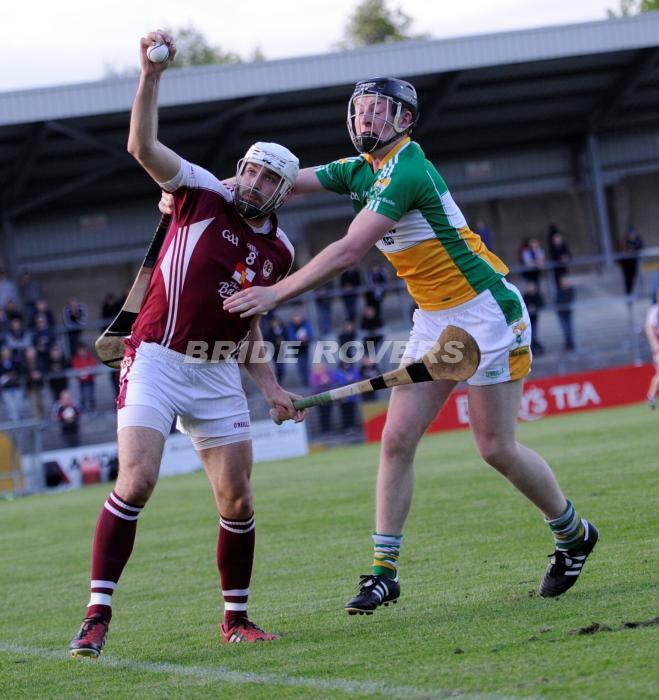 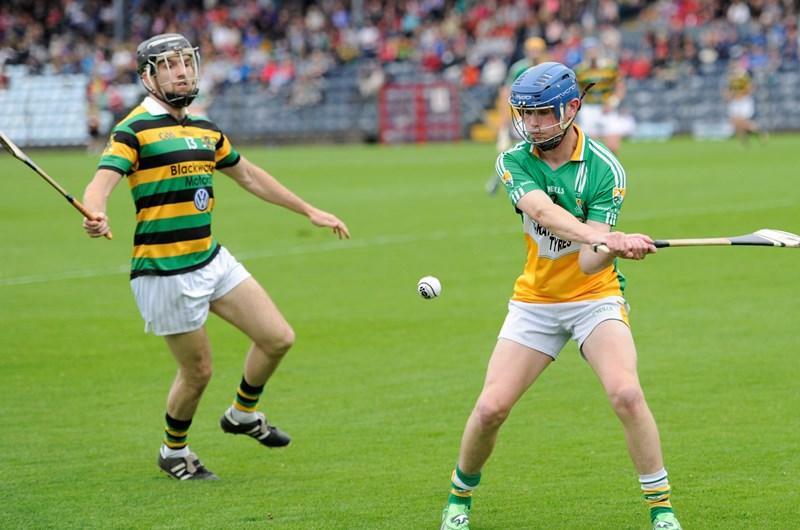 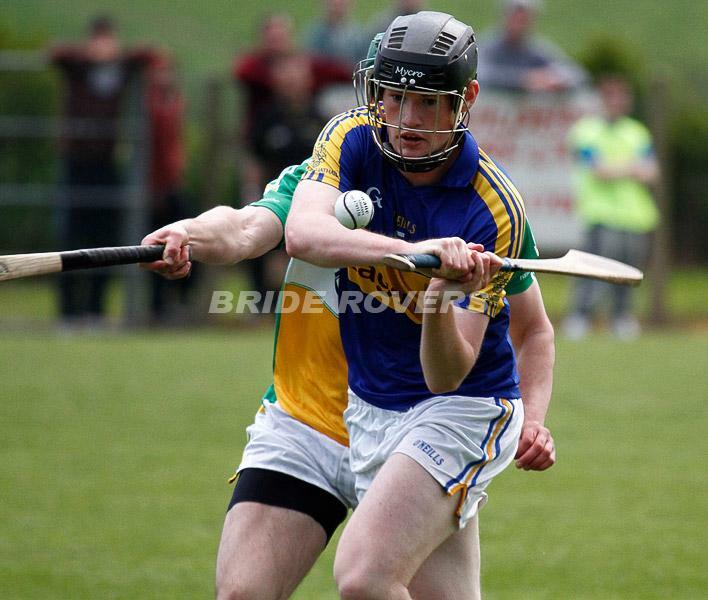 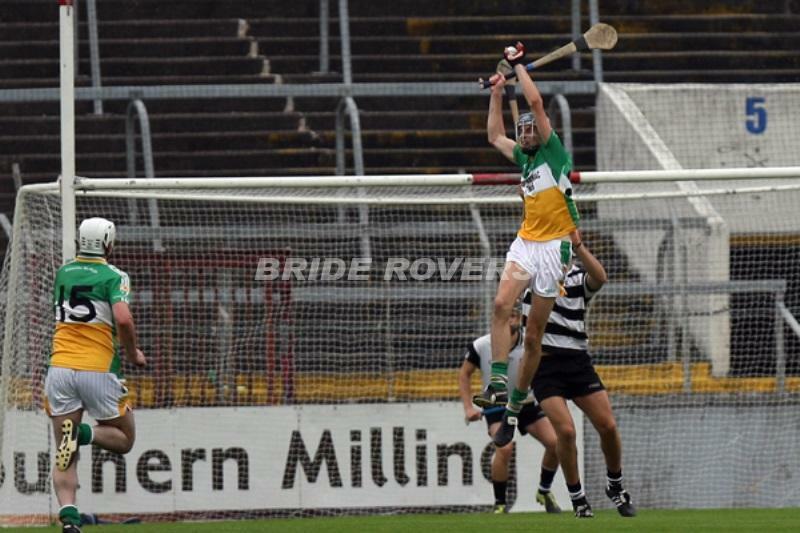 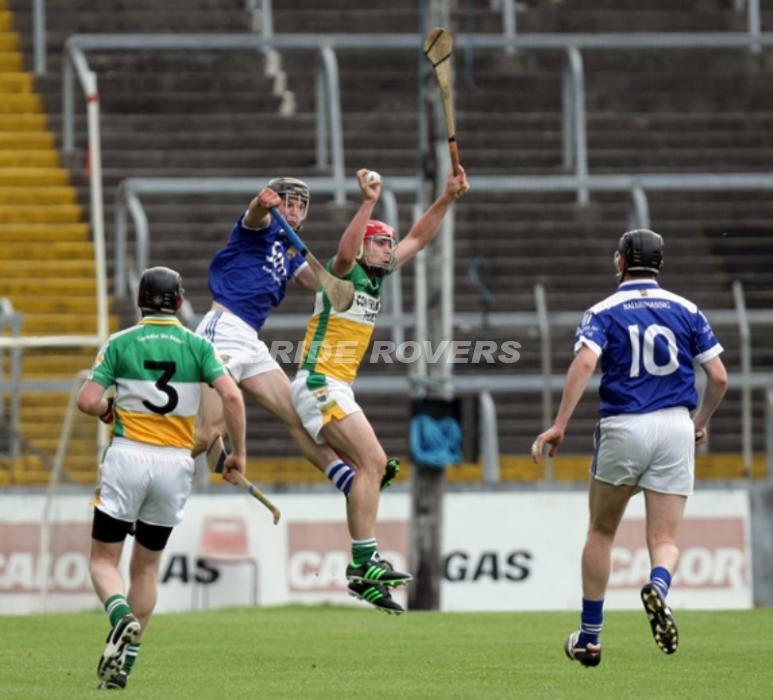 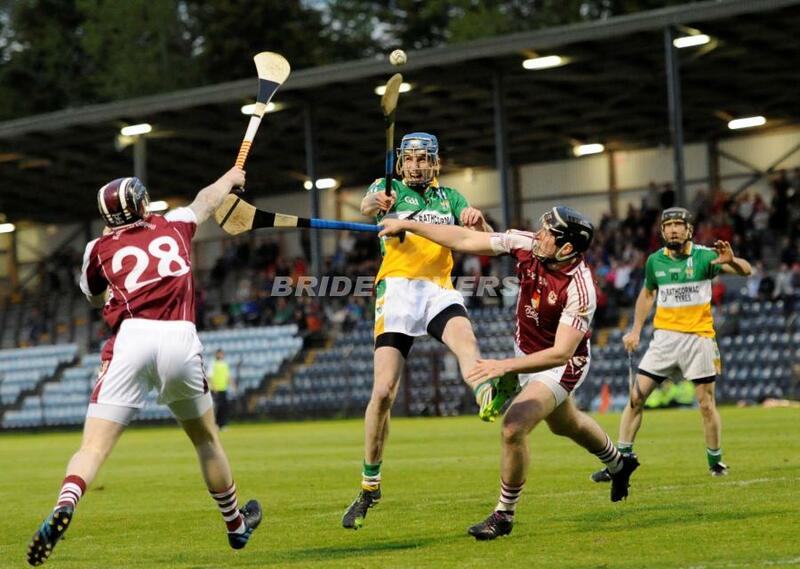 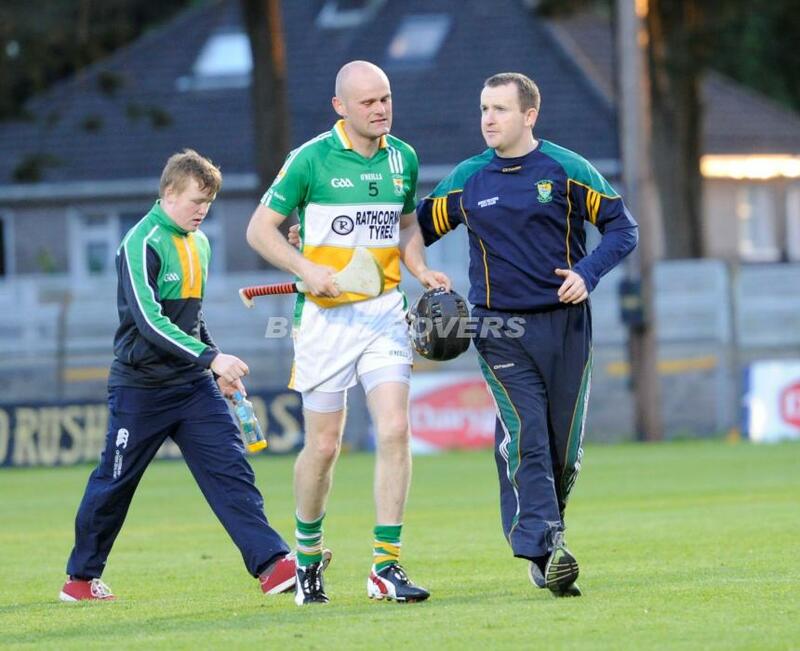 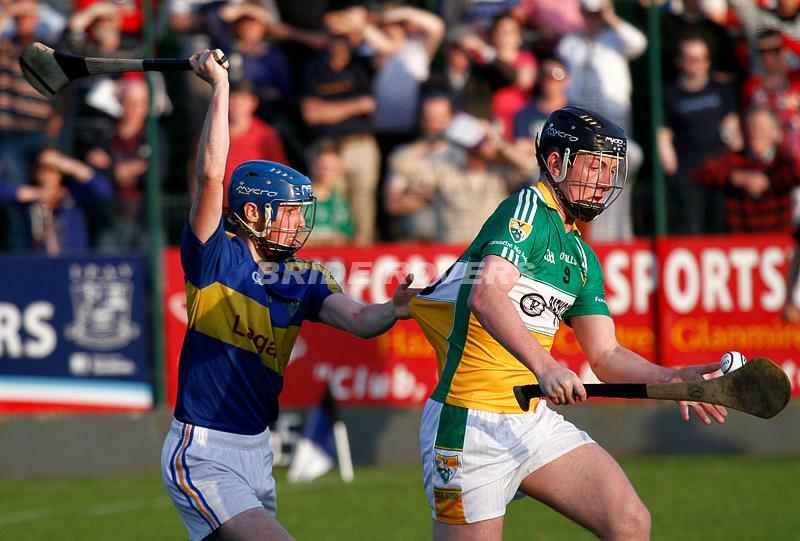 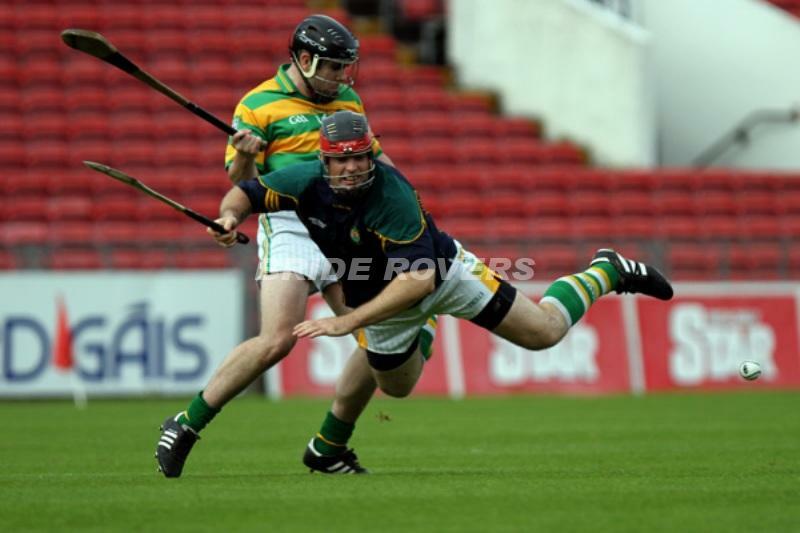 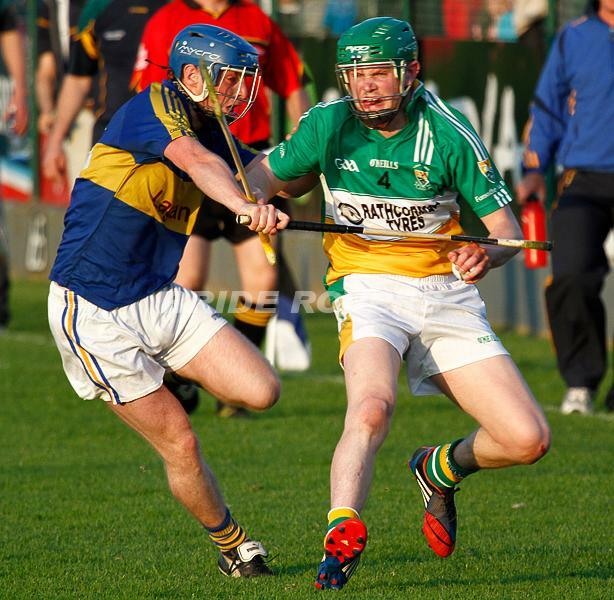 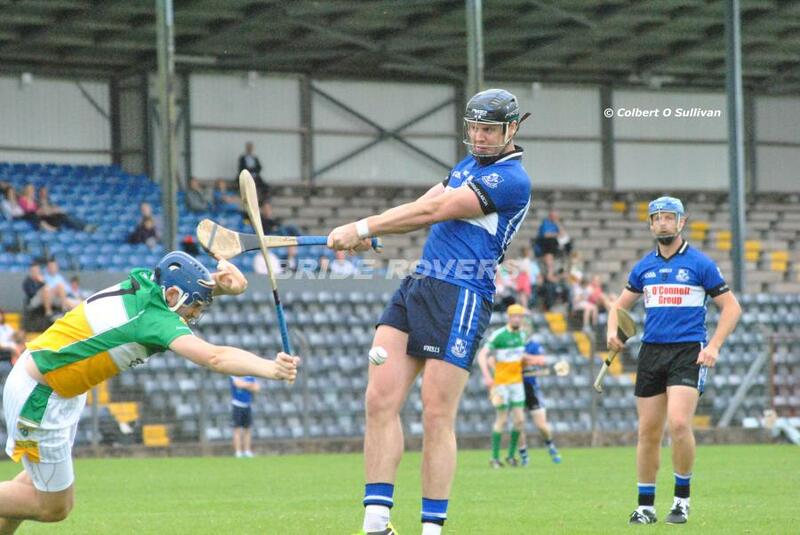 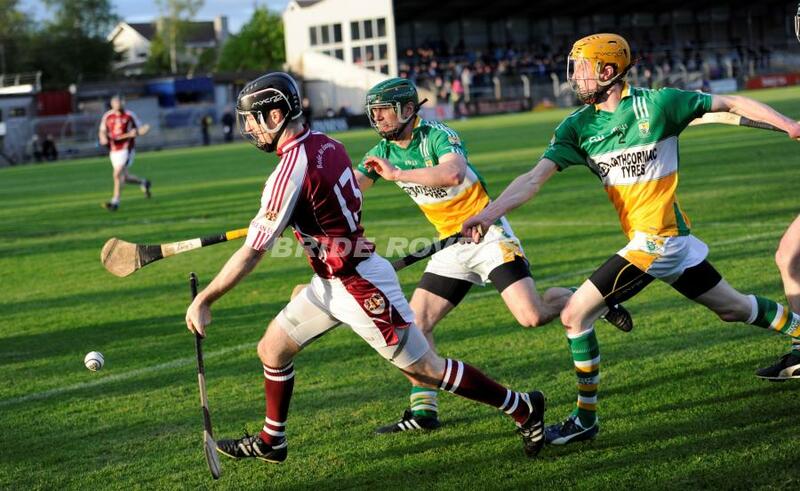 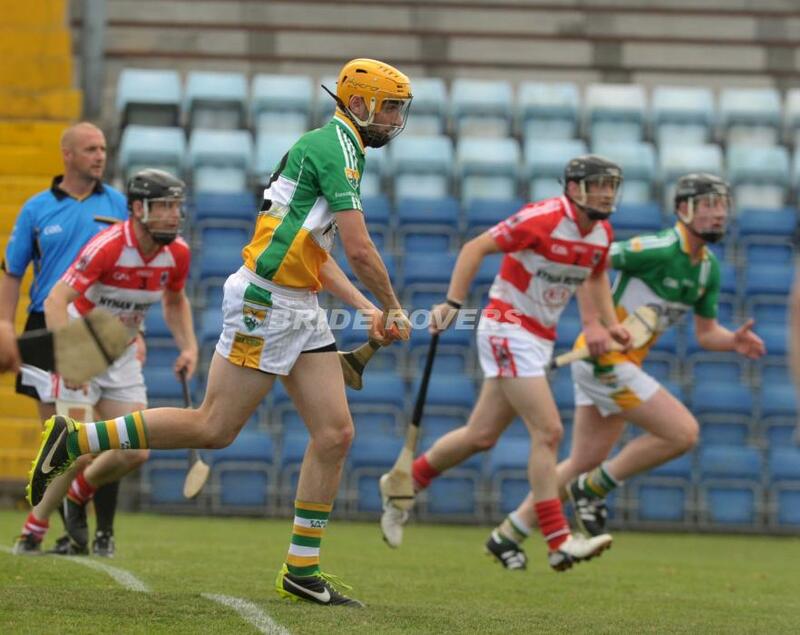 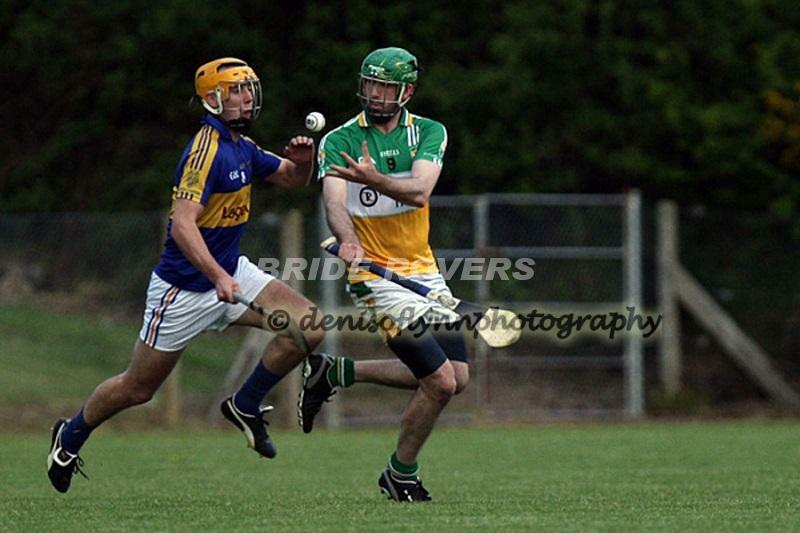 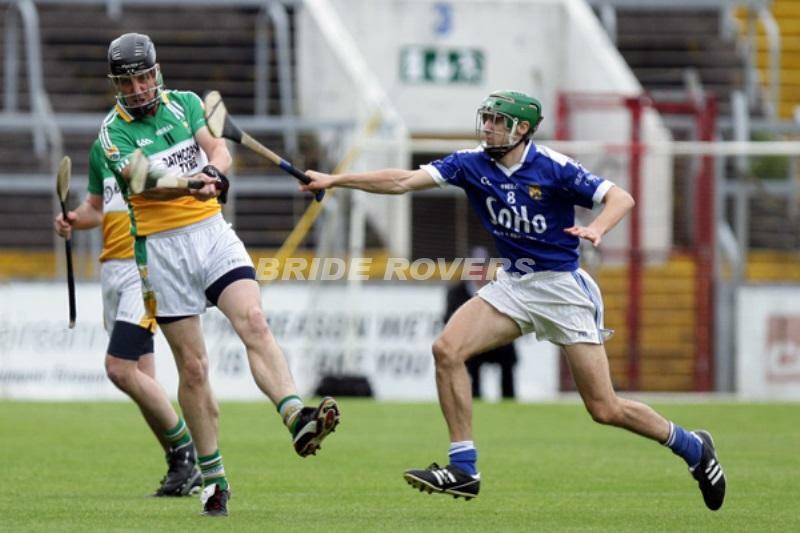 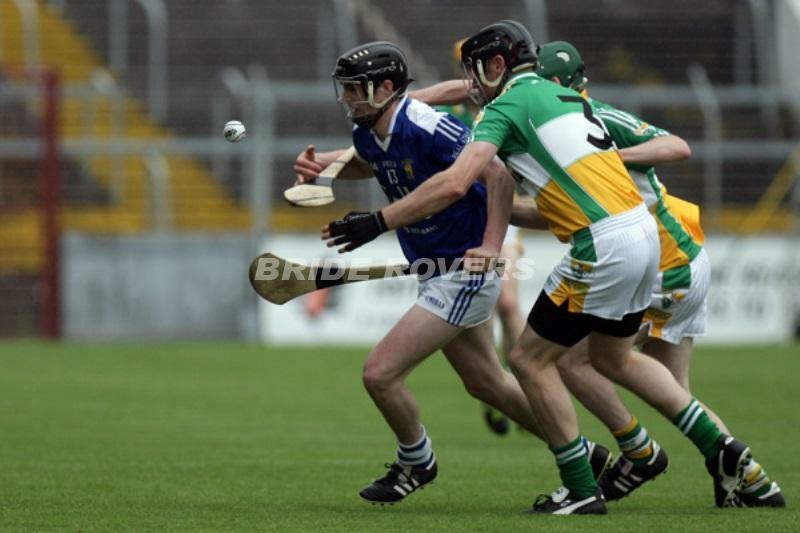 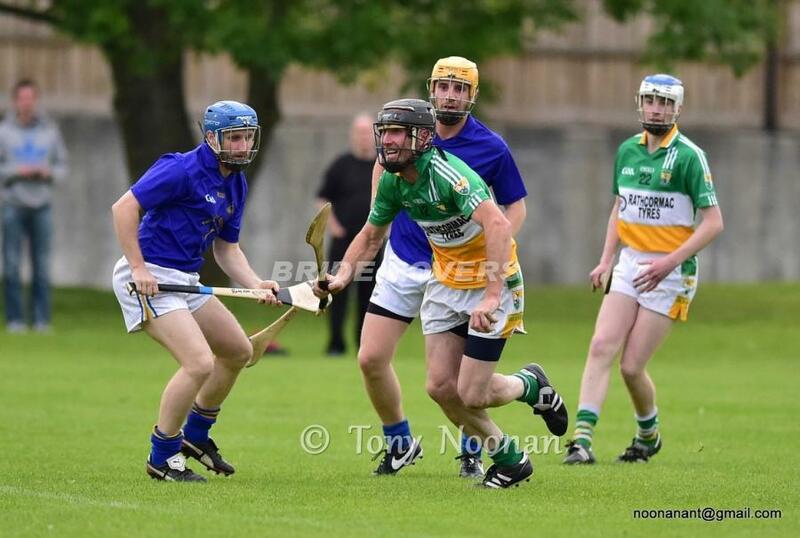 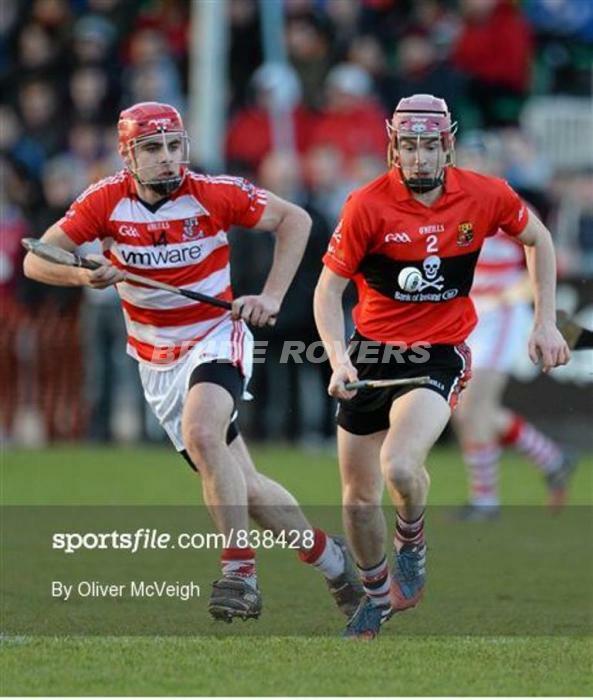 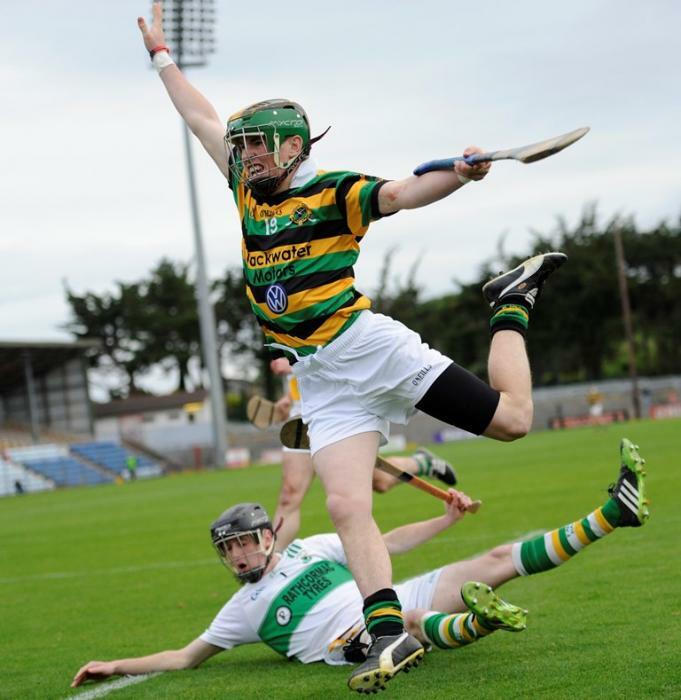 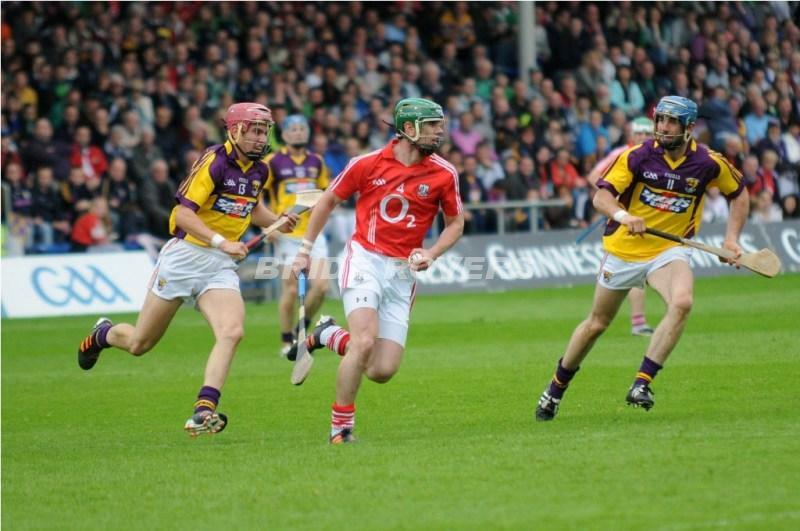 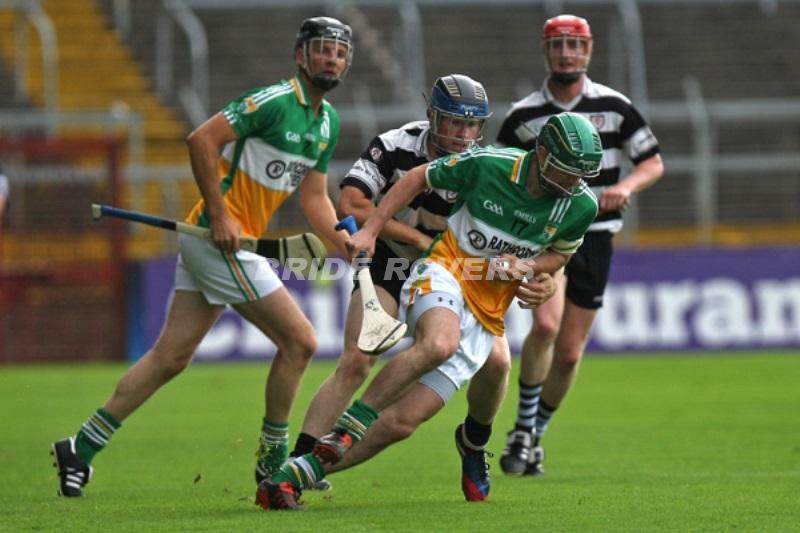 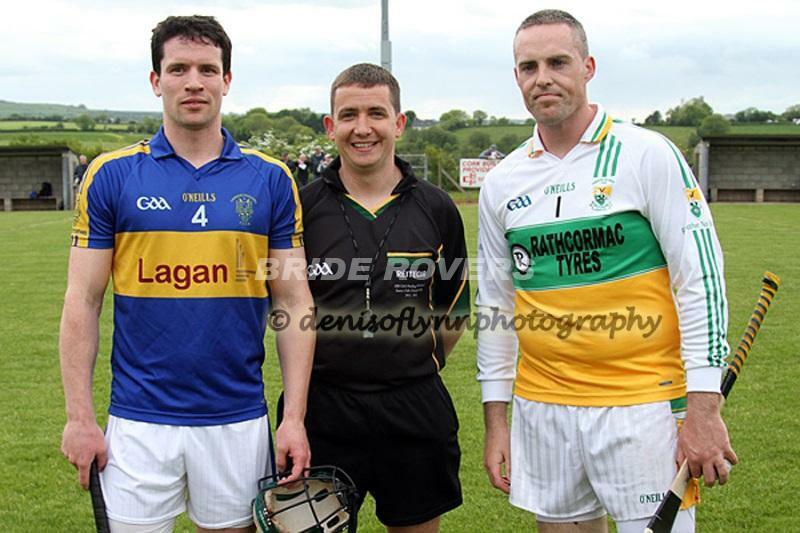 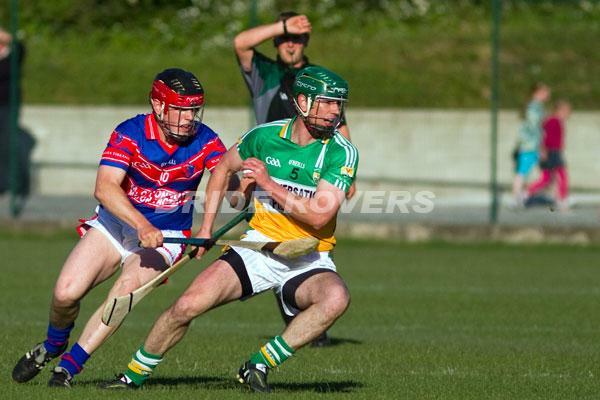 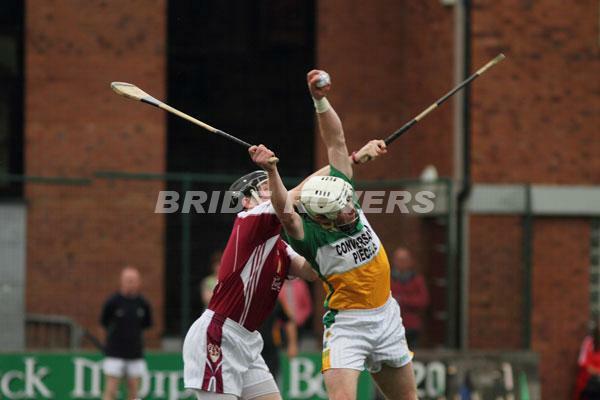 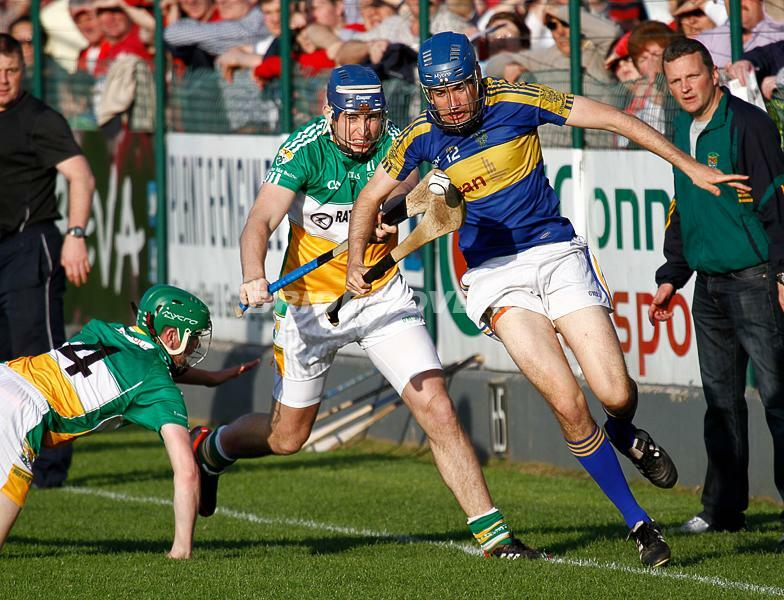 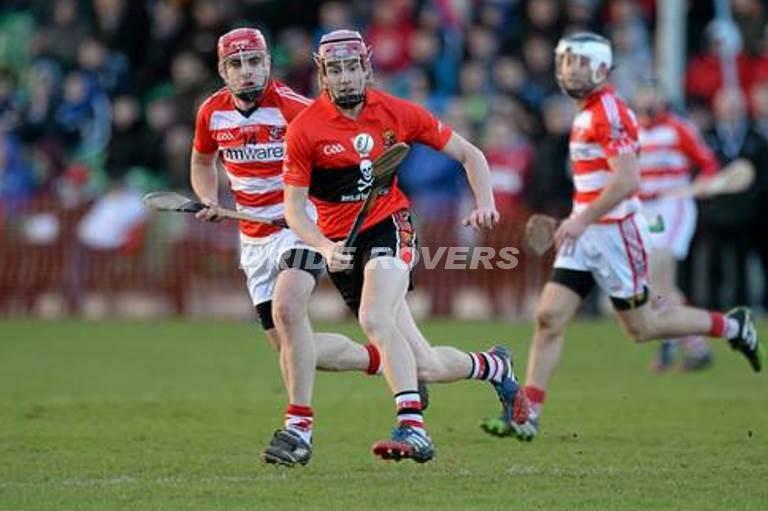 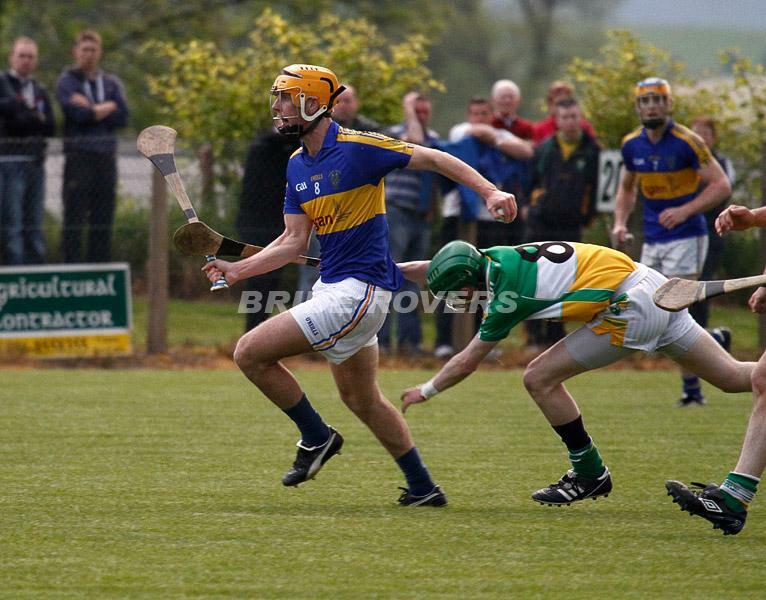 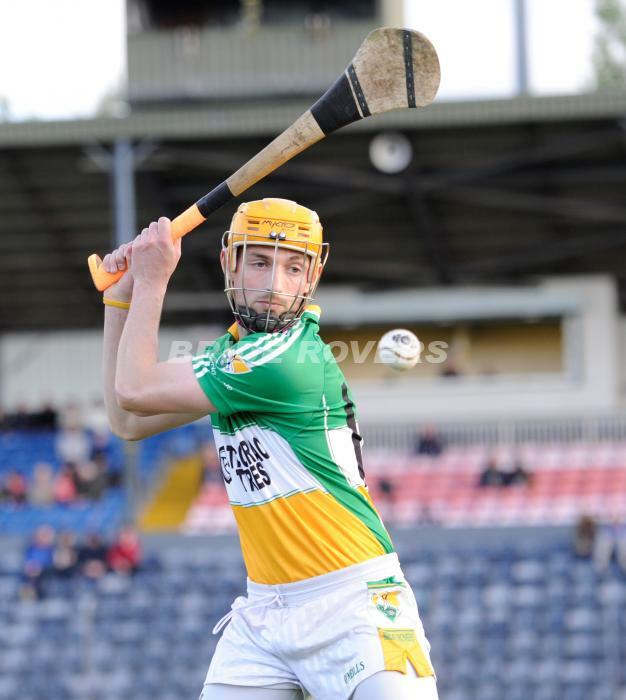 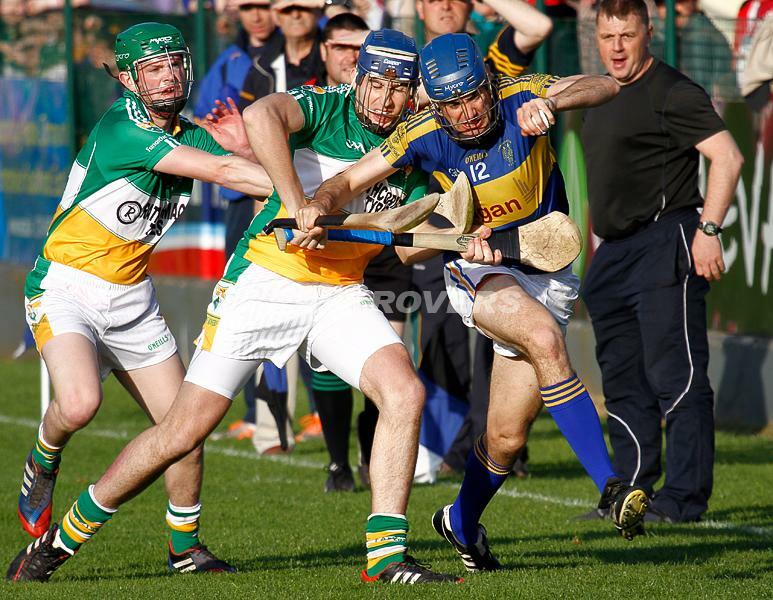 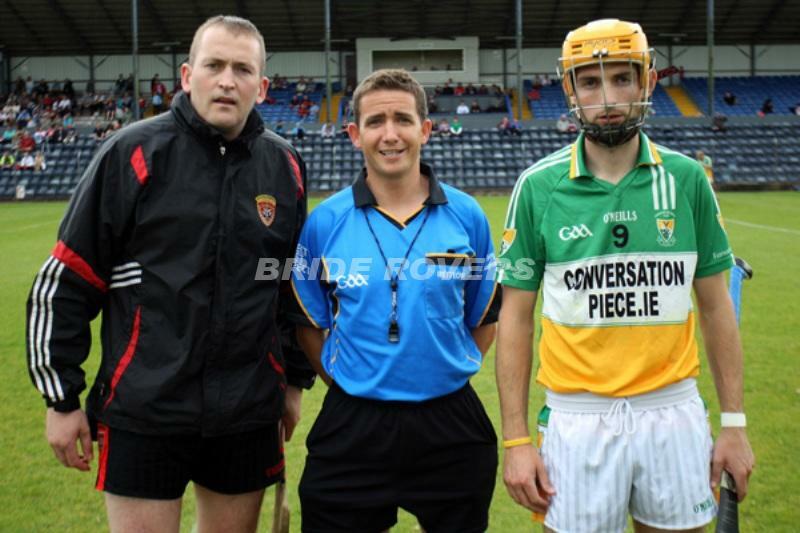 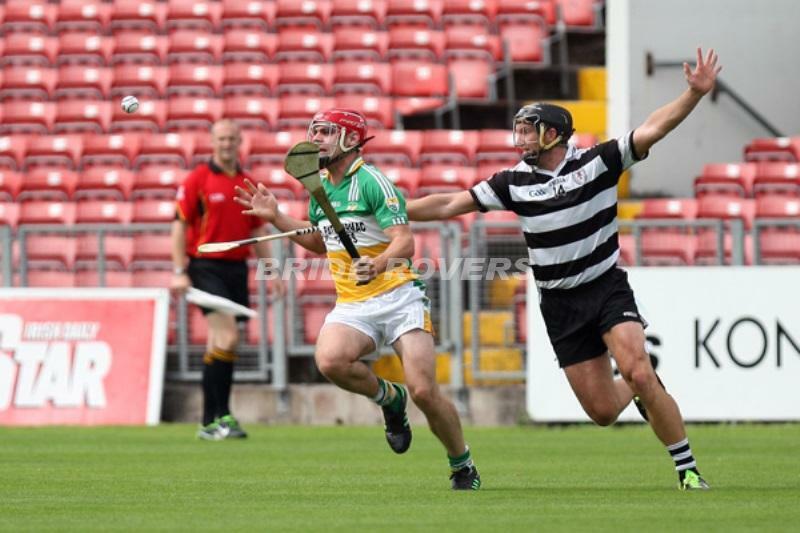 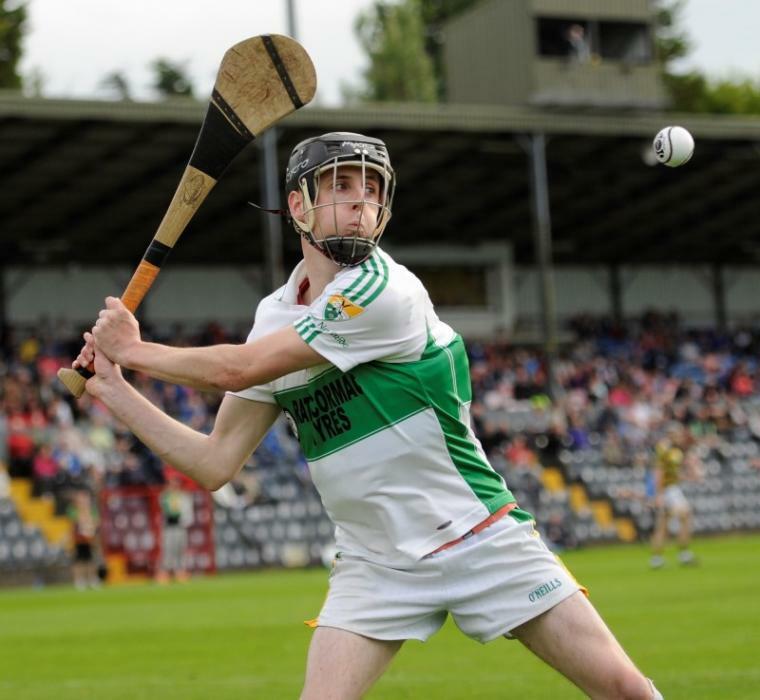 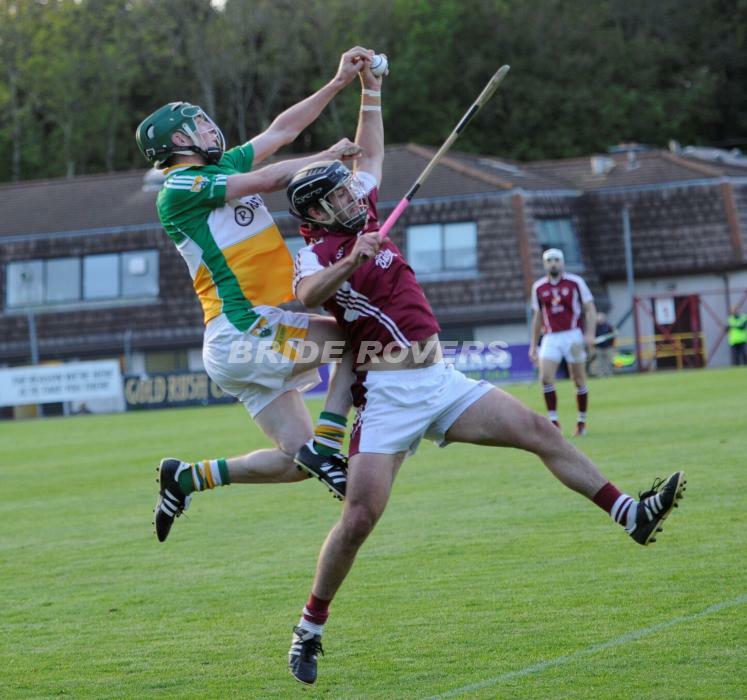 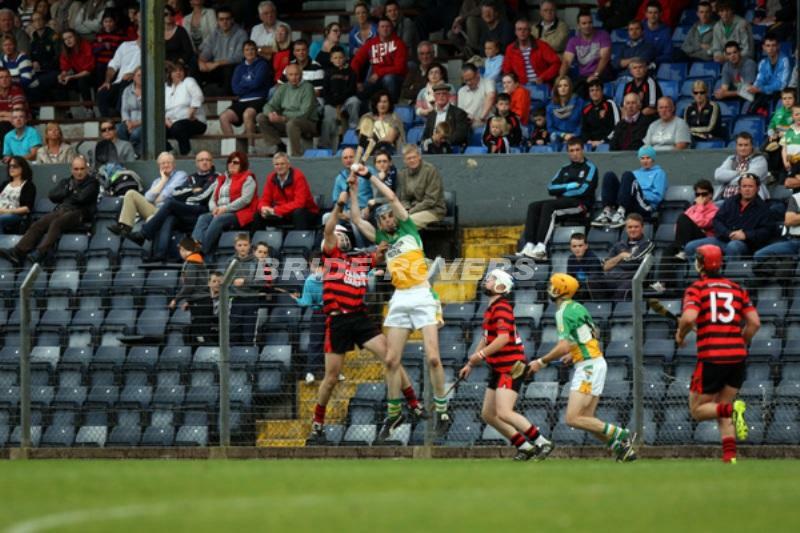 Brian Murphy in action v Shane O Donnell Clare in Thurles Sat July 11th 2015. 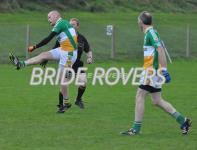 Our Chairman again showing how its done !! 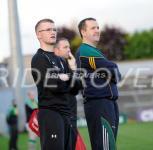 Wise Men from the East ! The wise men from the East ! 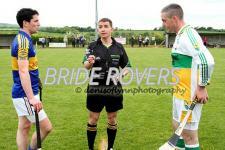 Daniel, Joe and Paul on the line. 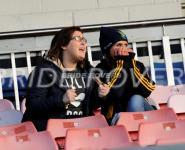 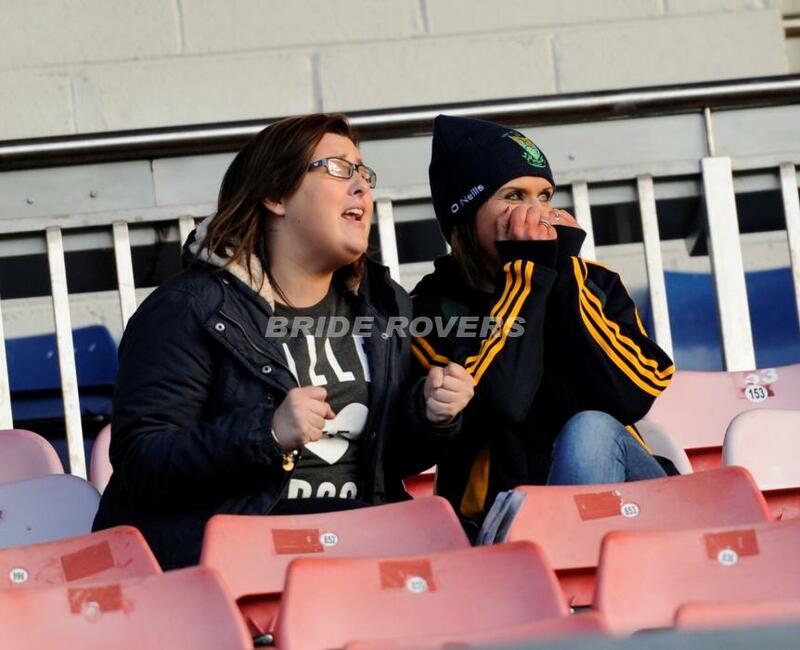 Lorainne and Sinead cant bear the tension ! 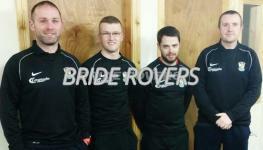 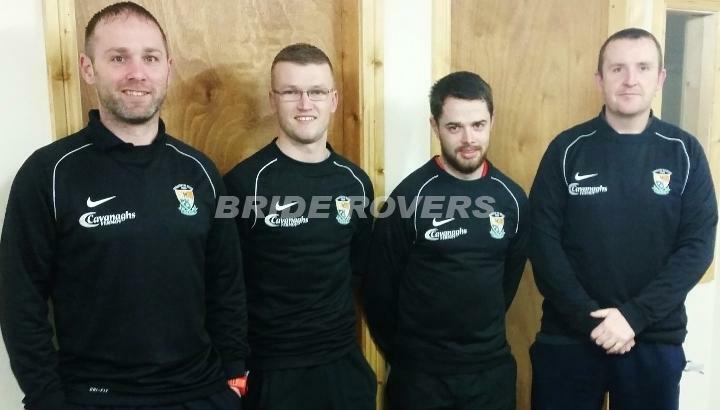 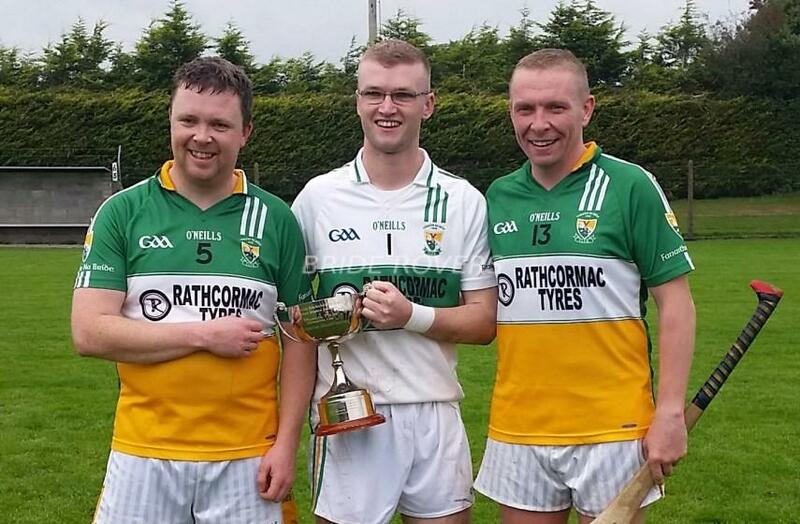 L to R Paul Howard S&C Coach, Daniel Lane Selector, William O'Leary Selector, Joe Delaney Manager/Coach. 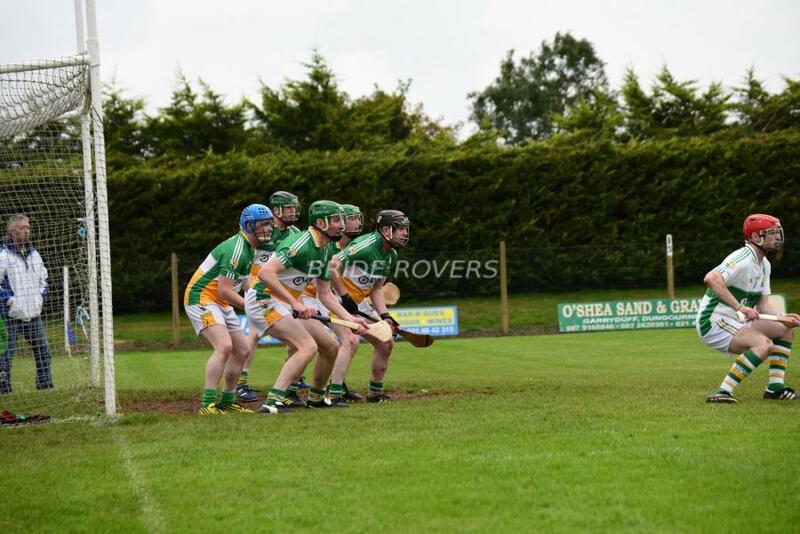 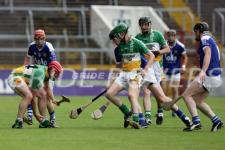 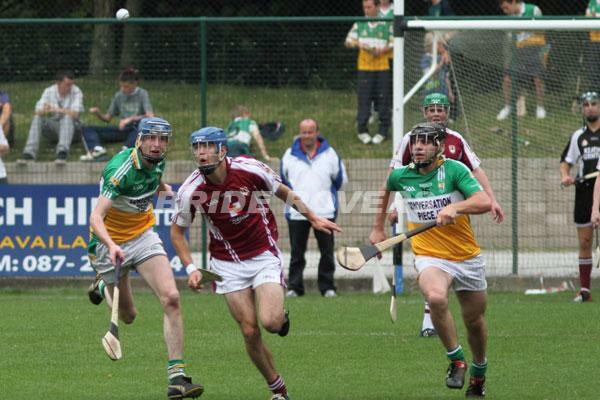 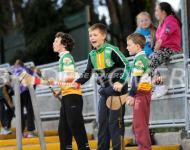 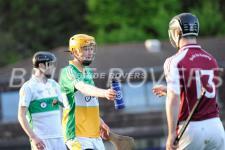 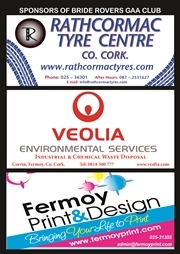 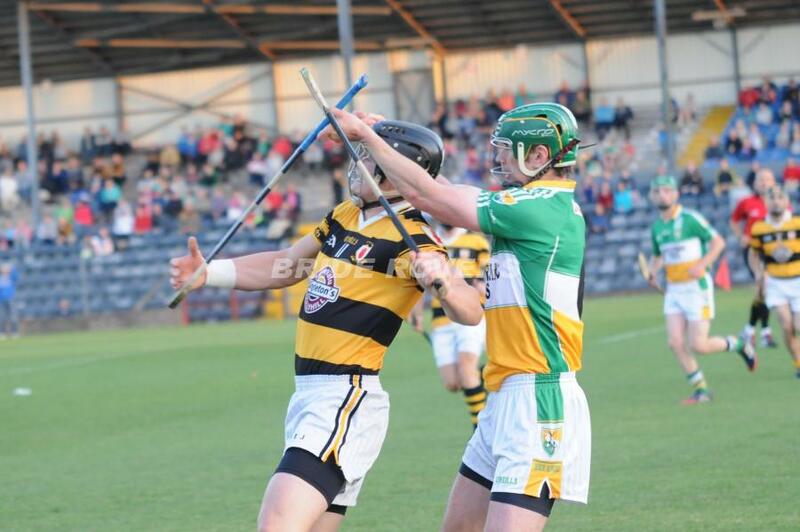 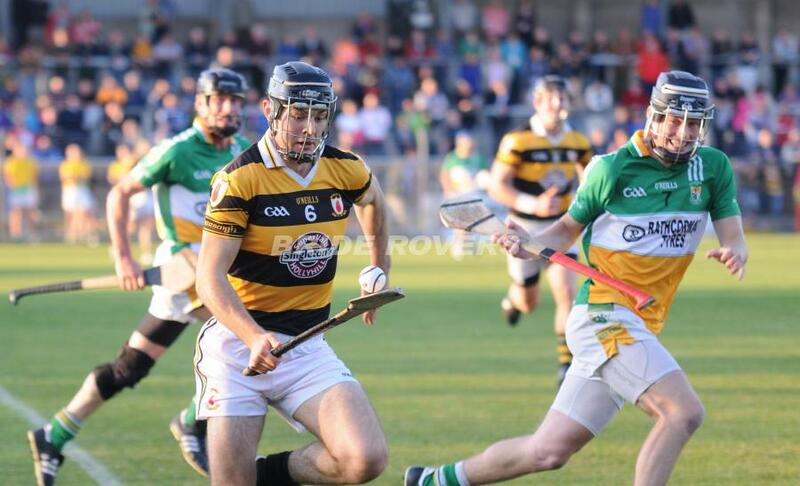 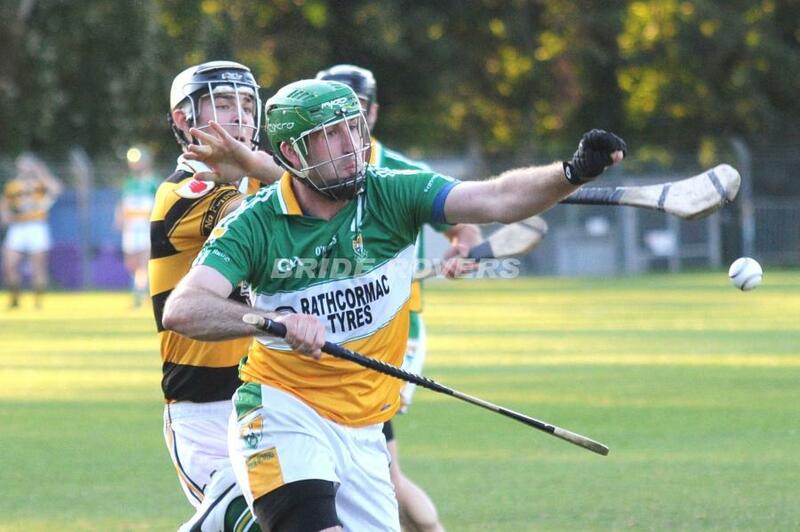 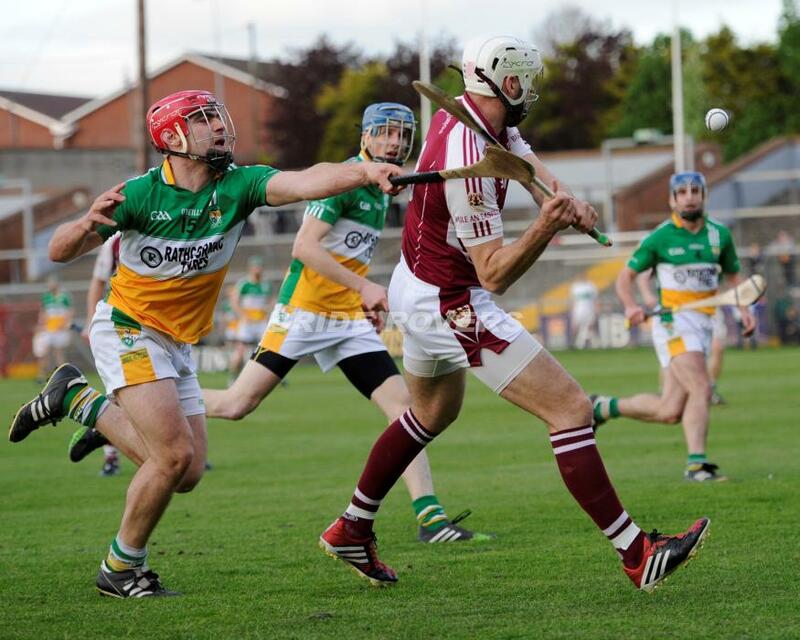 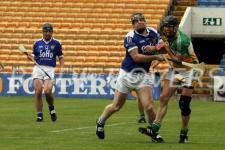 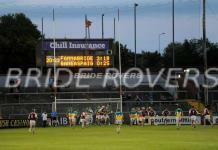 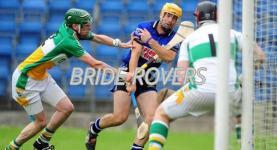 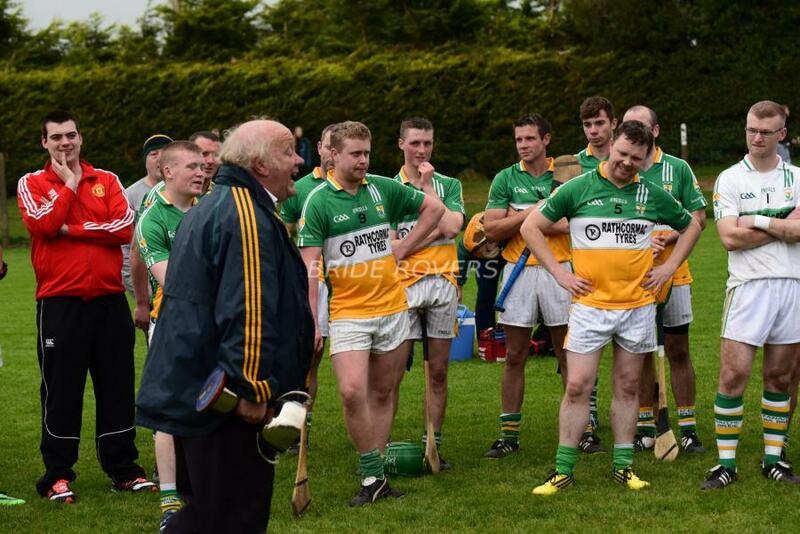 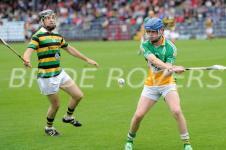 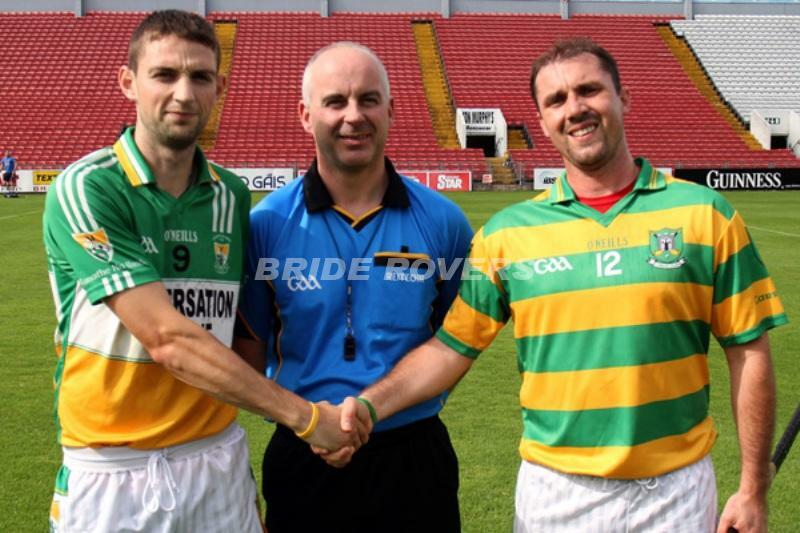 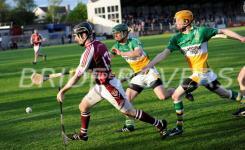 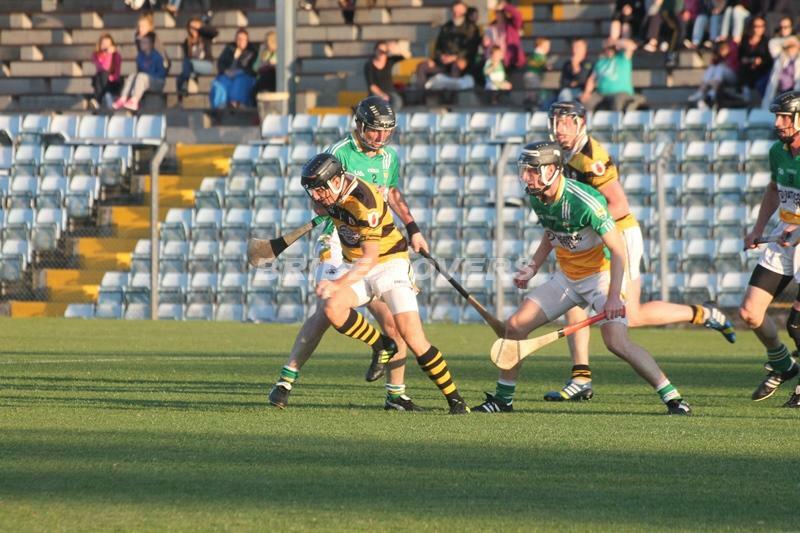 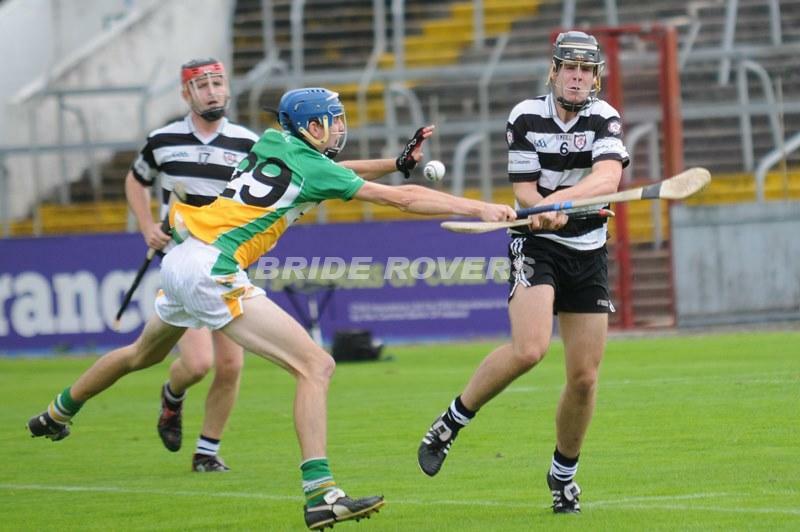 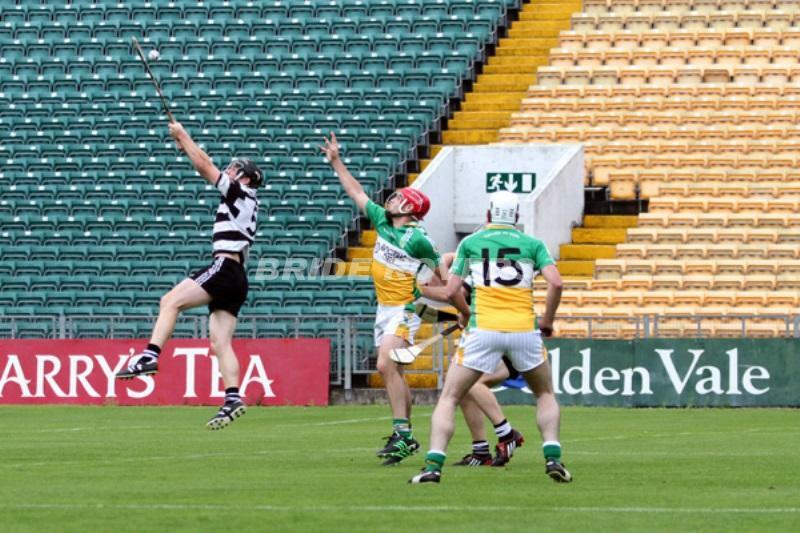 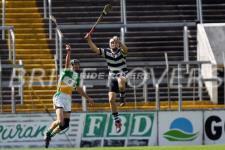 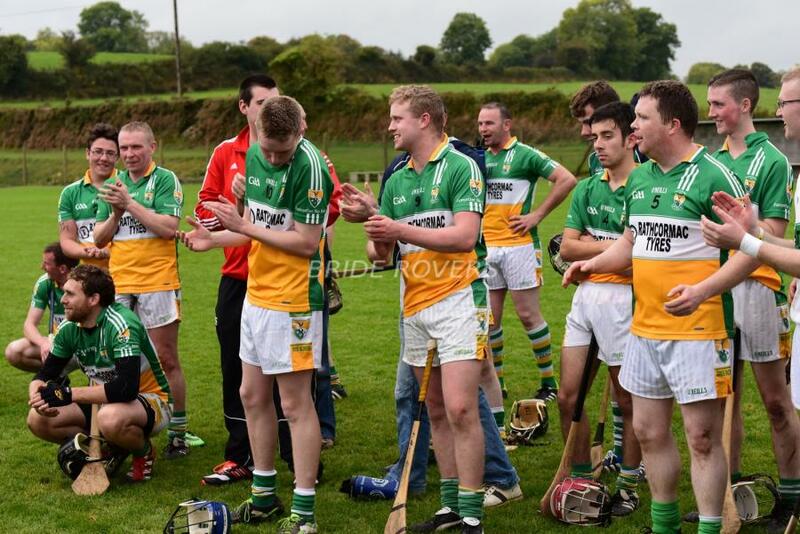 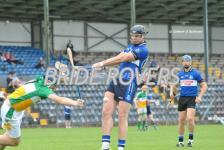 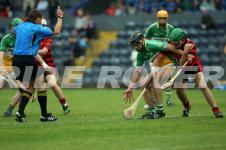 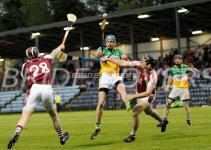 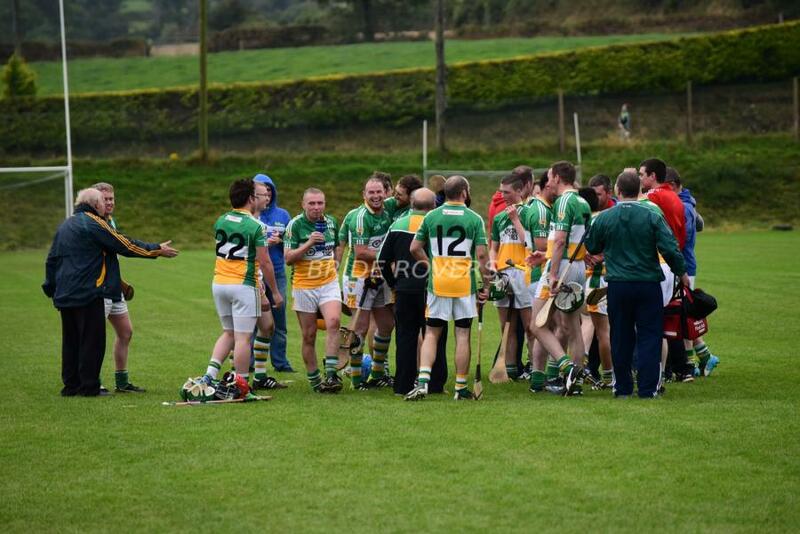 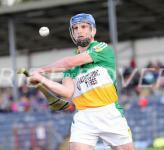 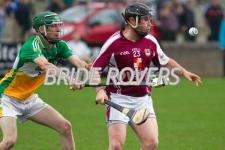 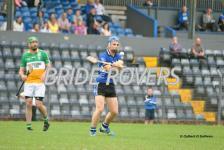 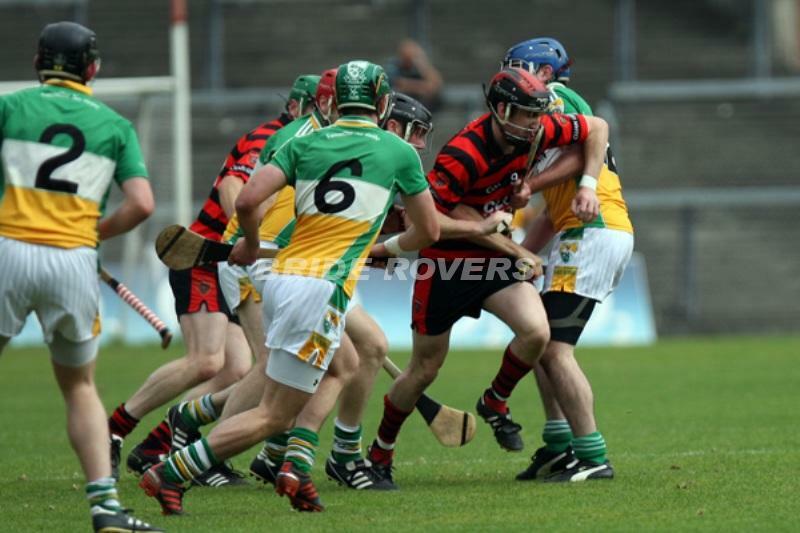 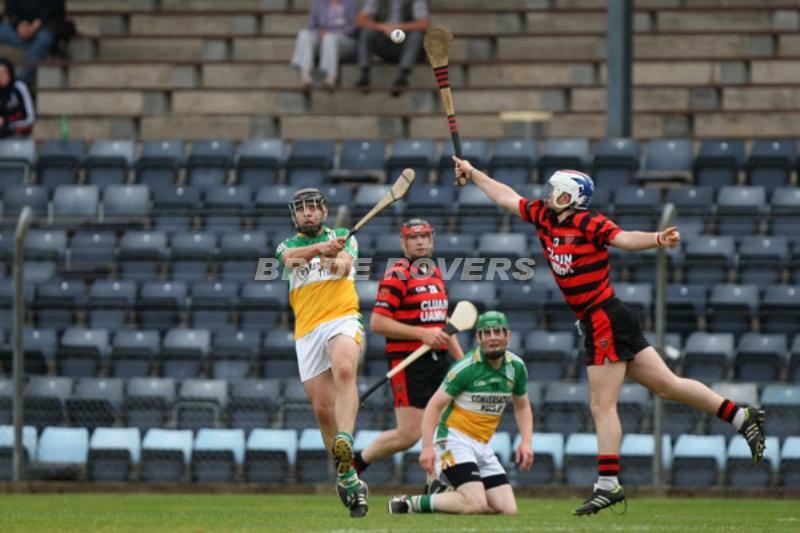 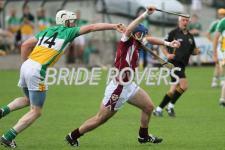 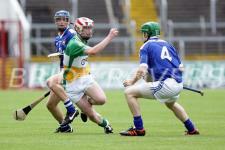 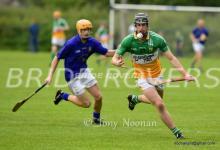 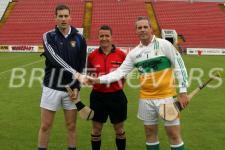 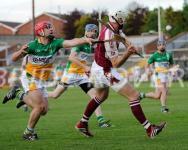 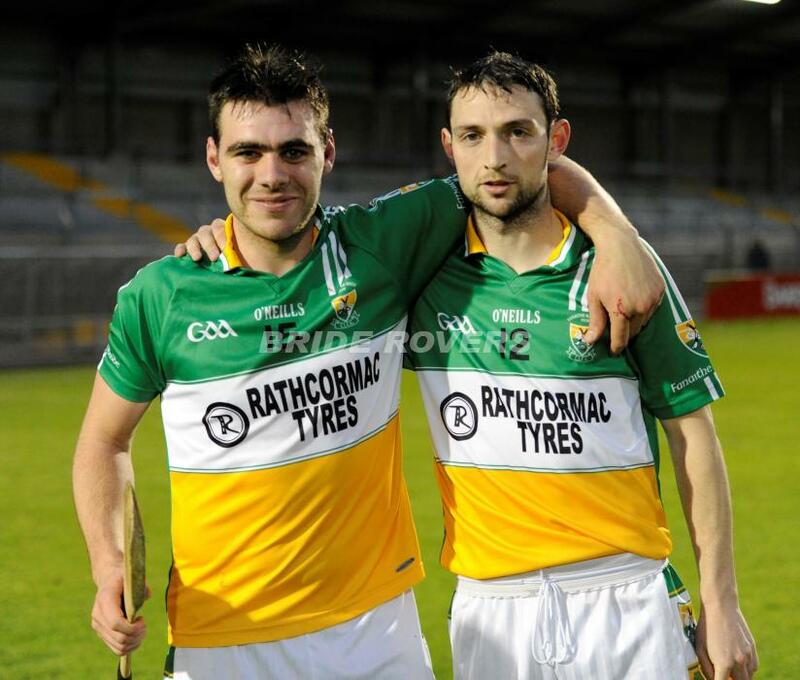 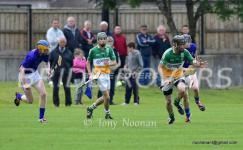 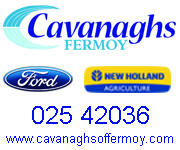 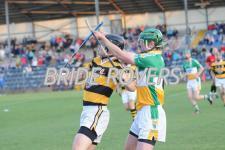 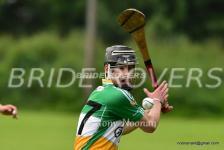 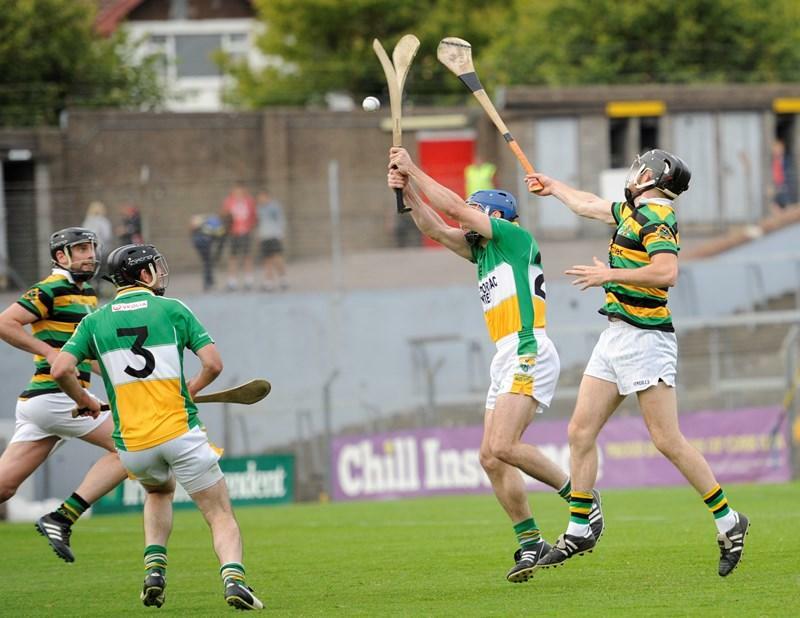 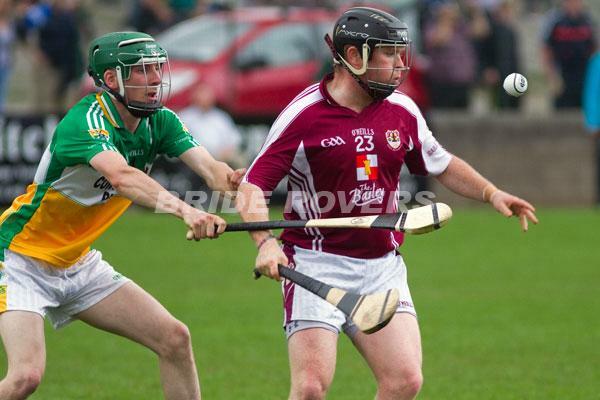 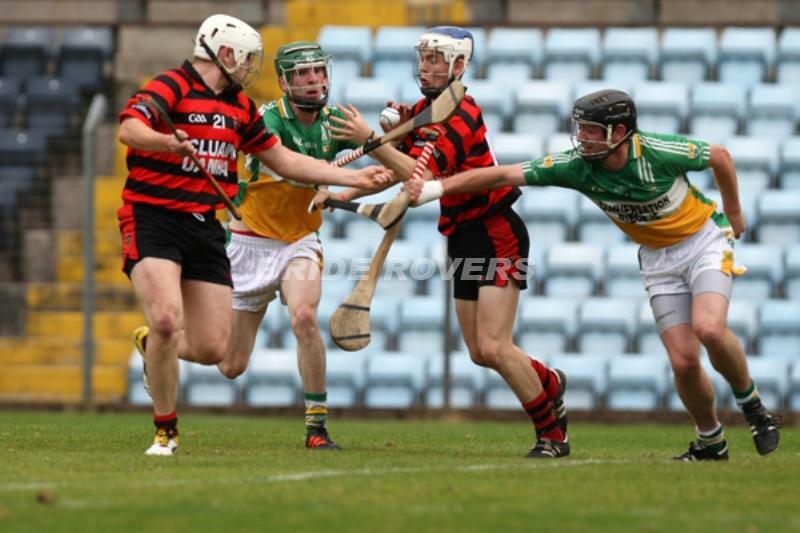 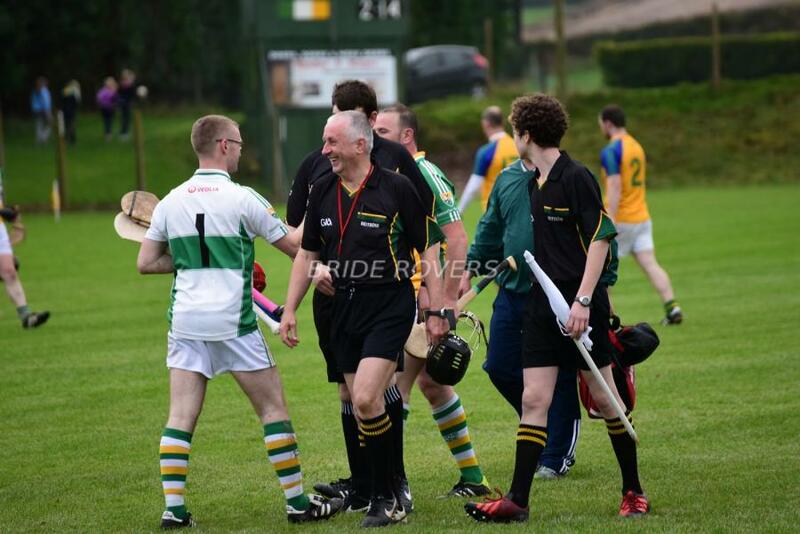 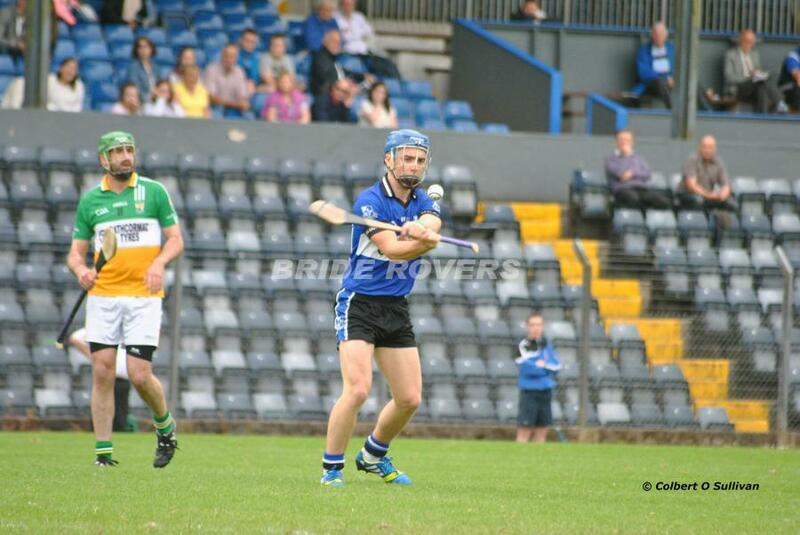 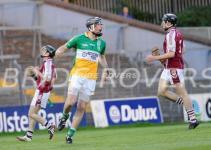 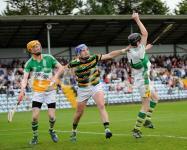 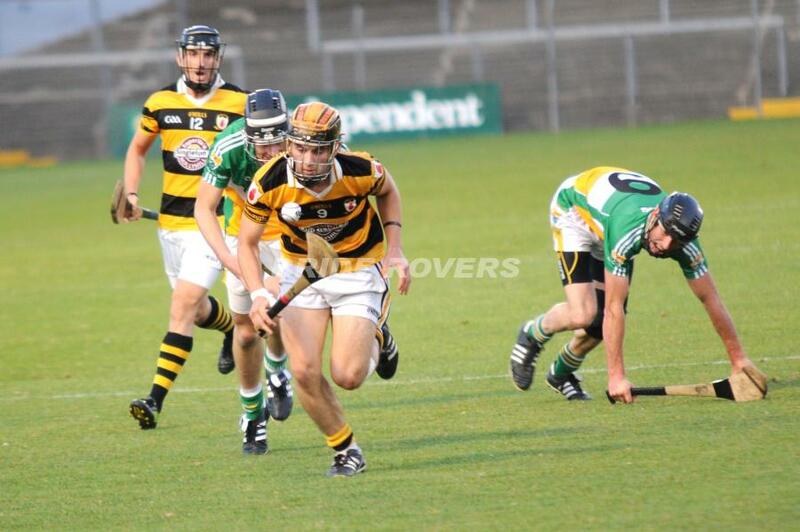 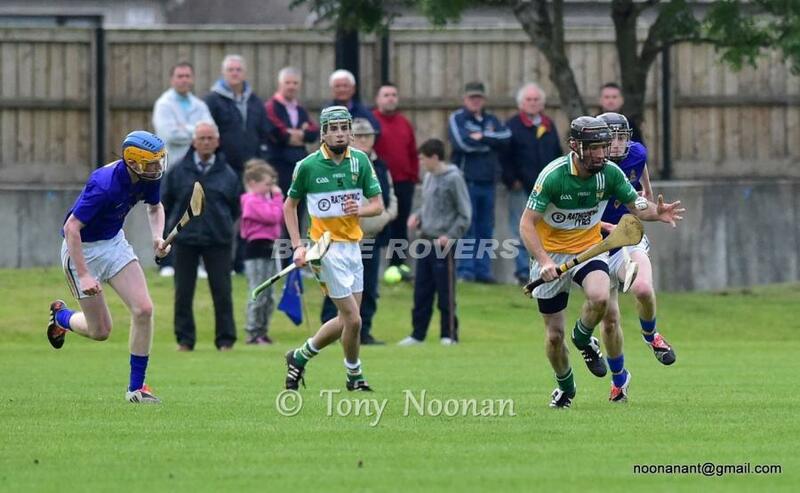 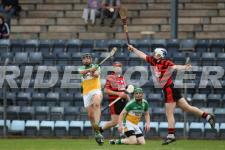 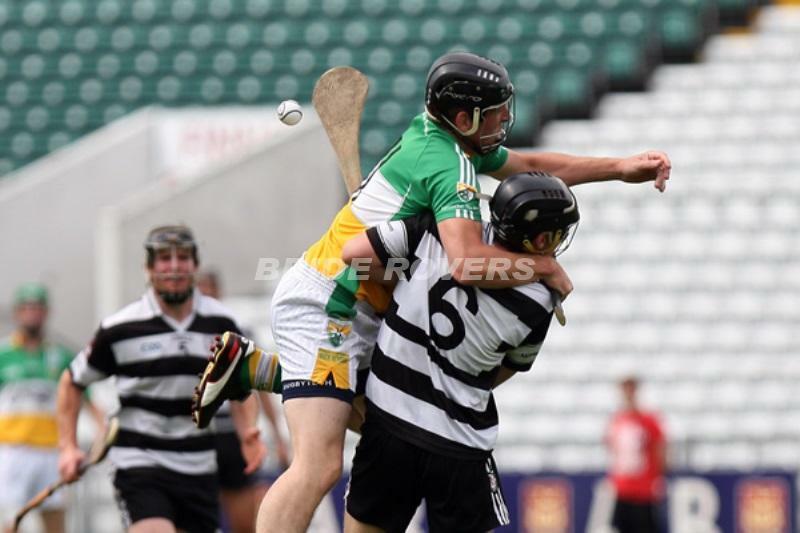 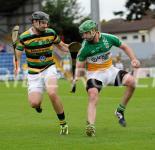 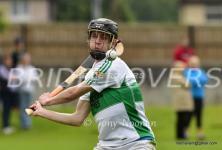 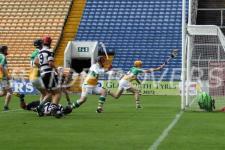 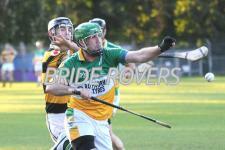 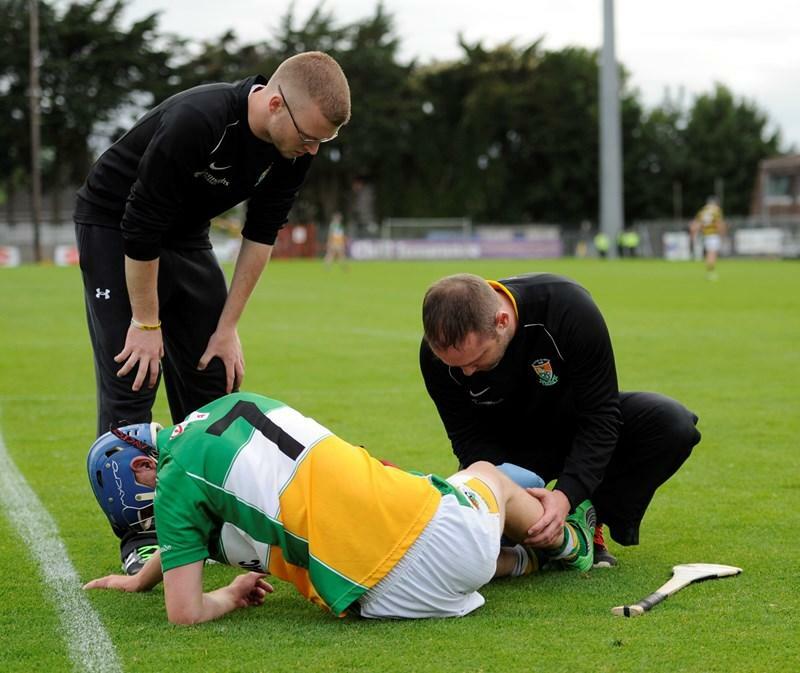 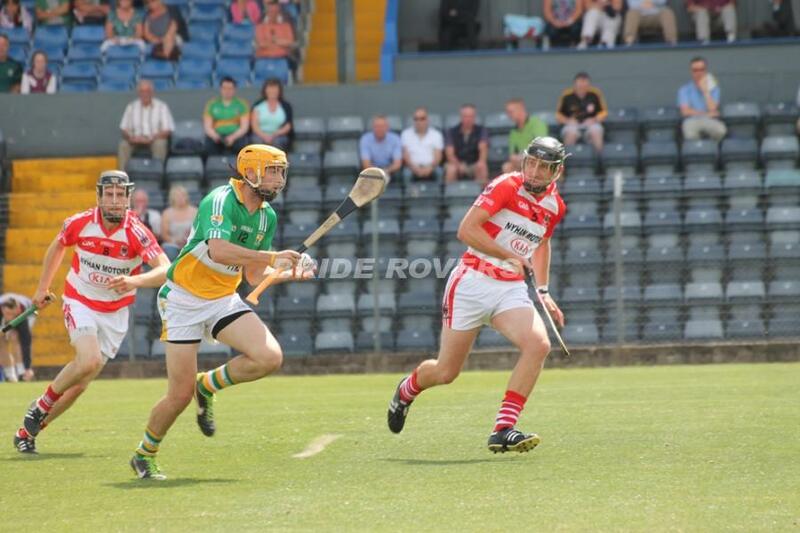 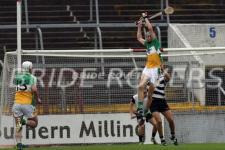 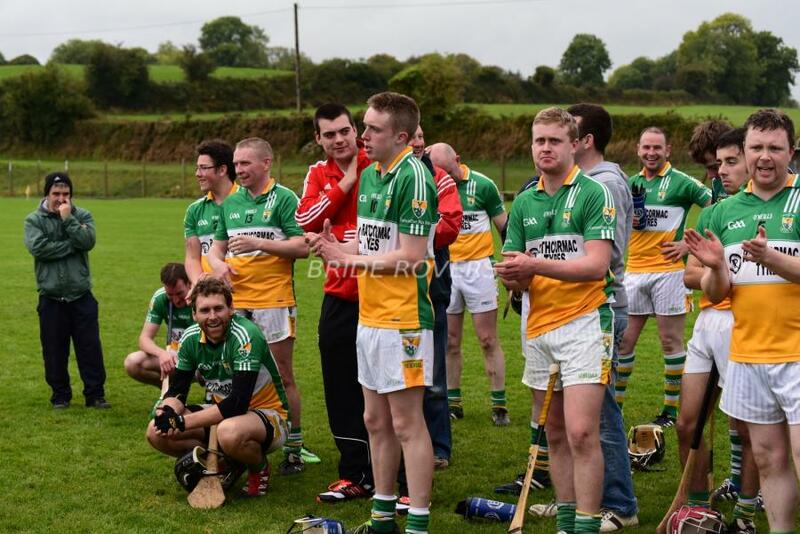 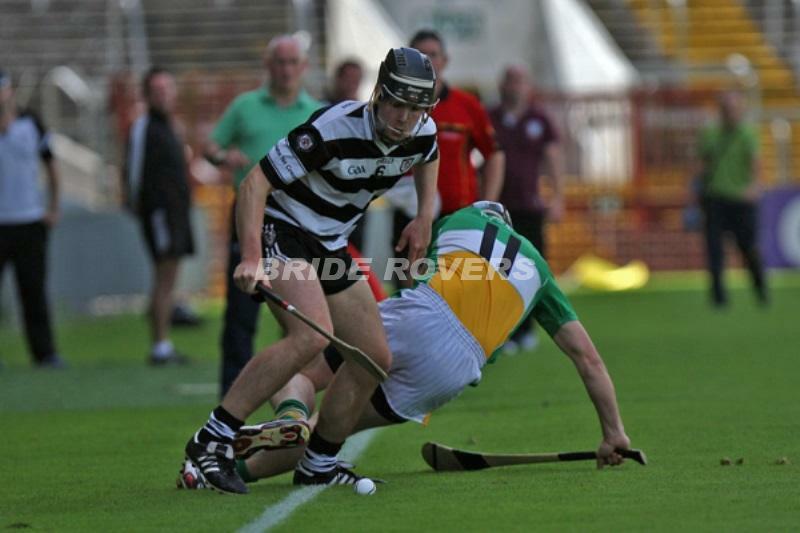 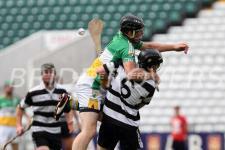 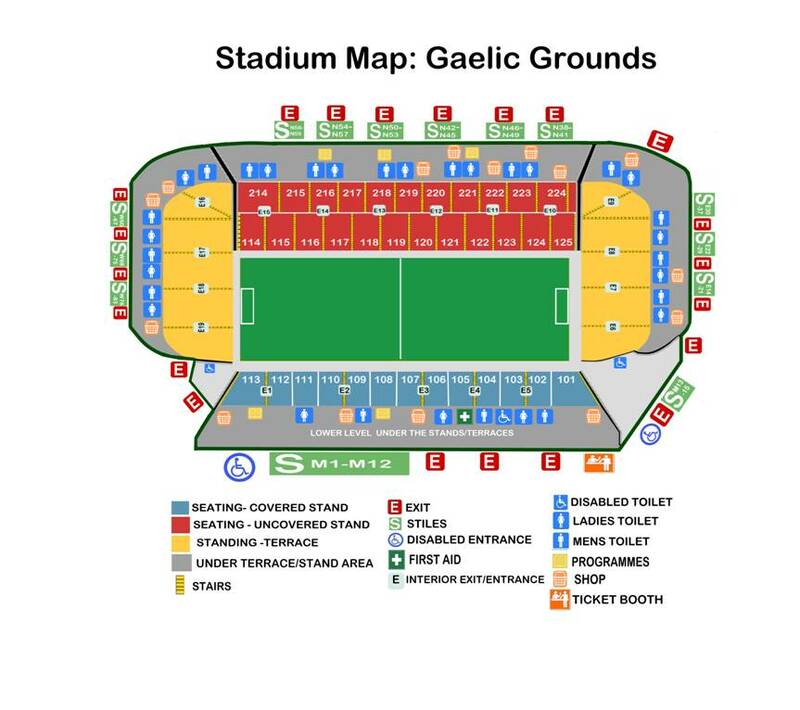 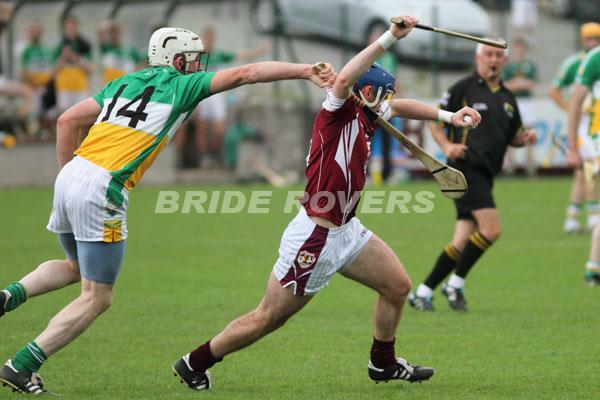 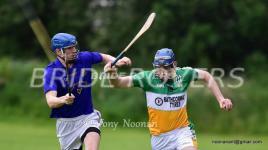 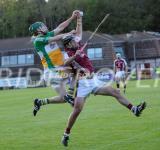 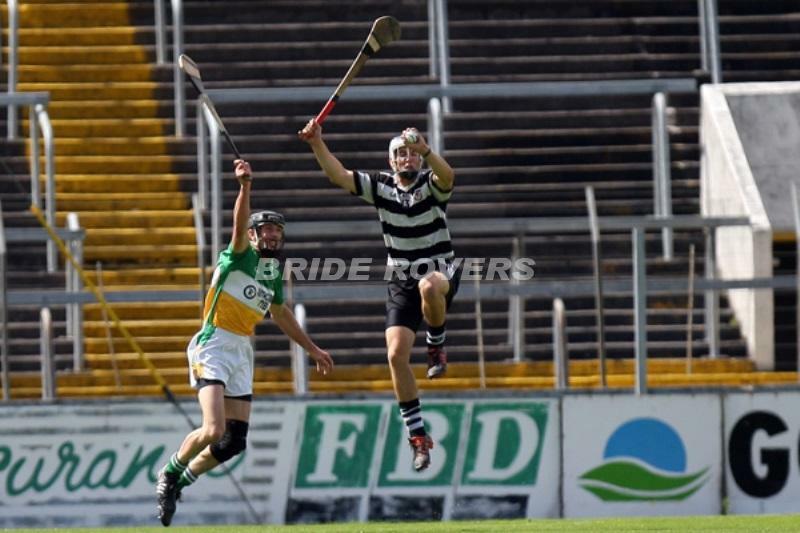 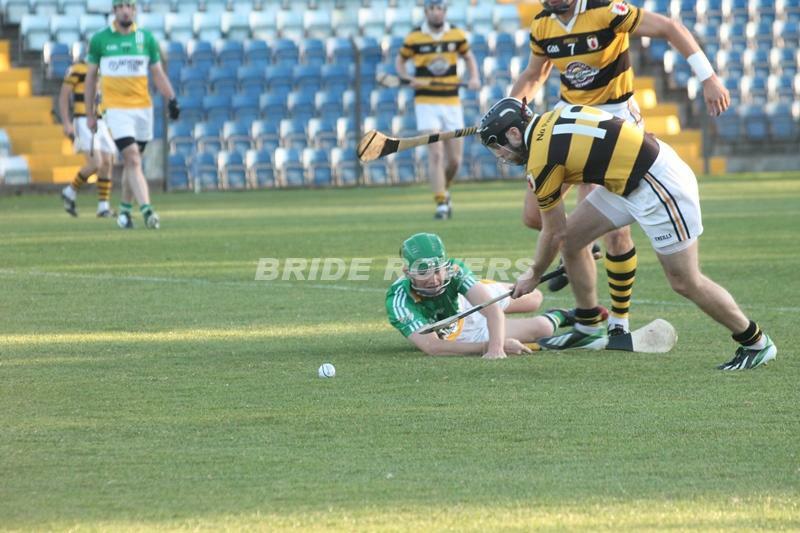 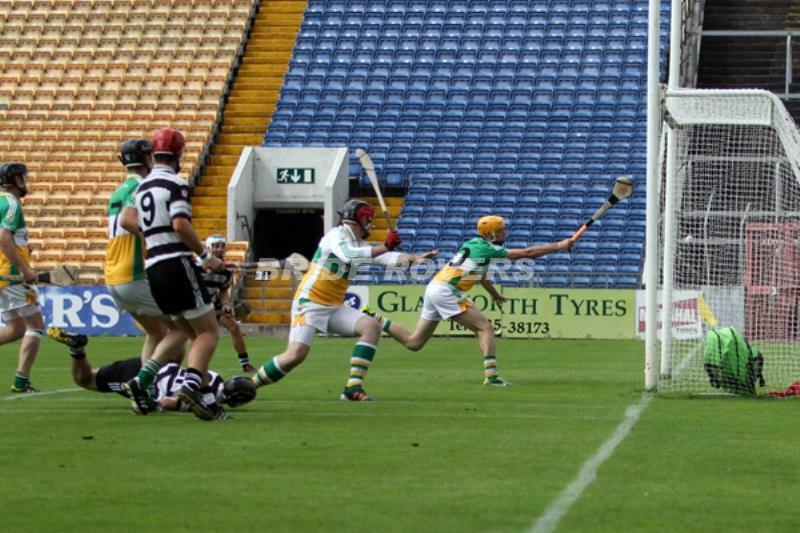 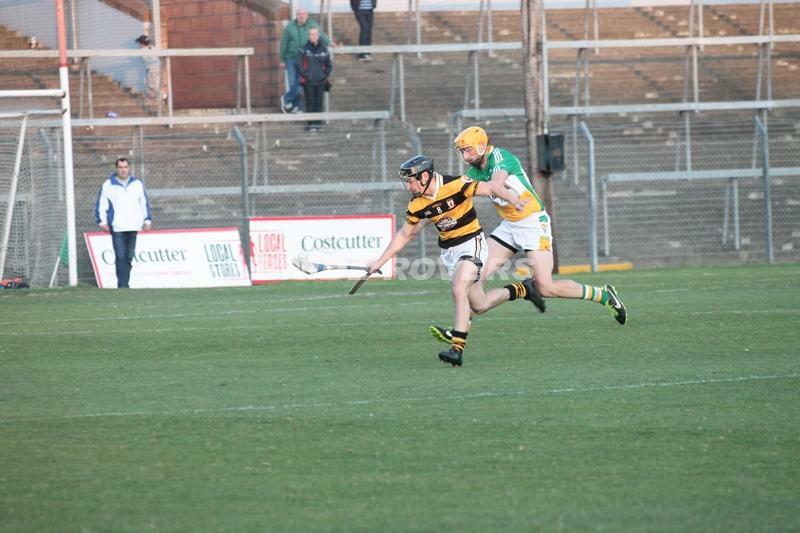 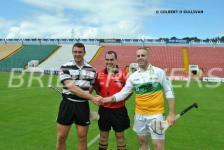 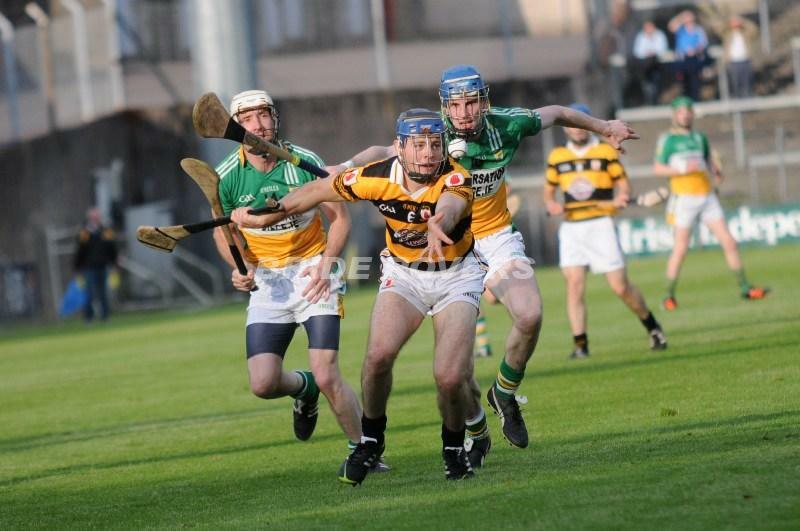 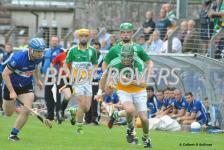 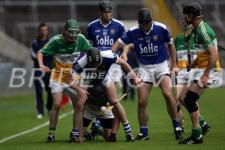 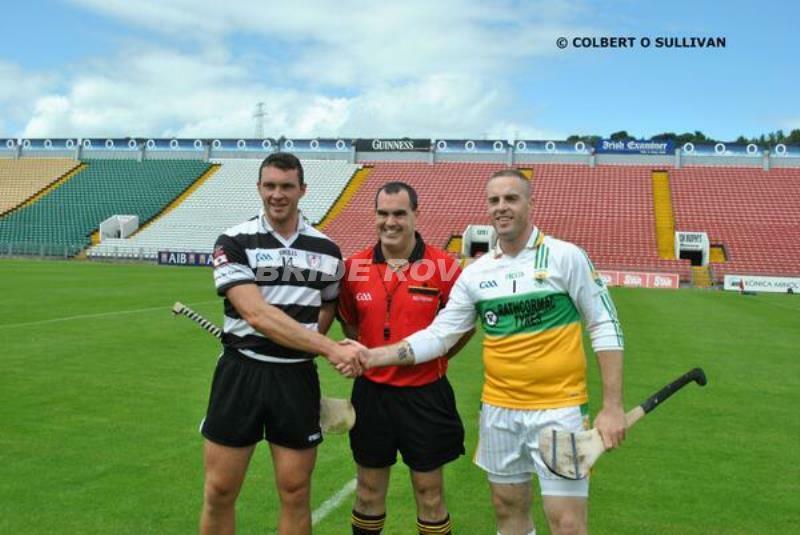 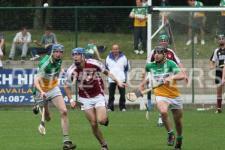 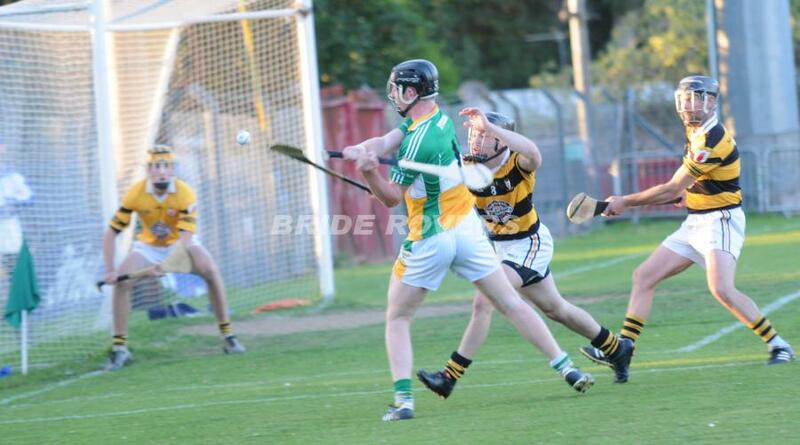 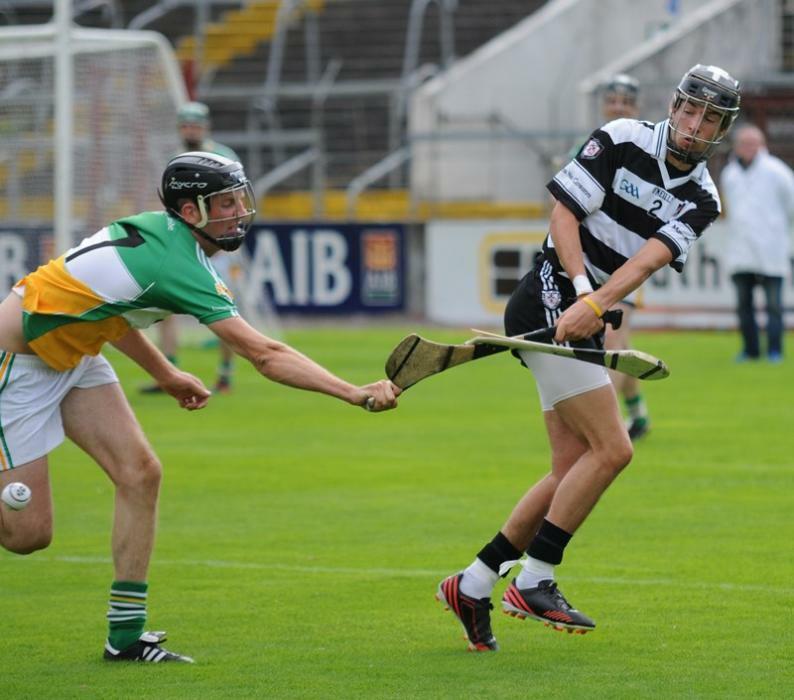 2014 SHC v Na Piarsaigh Aug 22nd. 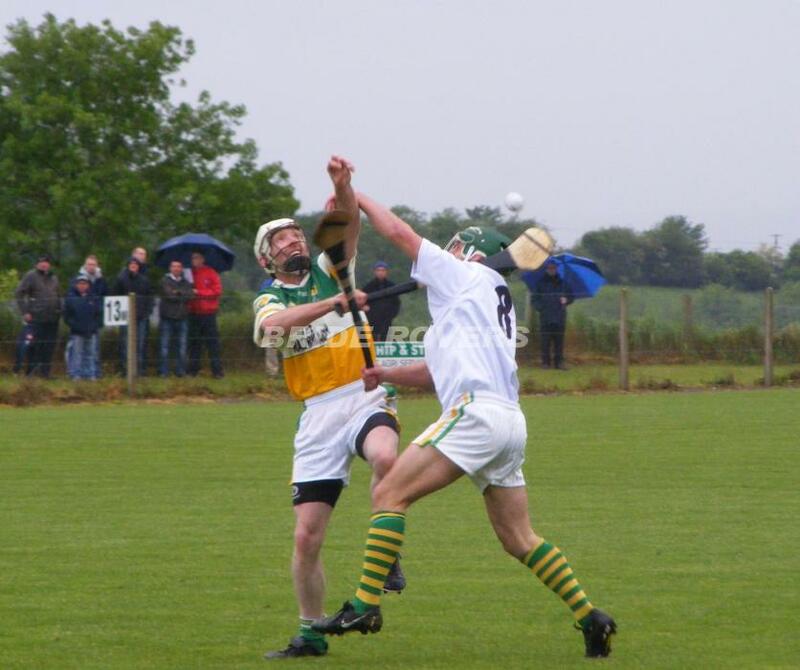 Barry Johnson in a tussle for the ball. 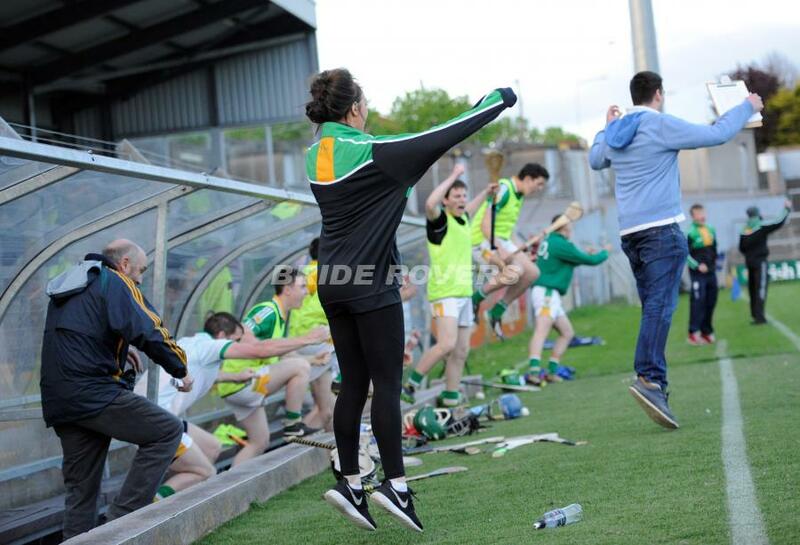 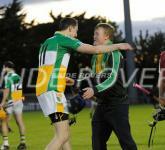 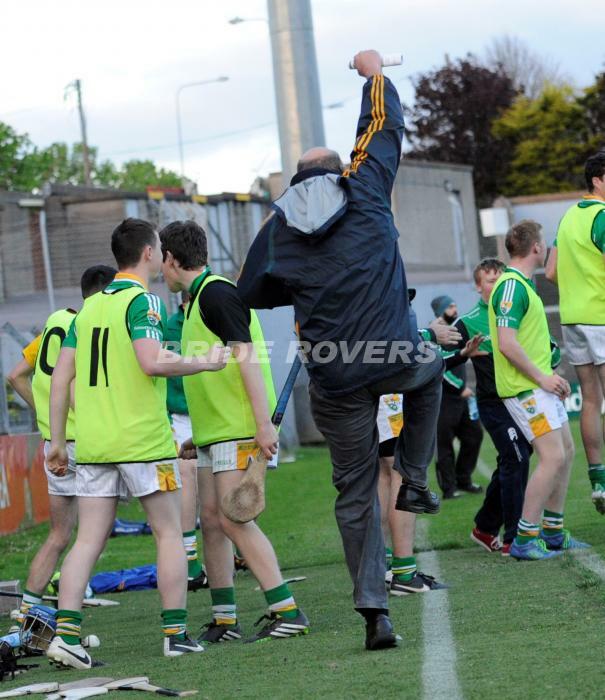 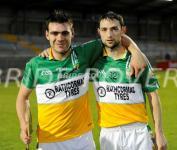 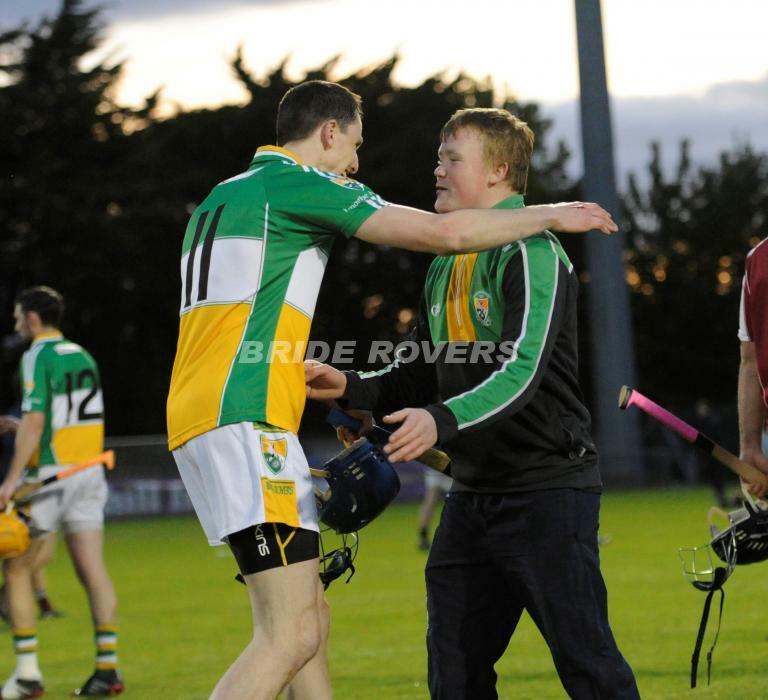 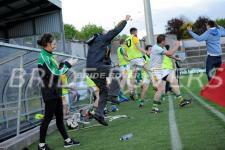 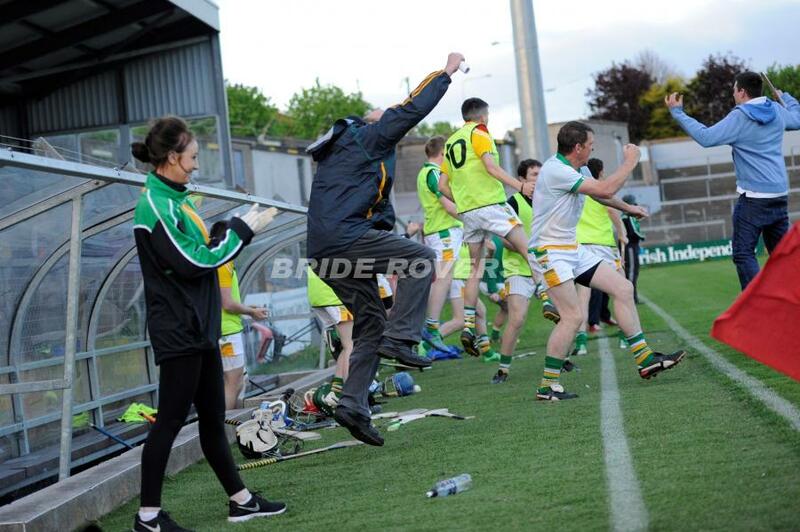 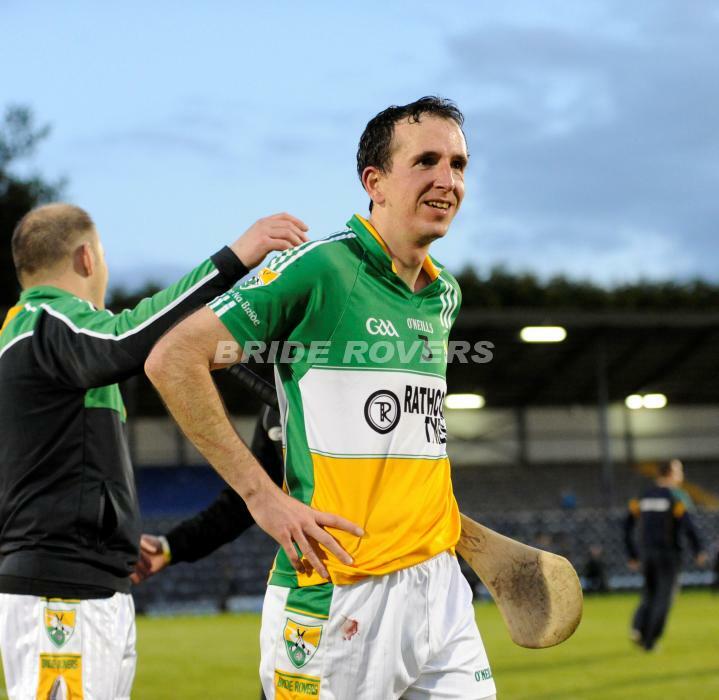 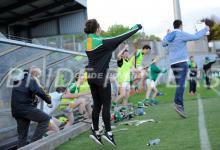 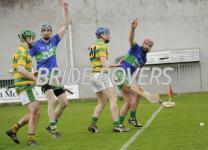 Sean Ryan celebrates his point while Ml Kearney is on the floor !! 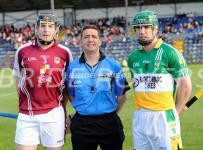 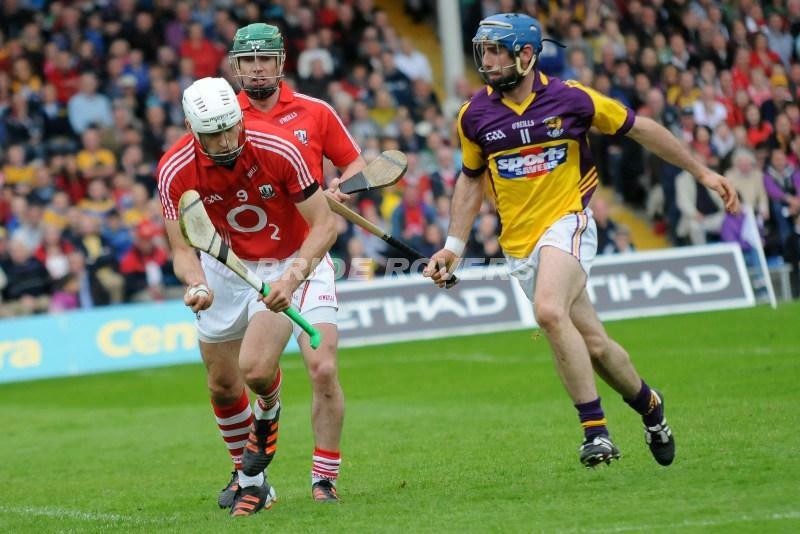 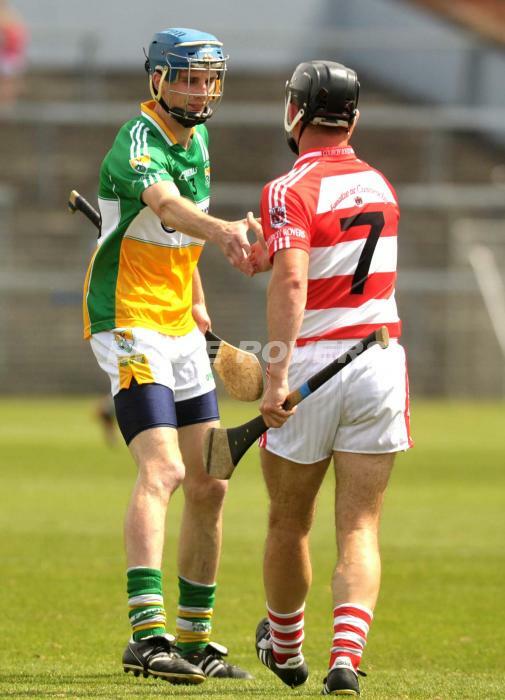 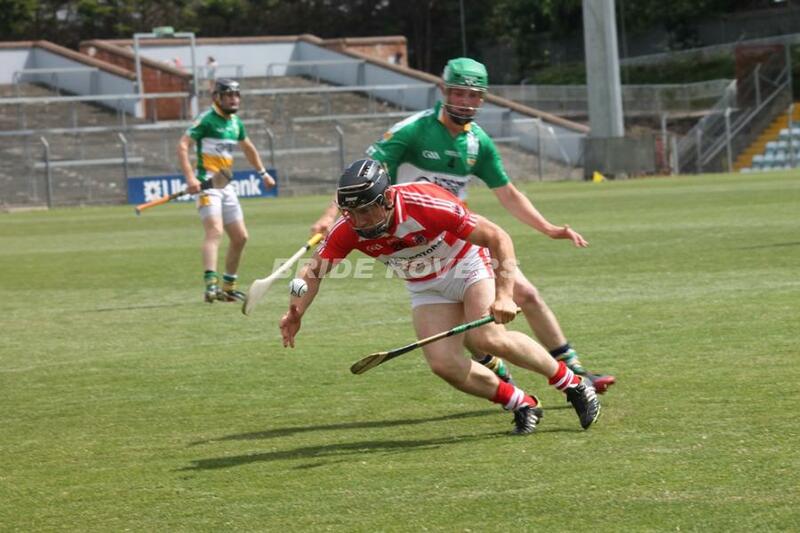 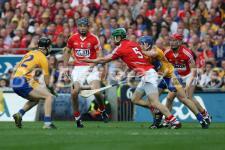 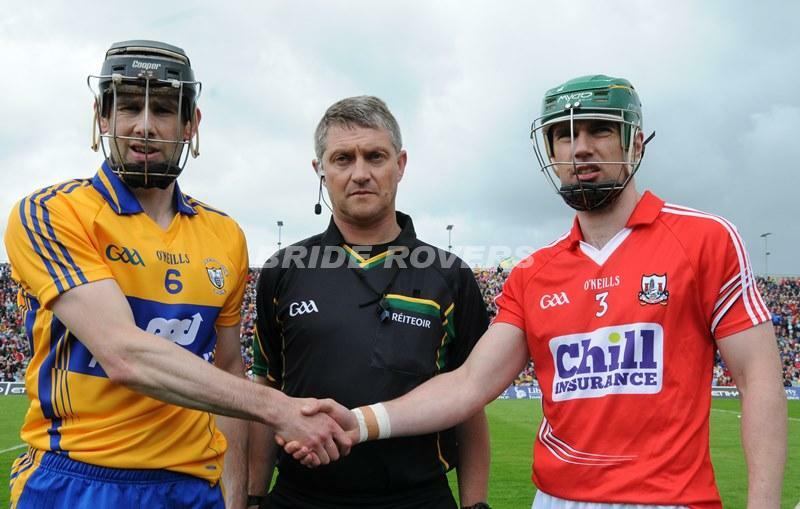 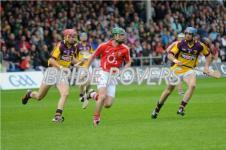 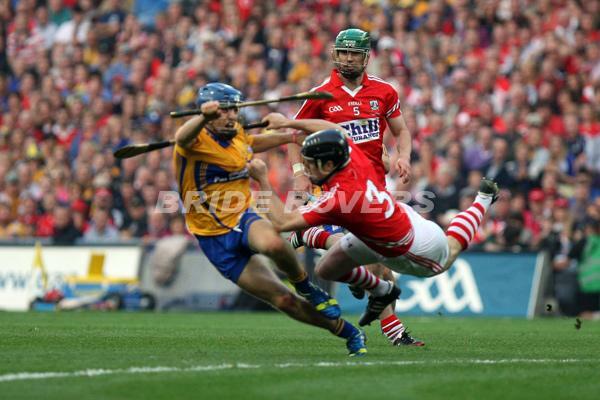 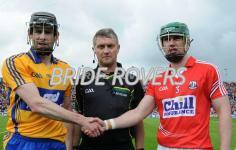 Brian Murphy Cork Captain V Clare June 23rd 2013. 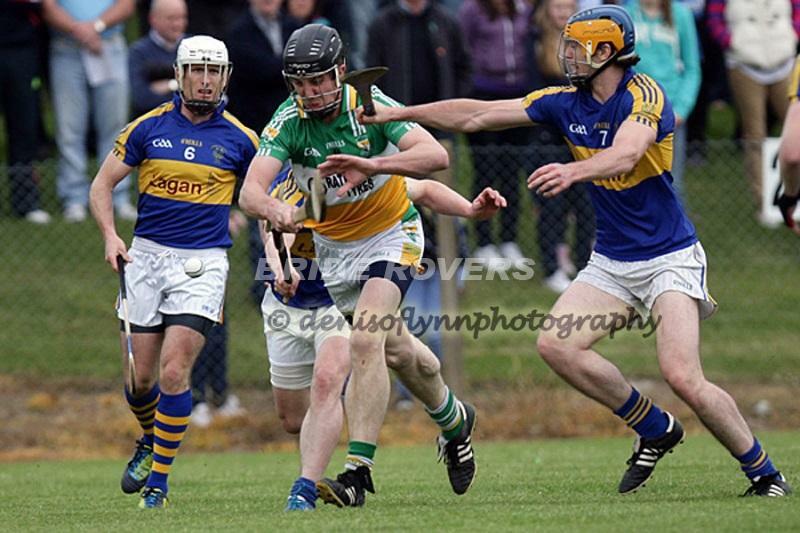 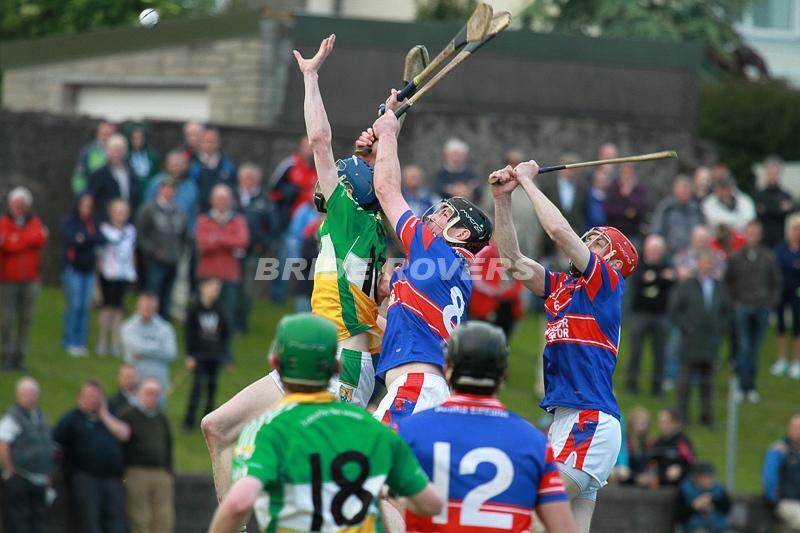 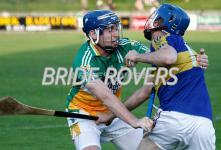 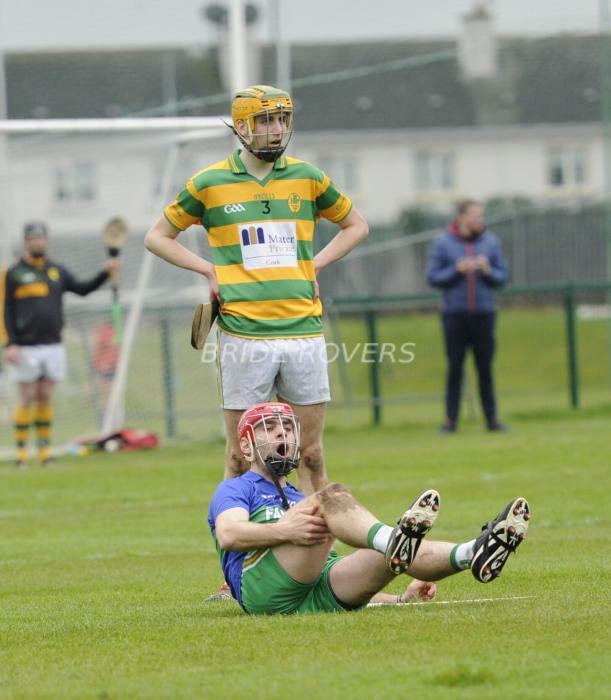 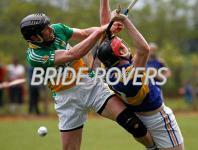 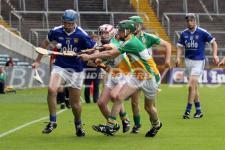 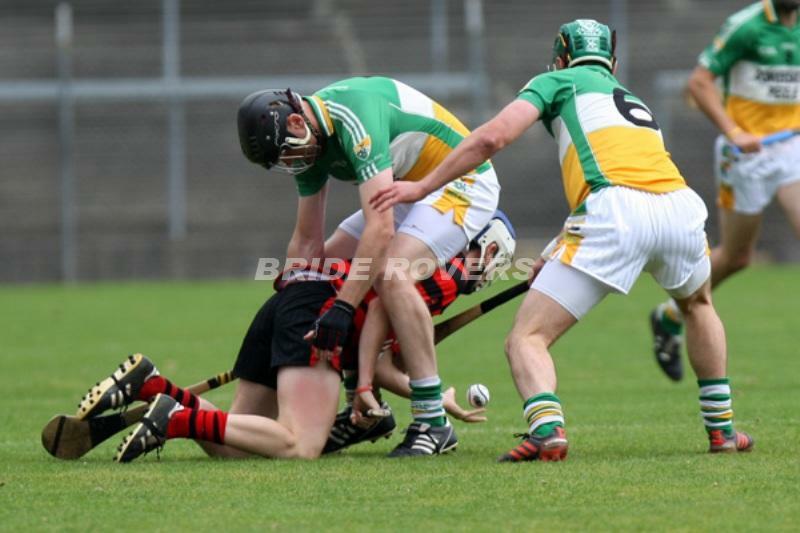 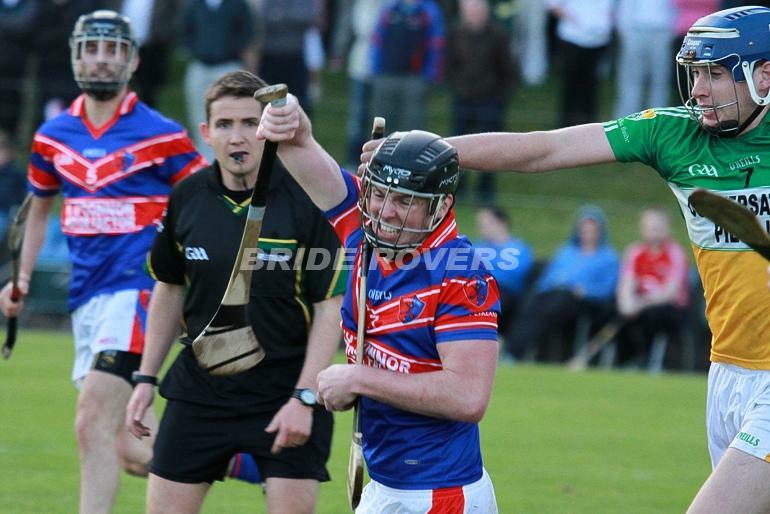 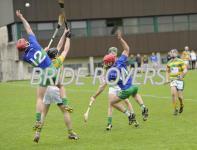 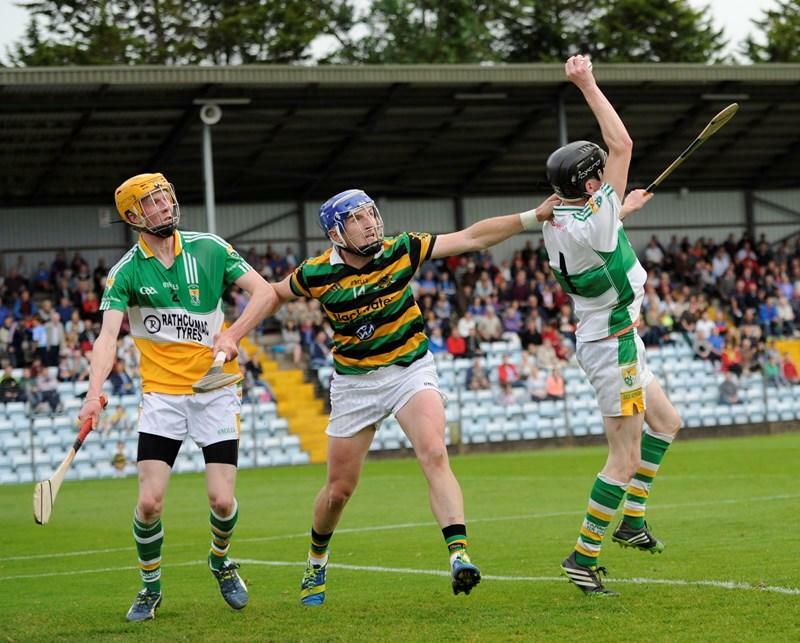 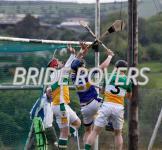 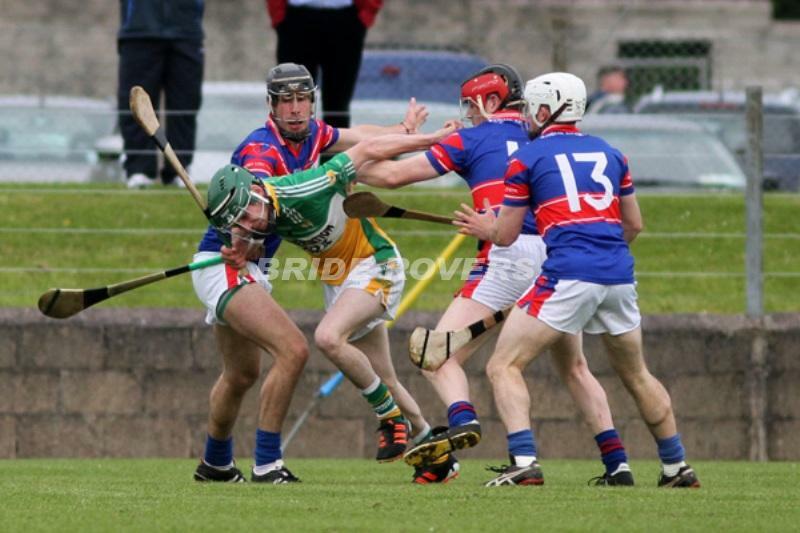 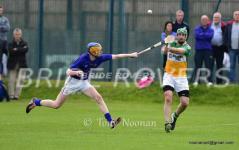 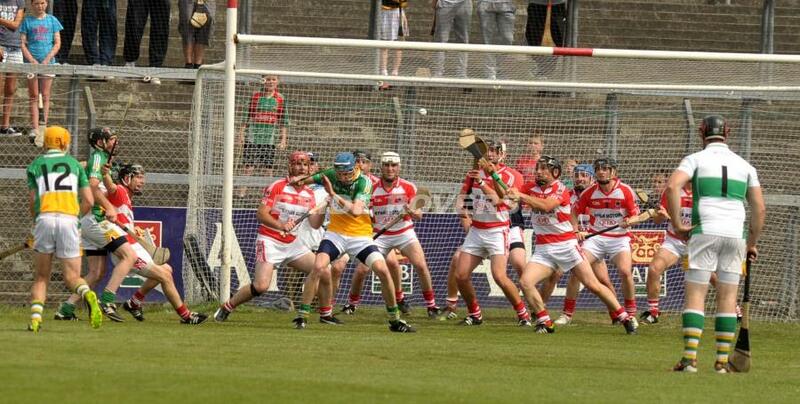 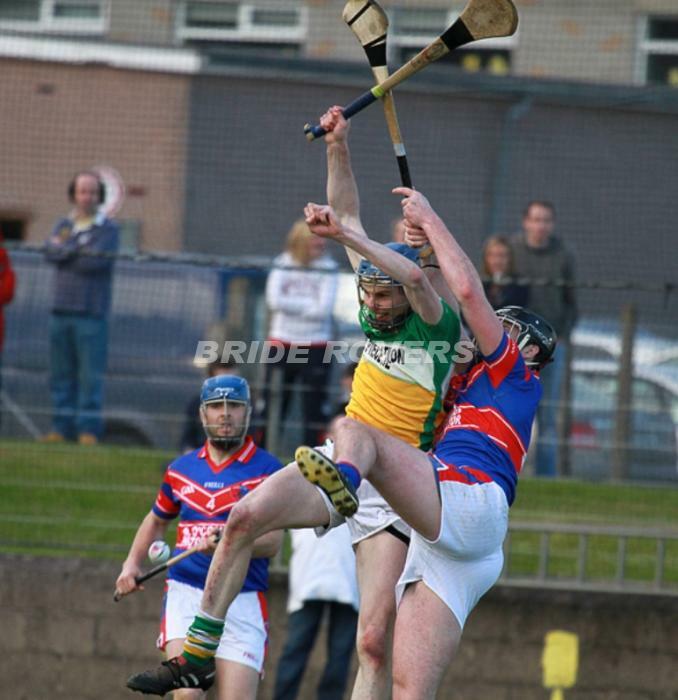 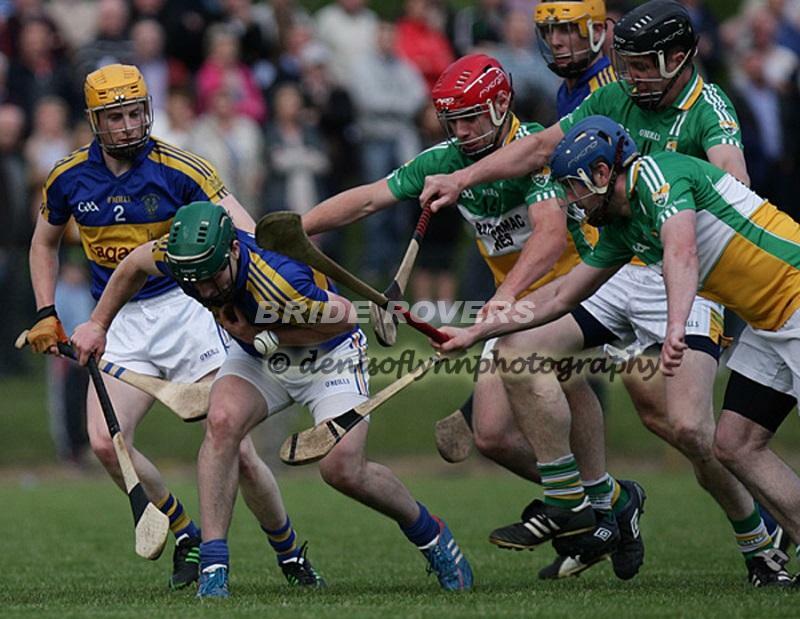 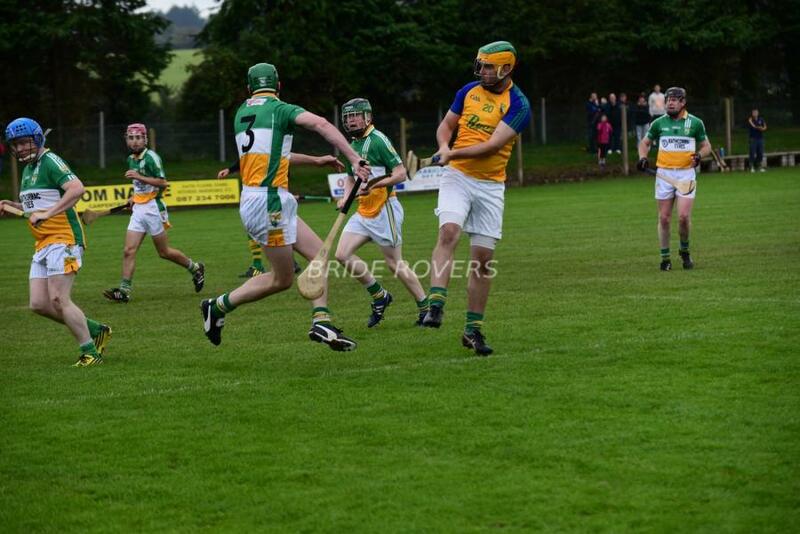 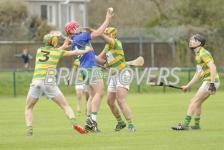 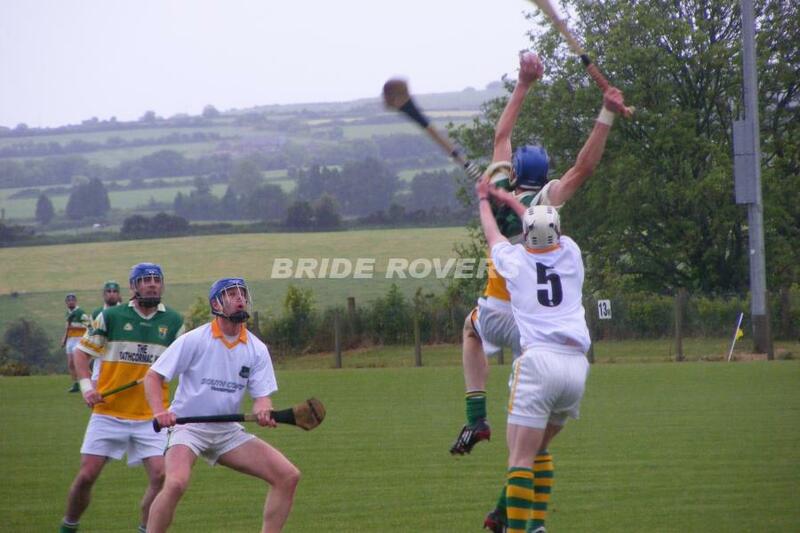 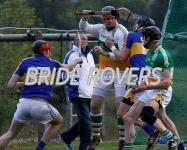 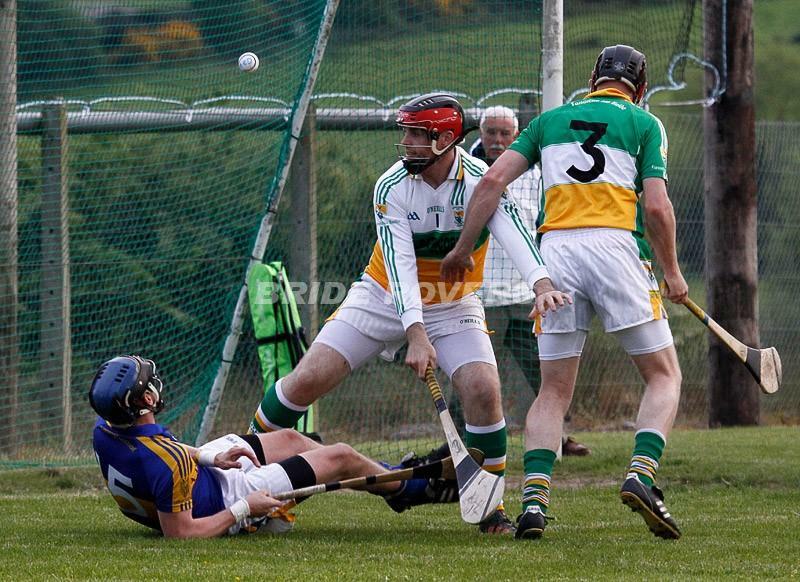 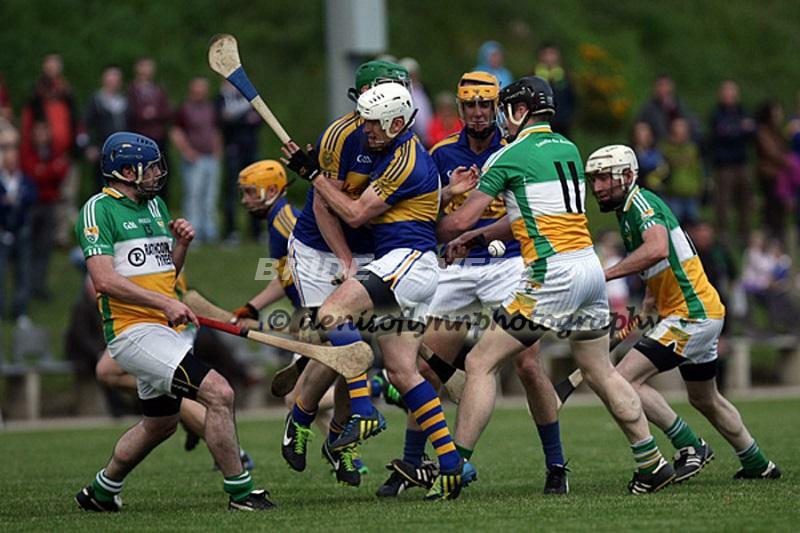 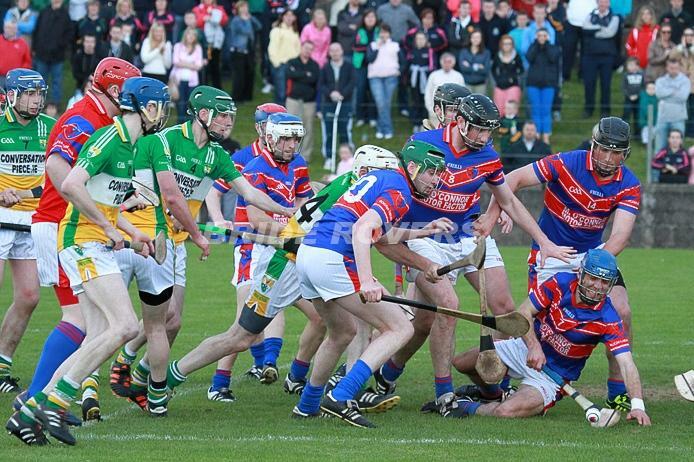 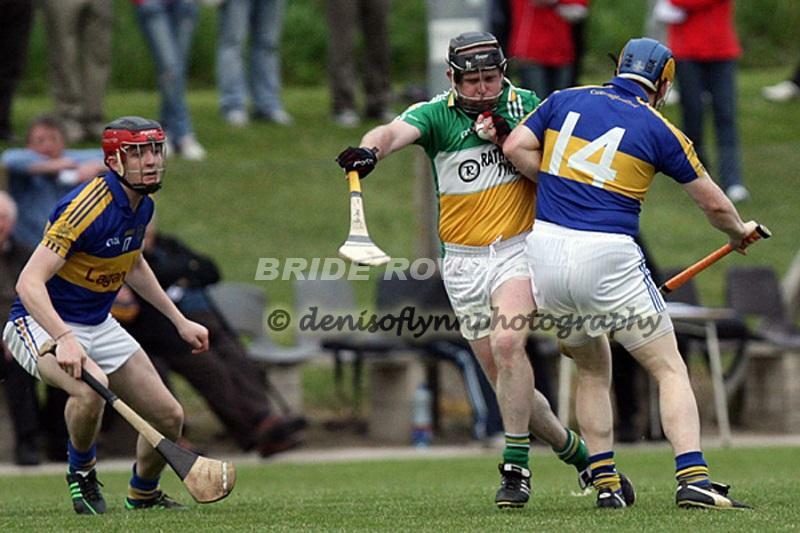 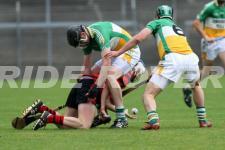 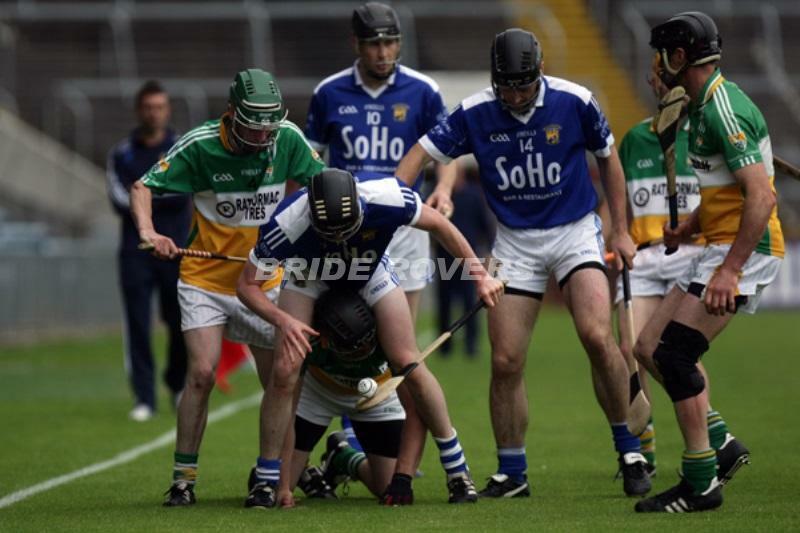 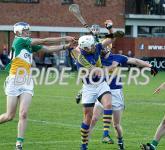 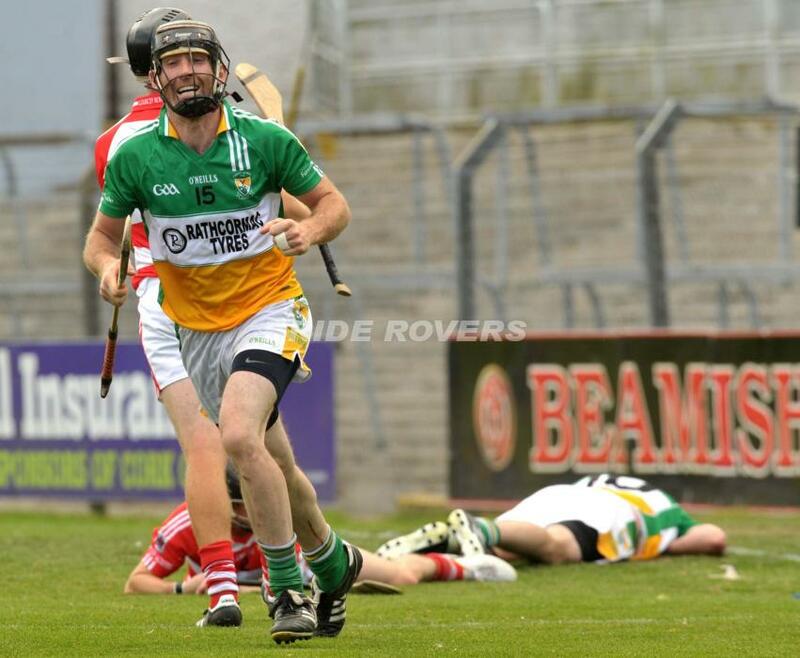 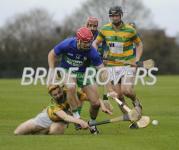 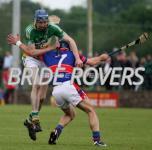 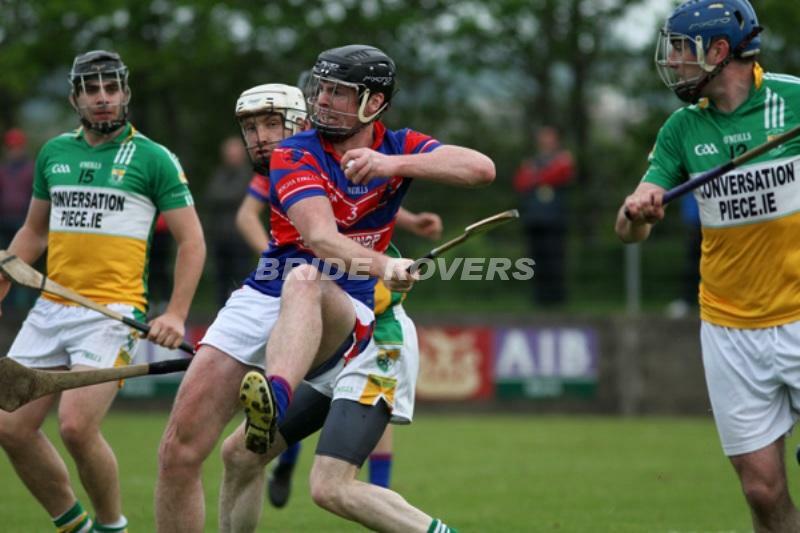 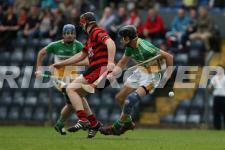 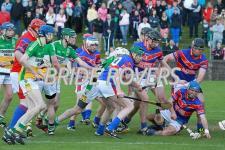 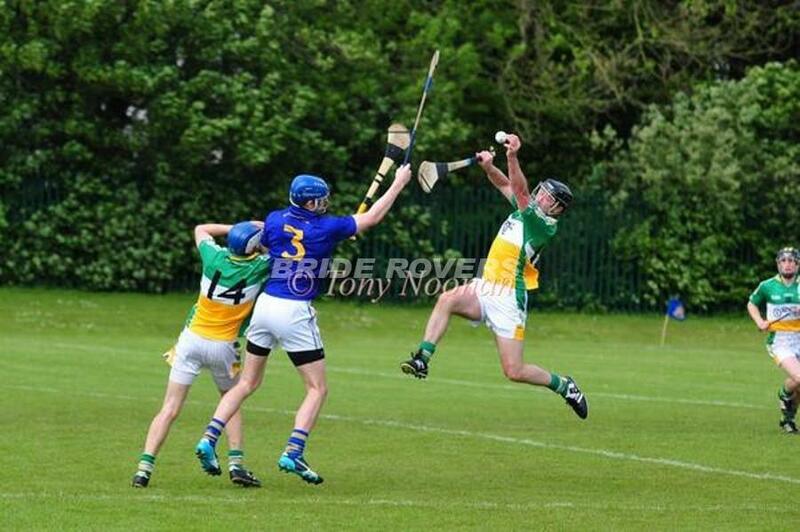 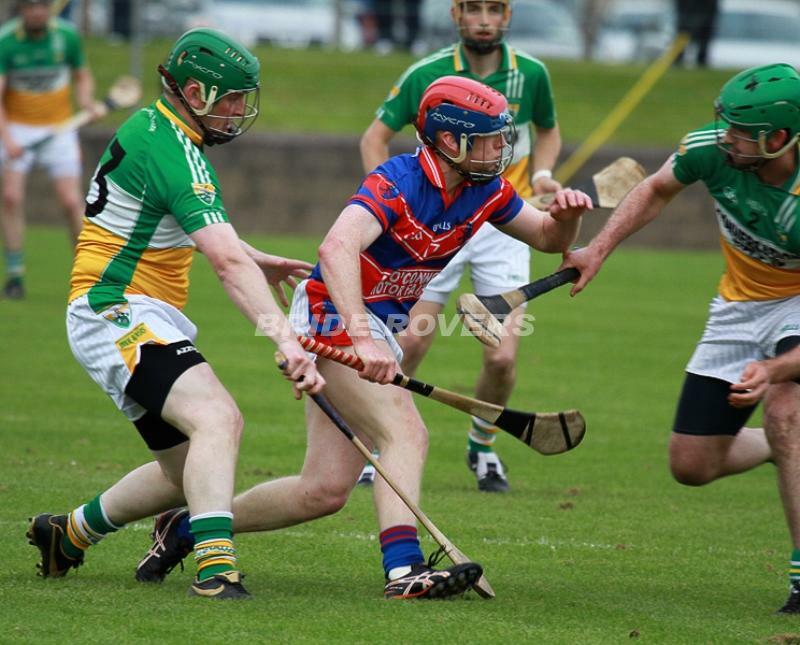 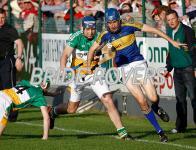 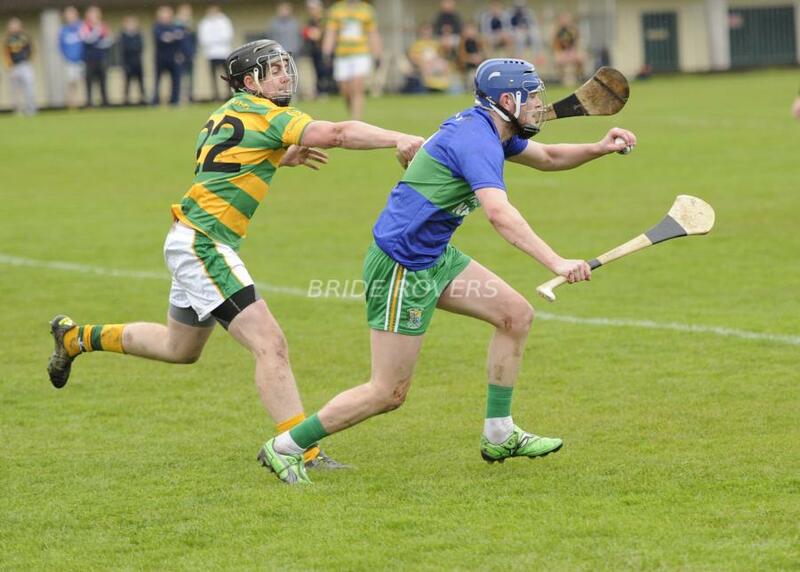 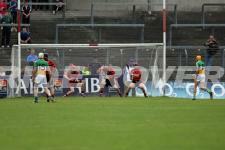 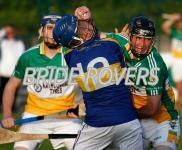 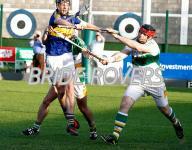 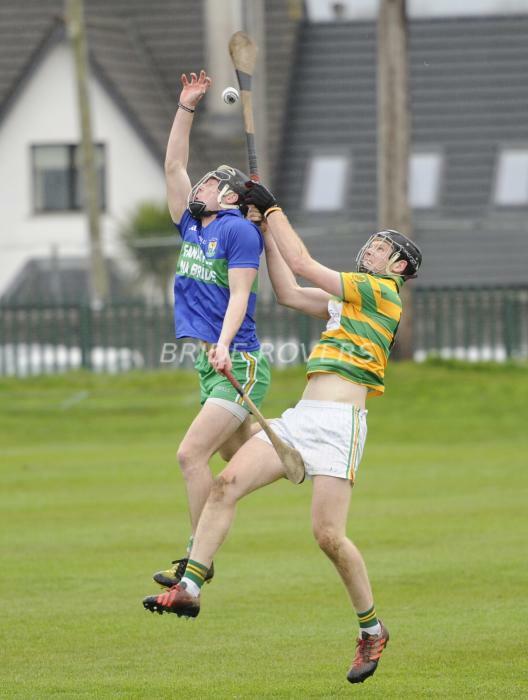 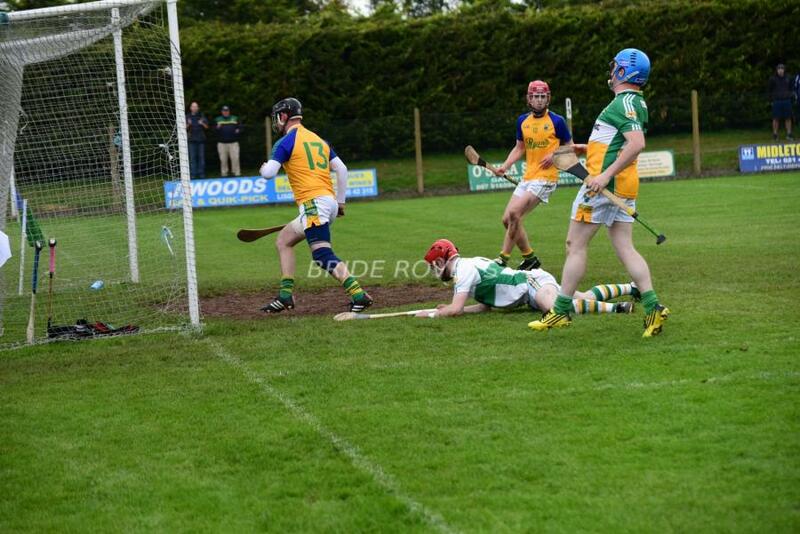 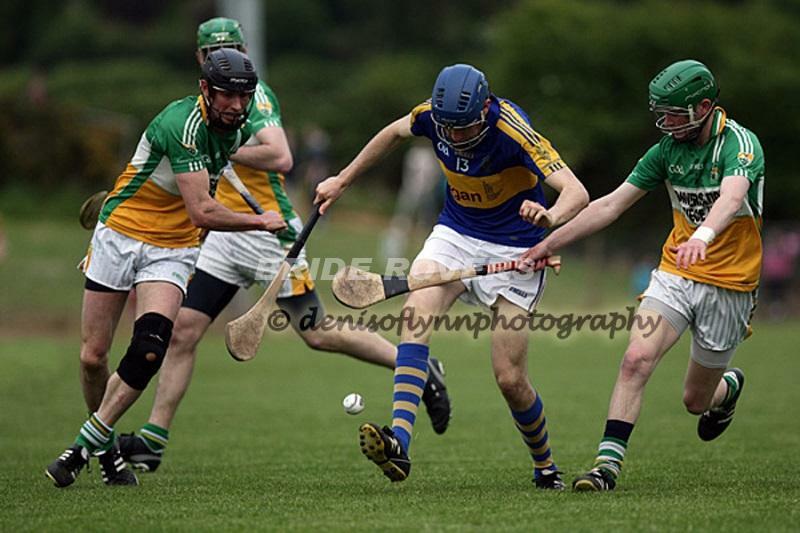 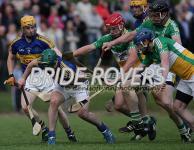 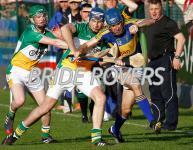 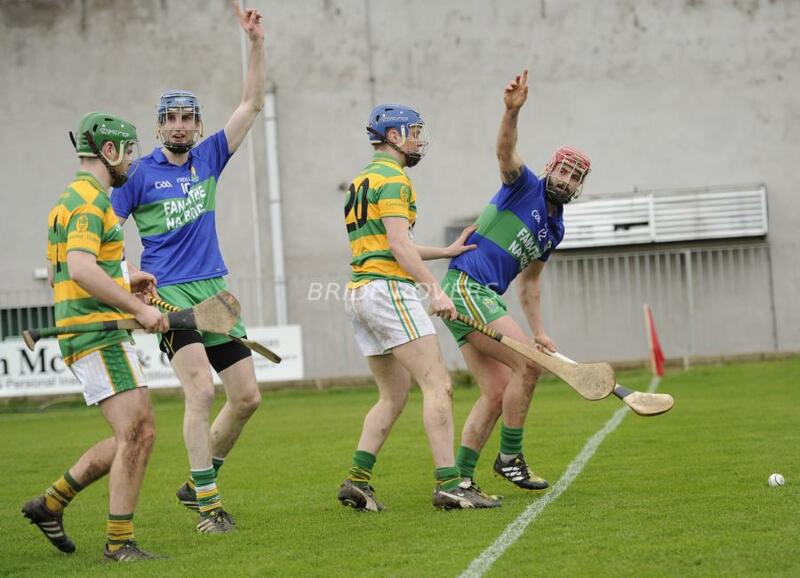 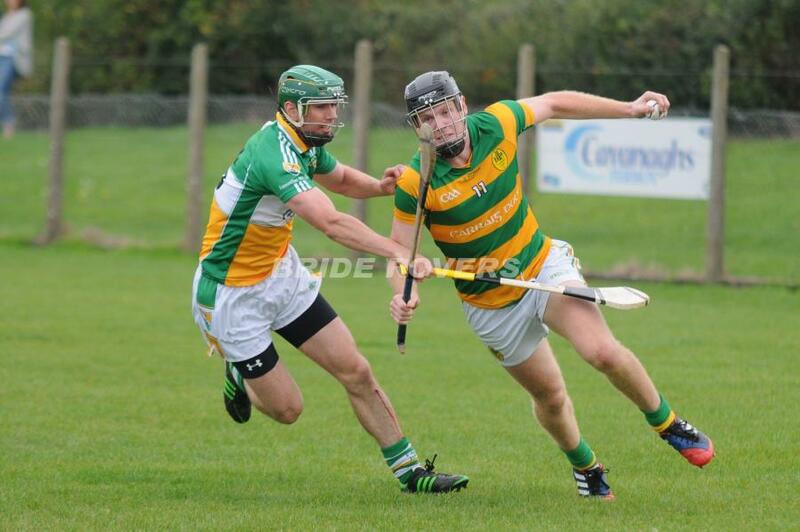 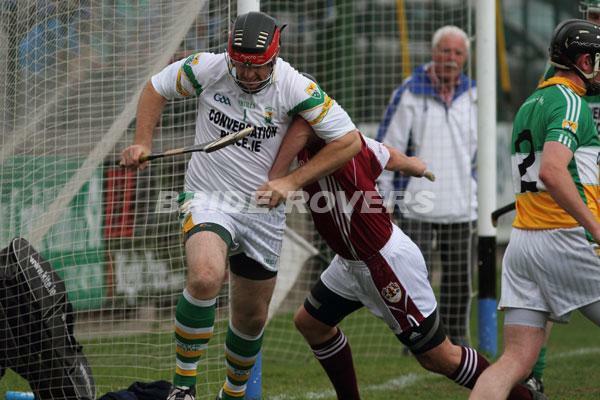 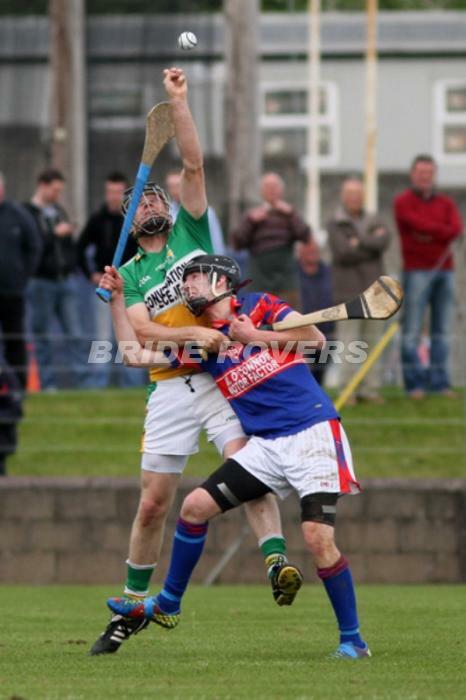 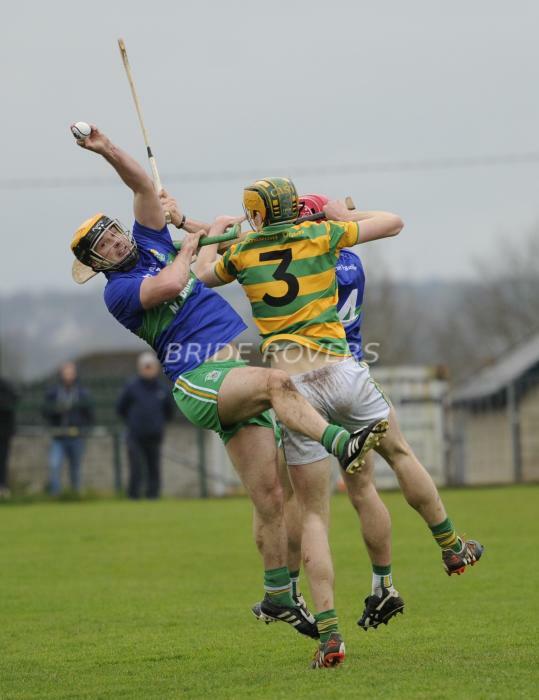 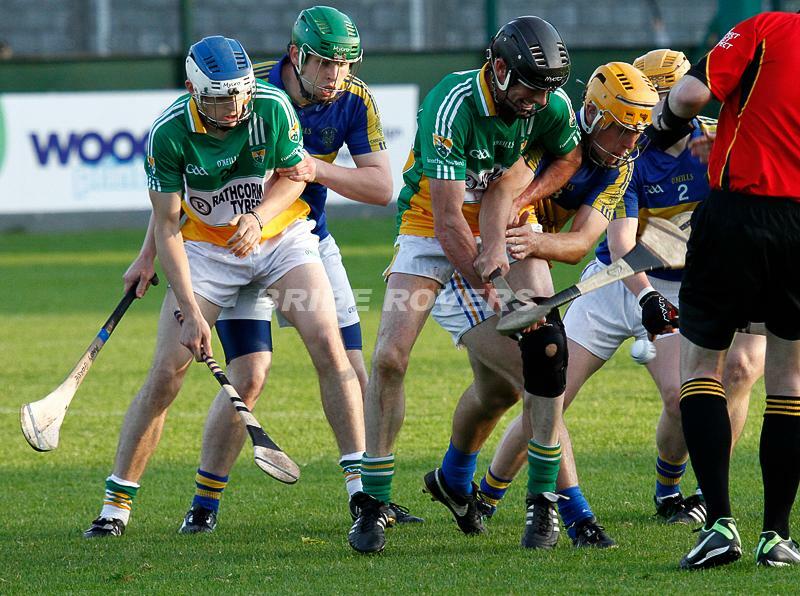 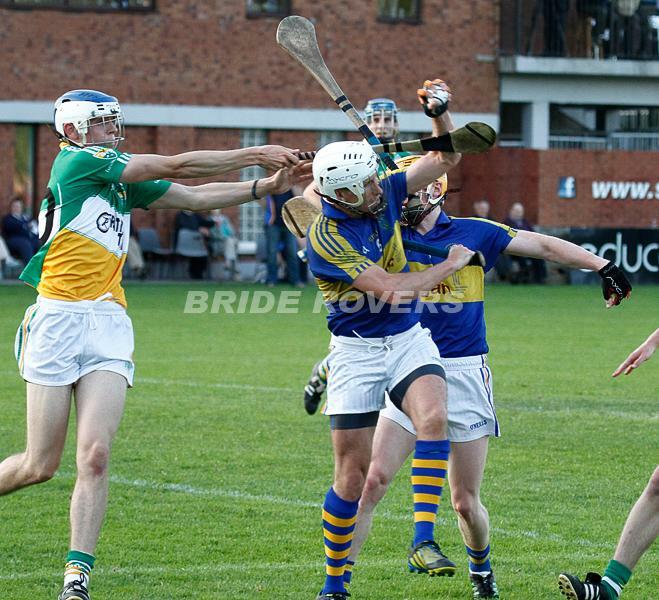 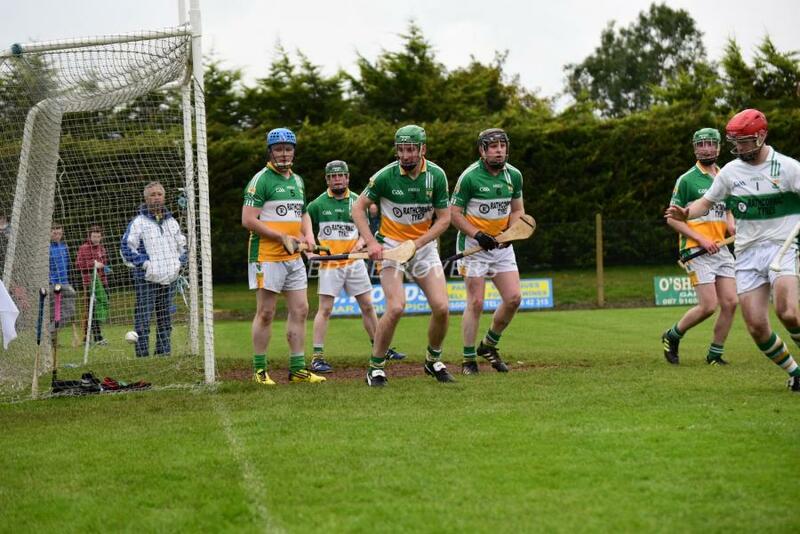 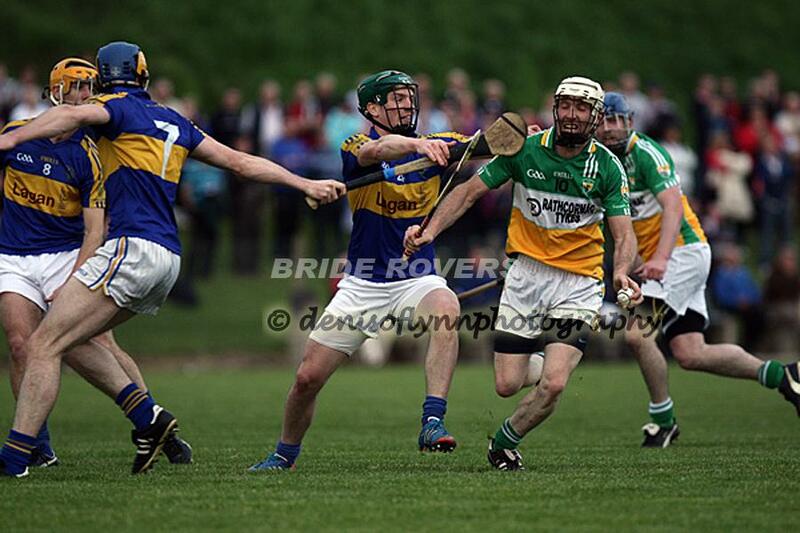 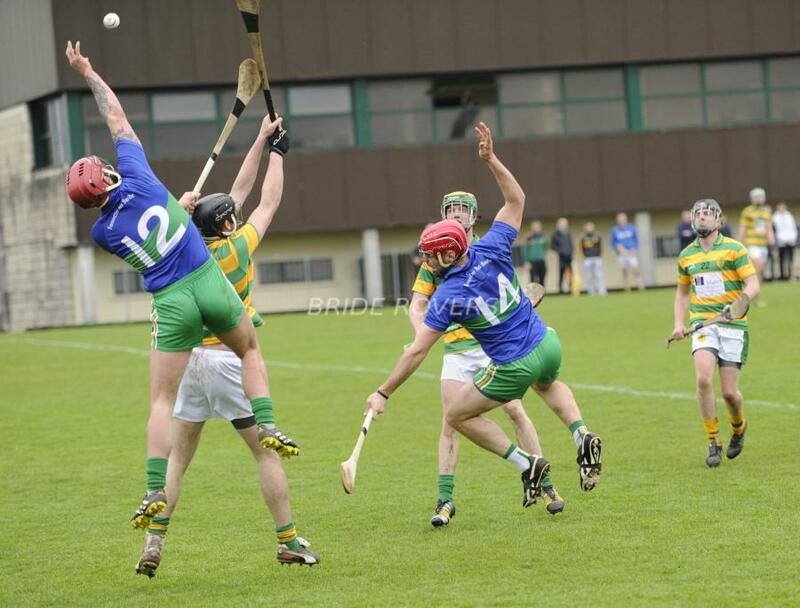 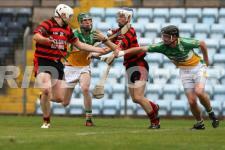 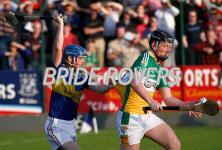 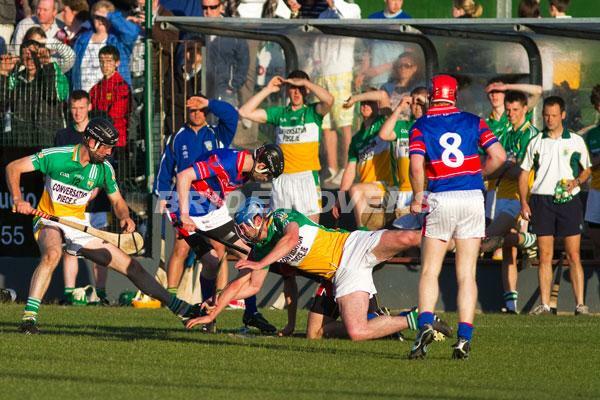 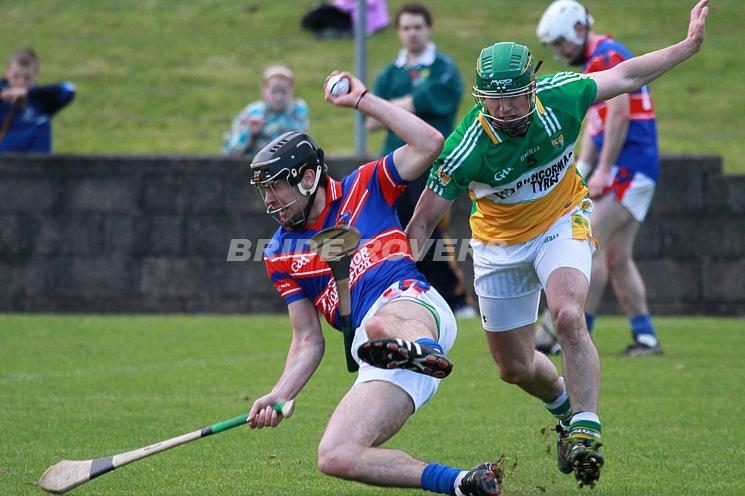 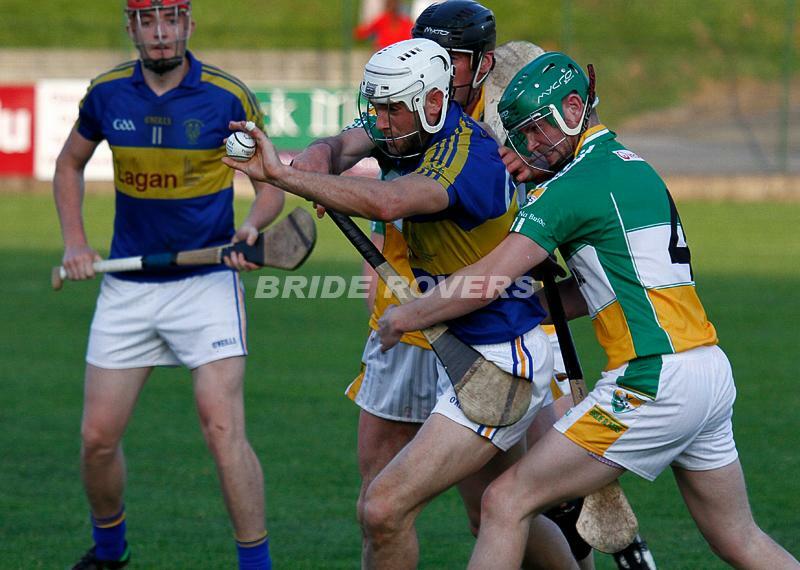 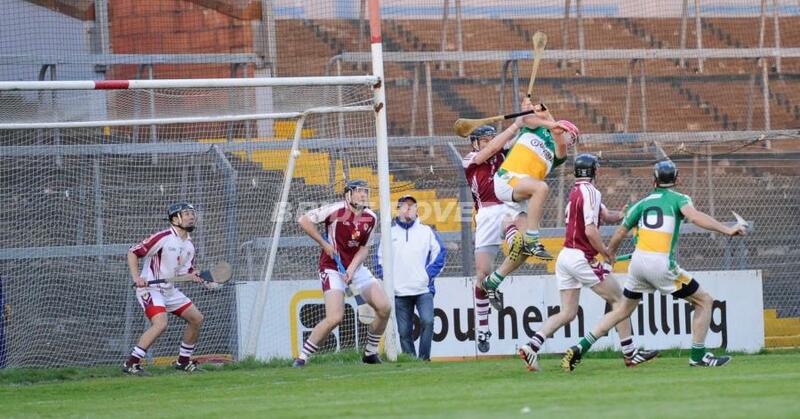 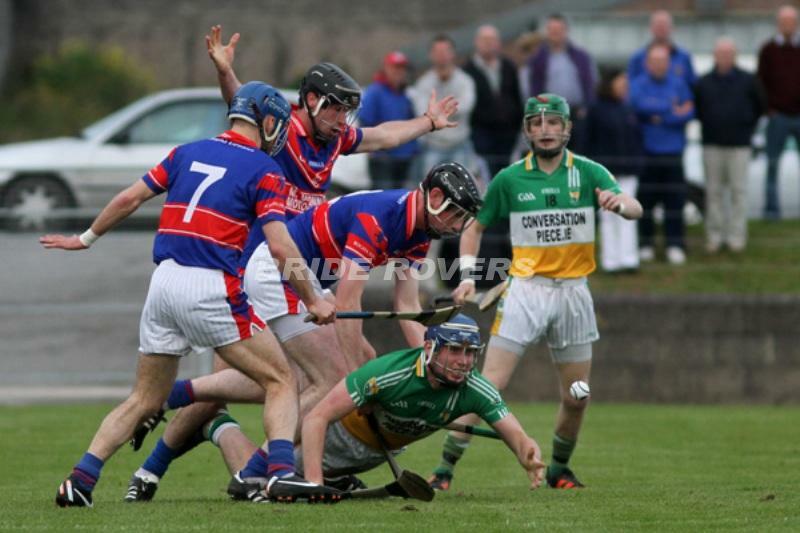 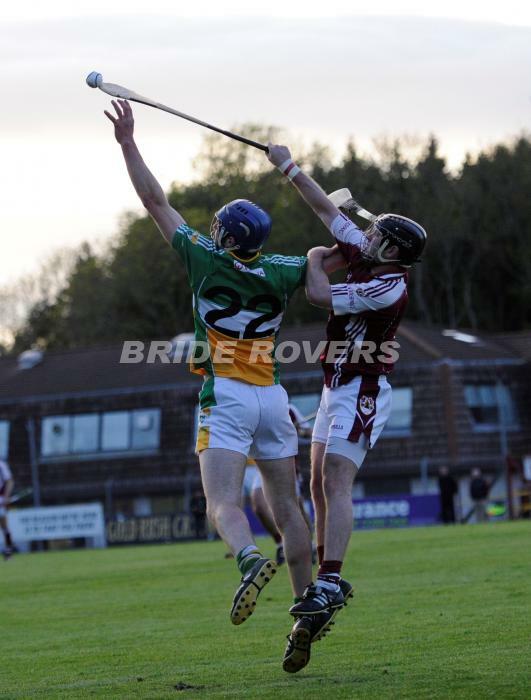 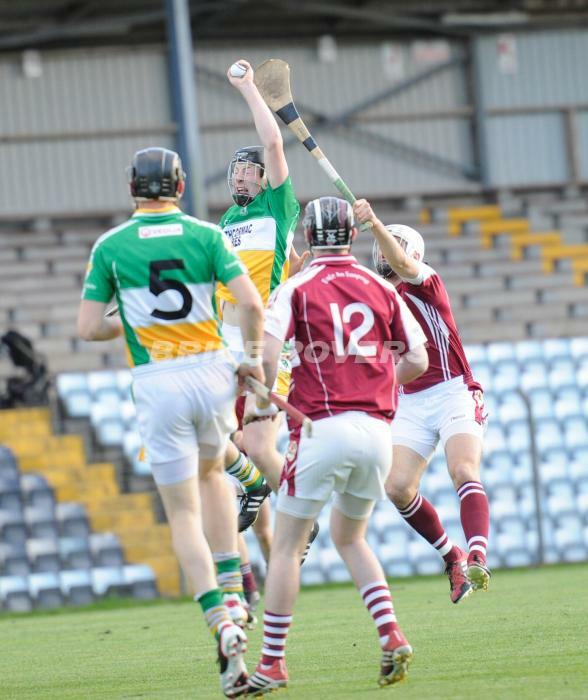 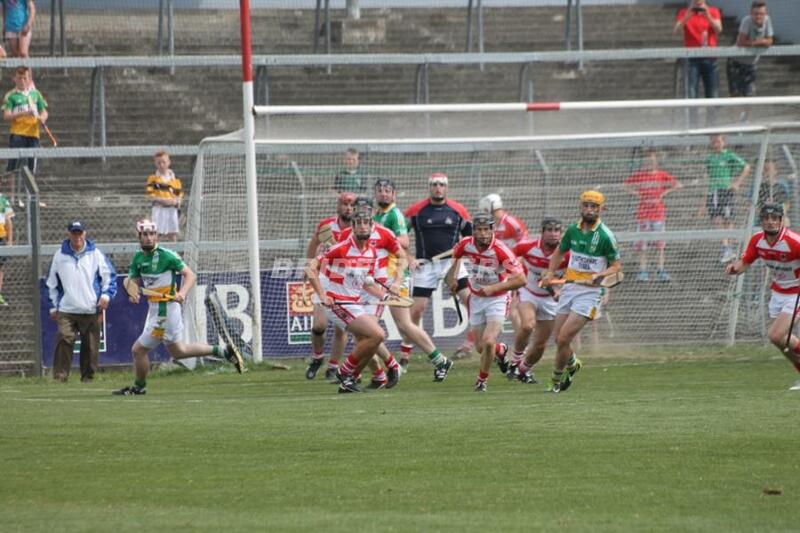 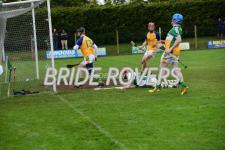 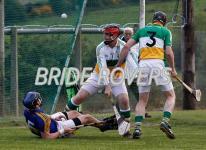 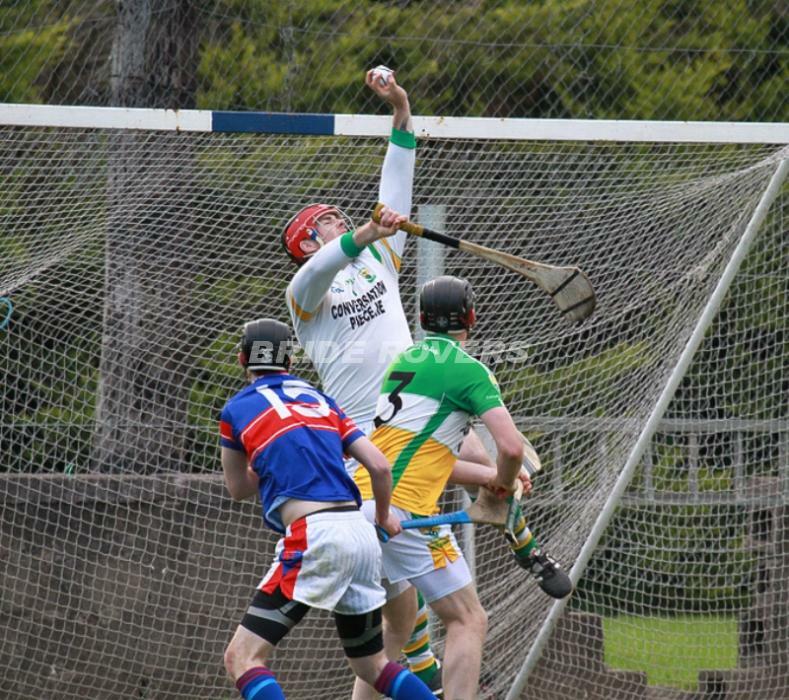 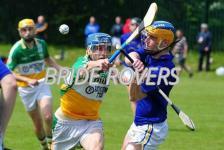 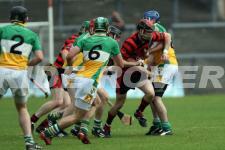 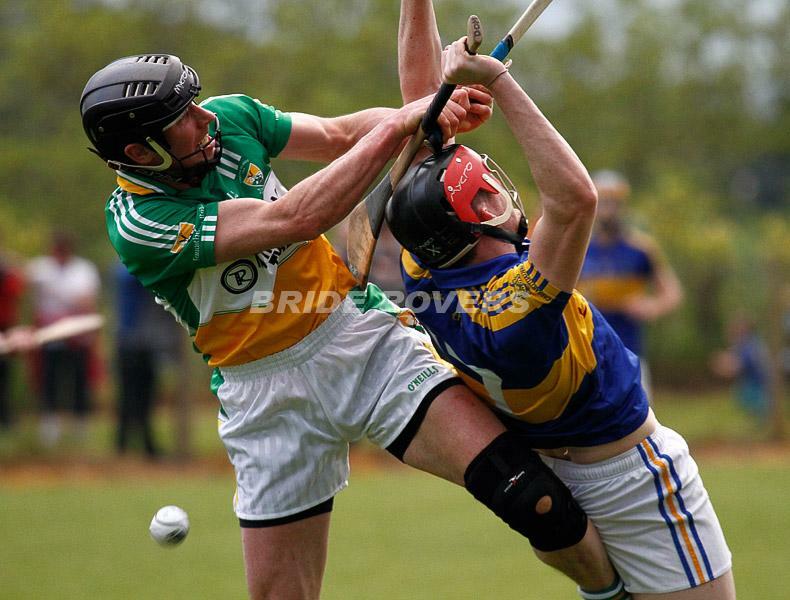 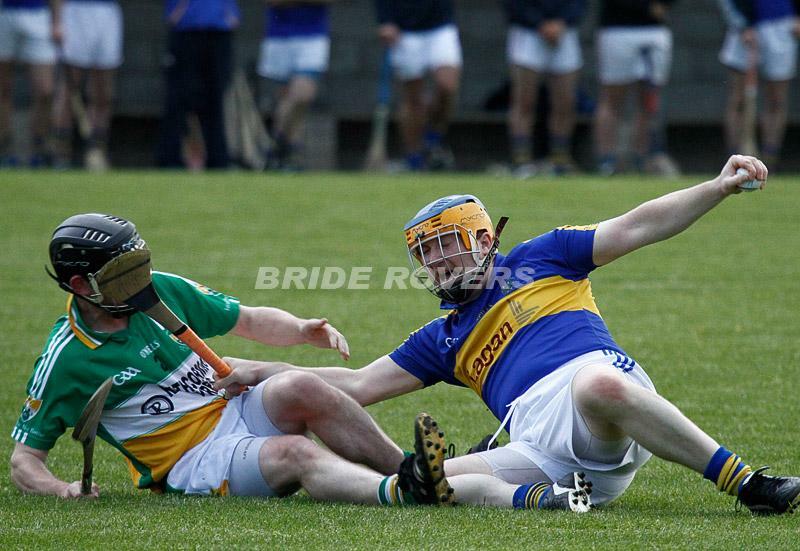 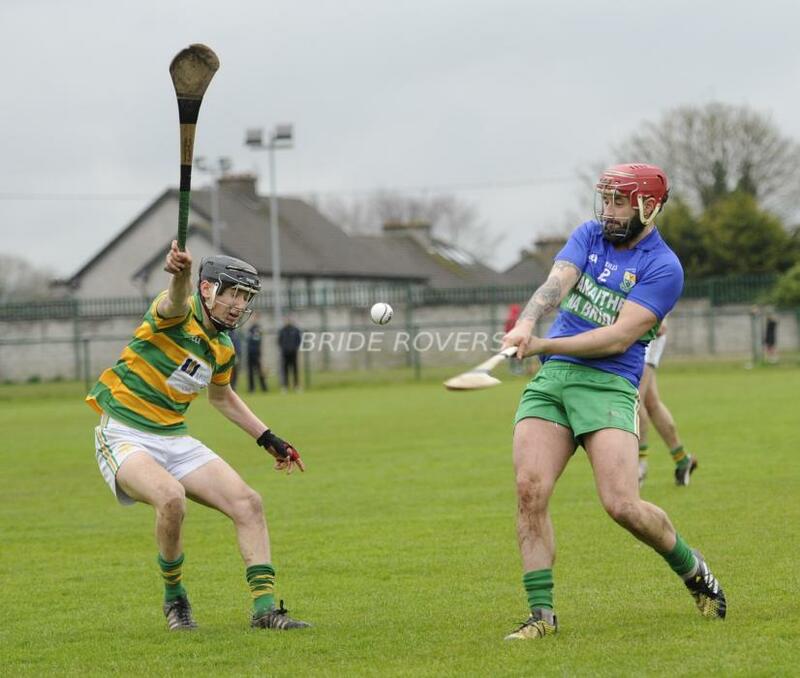 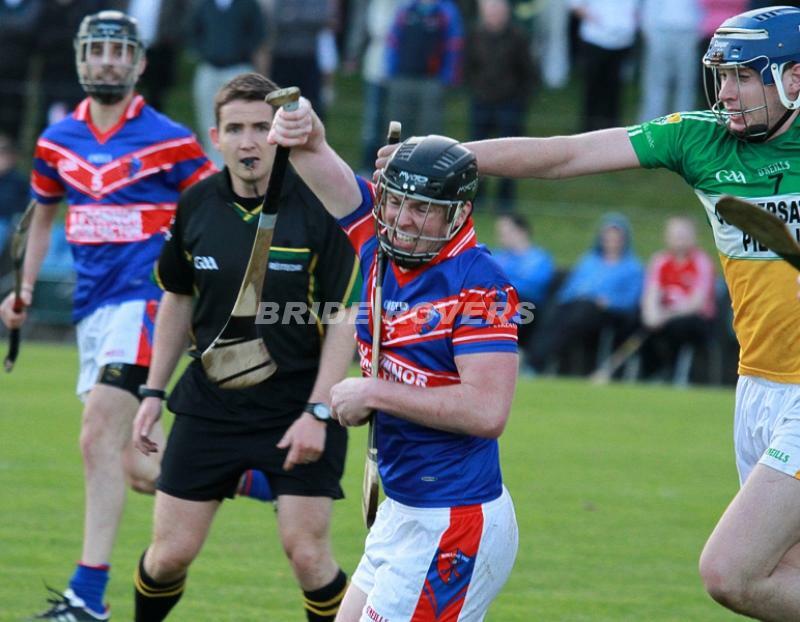 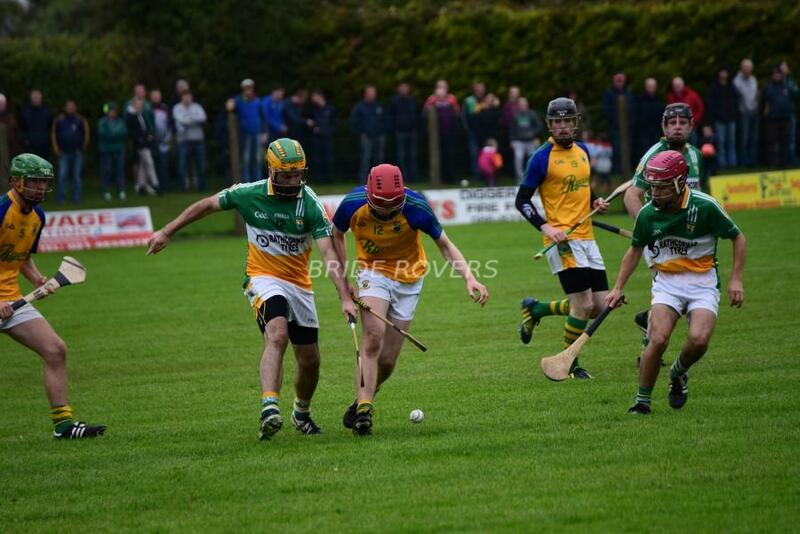 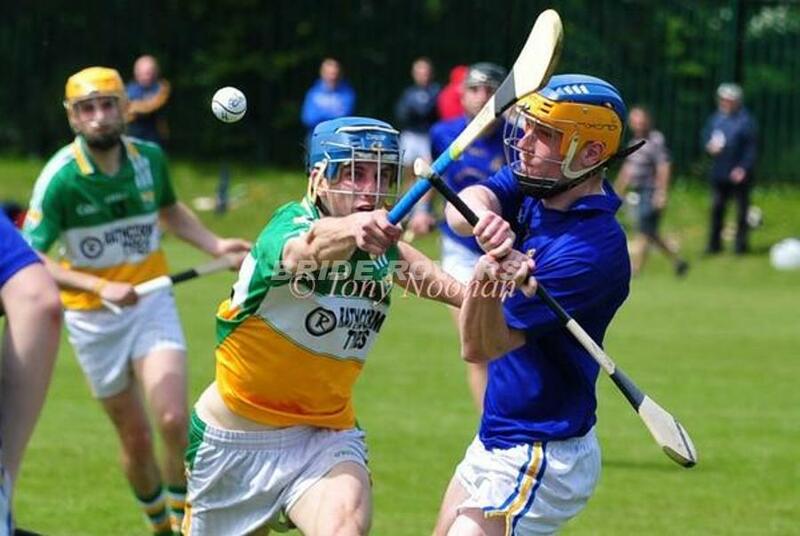 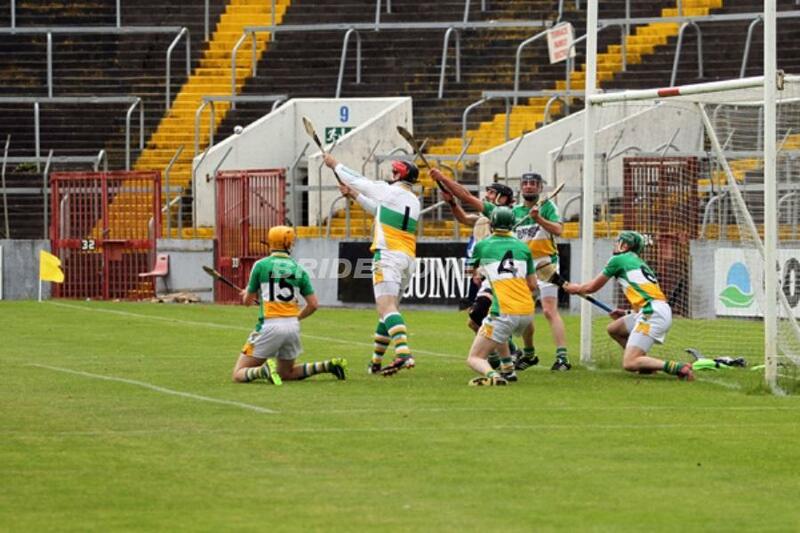 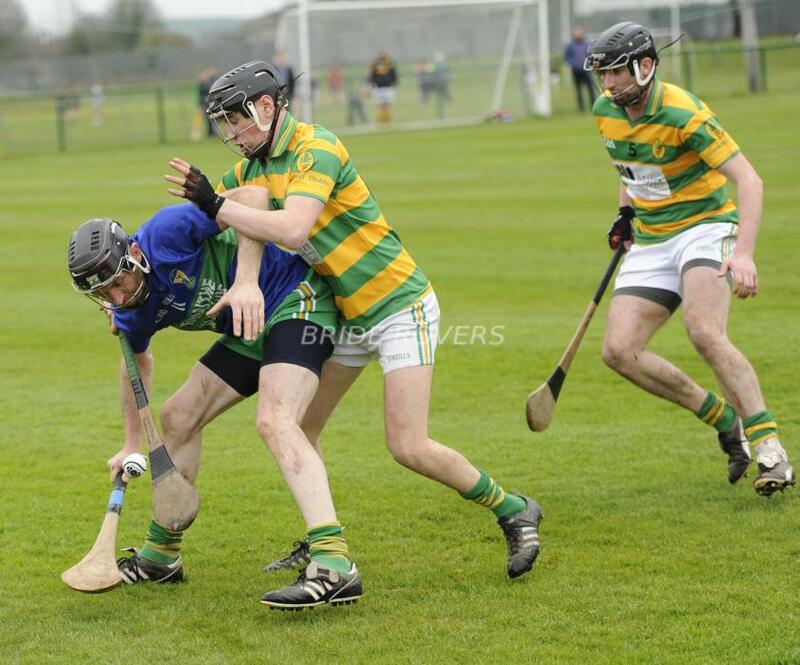 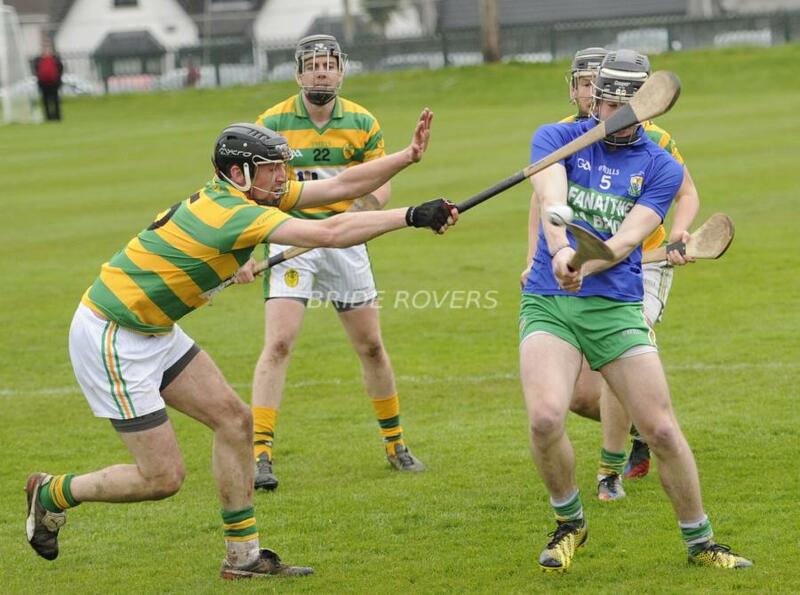 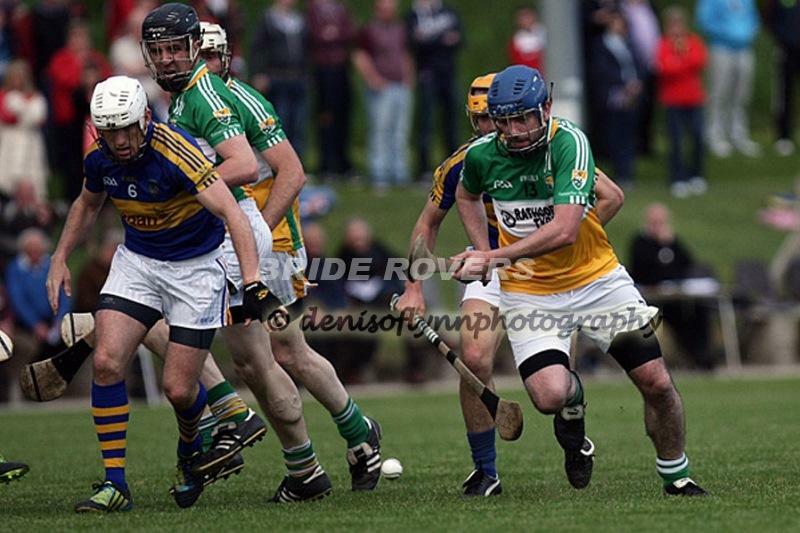 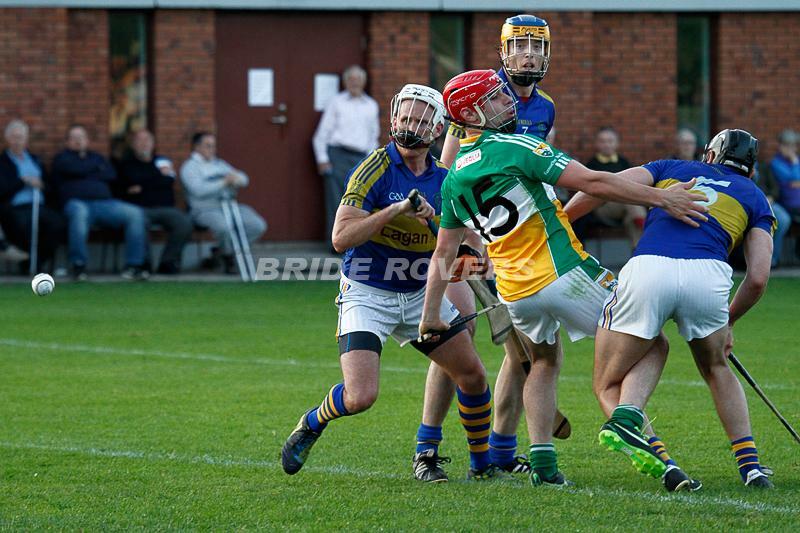 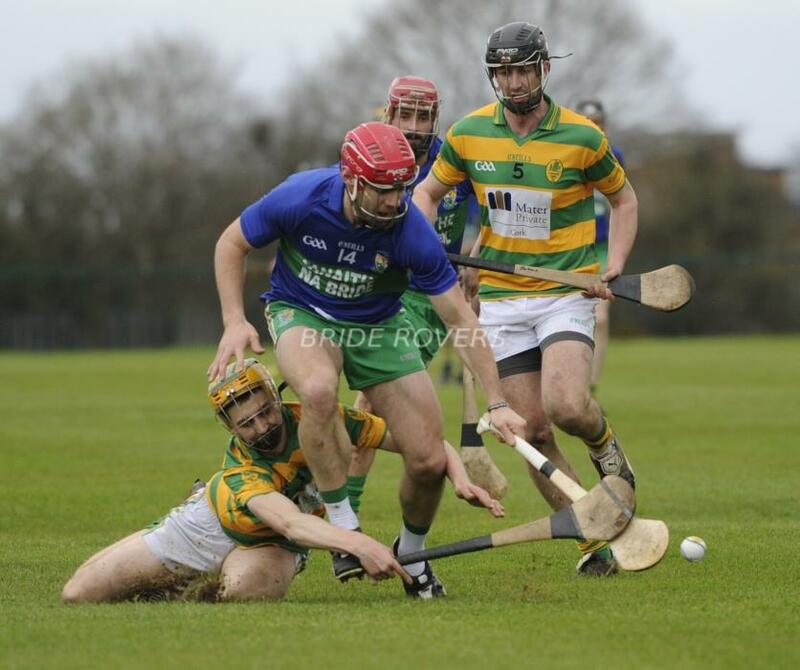 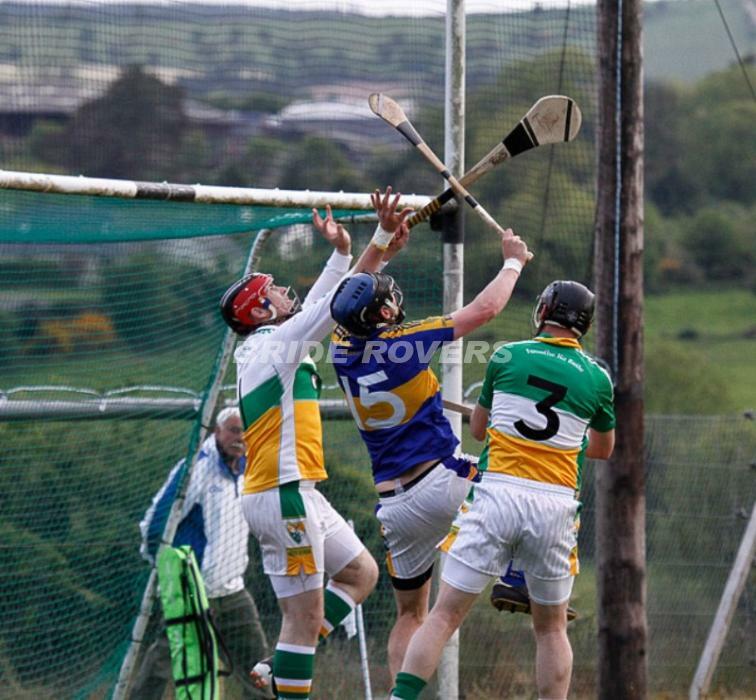 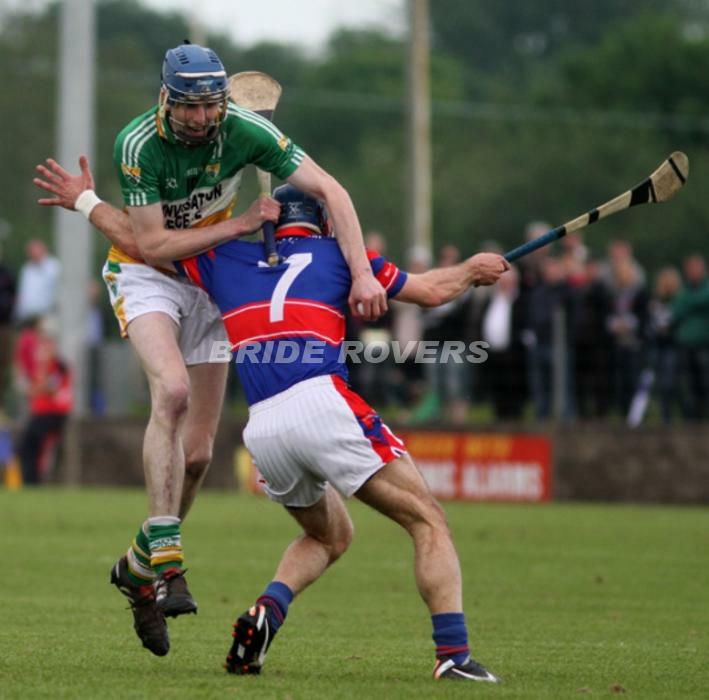 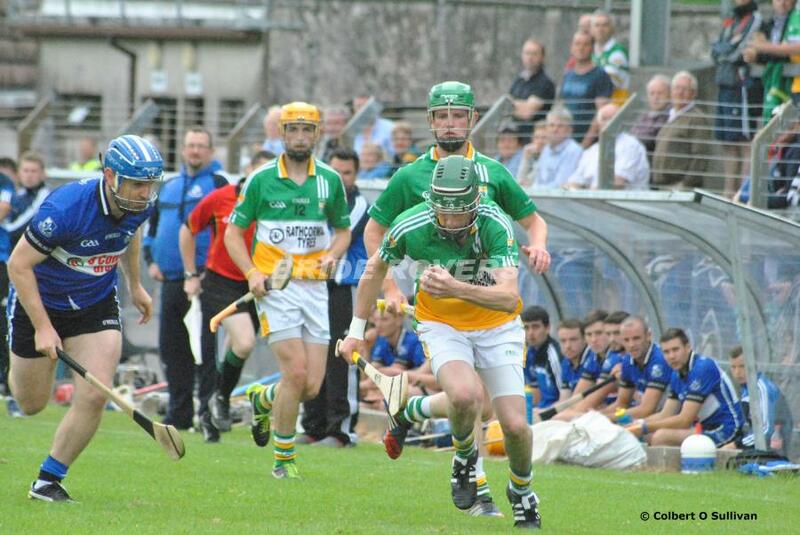 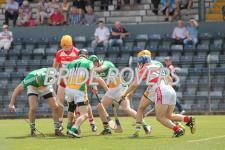 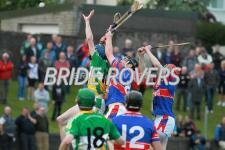 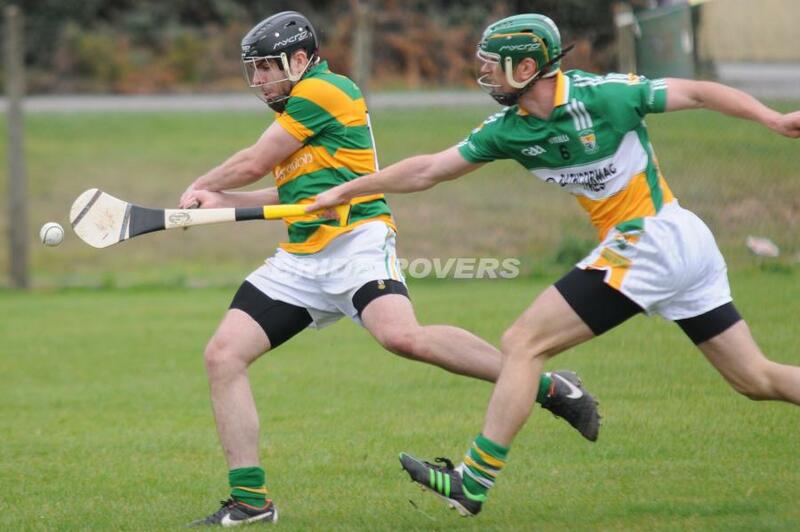 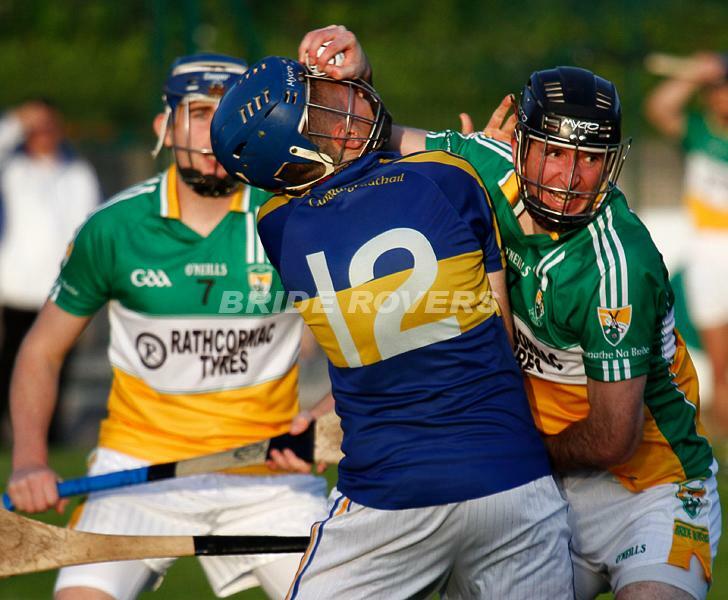 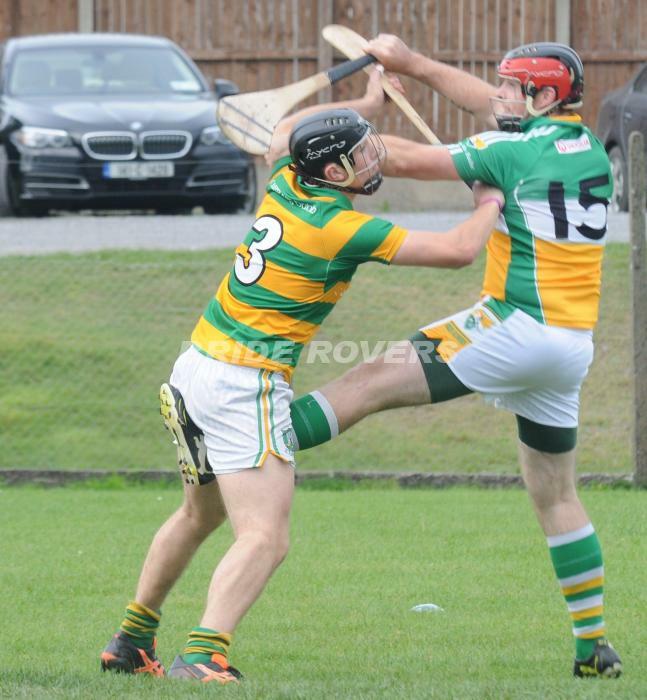 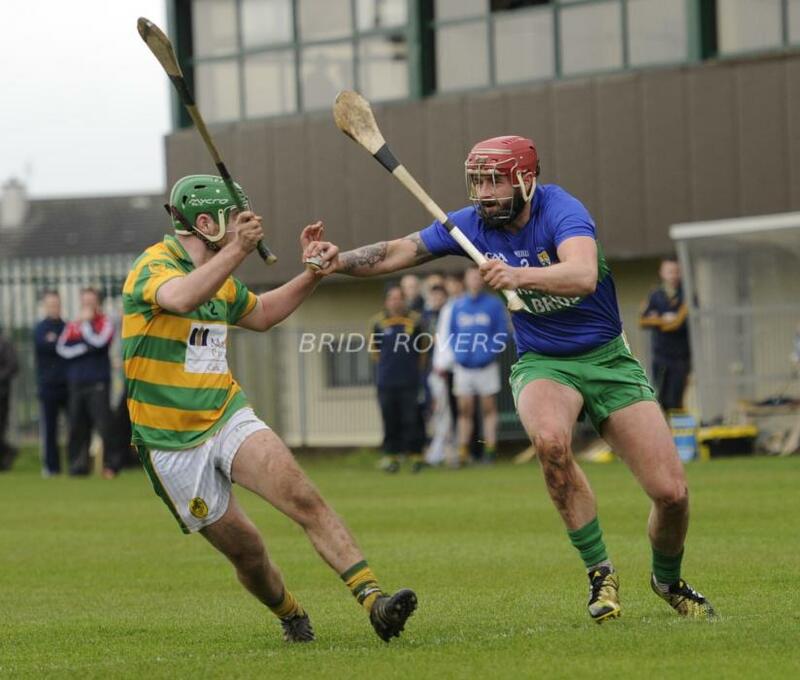 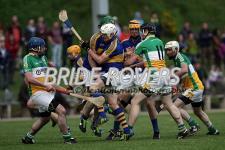 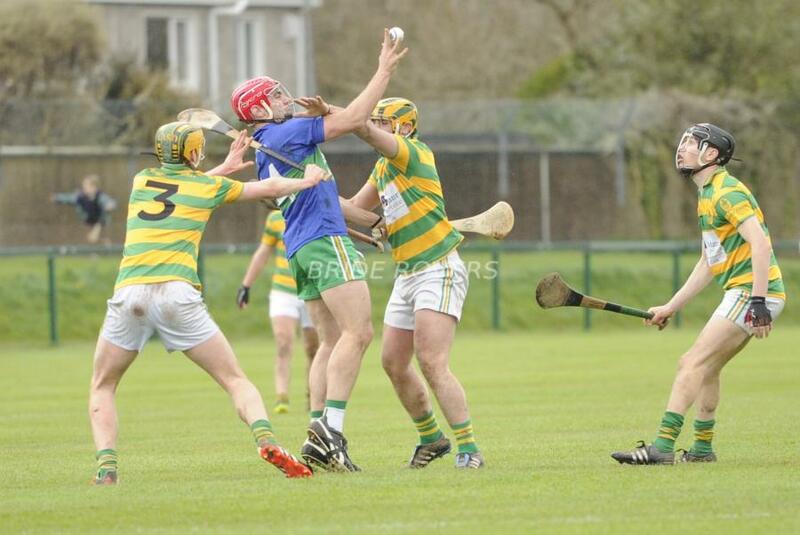 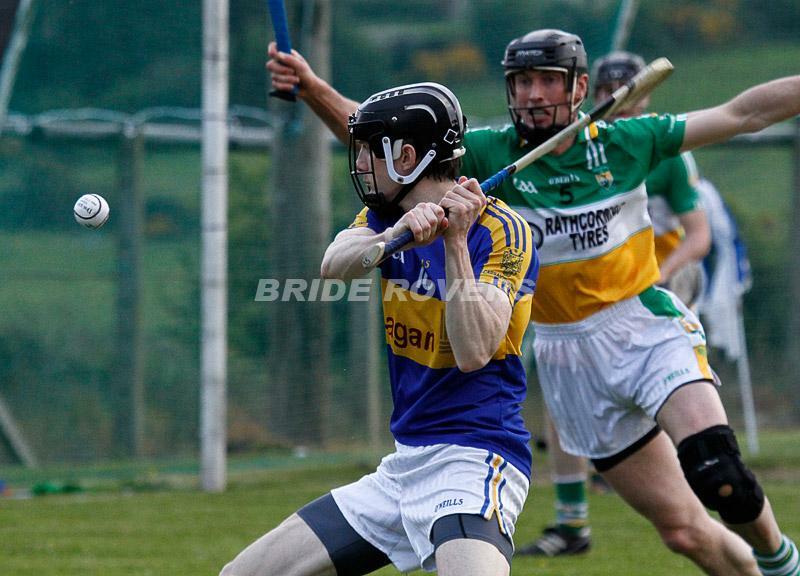 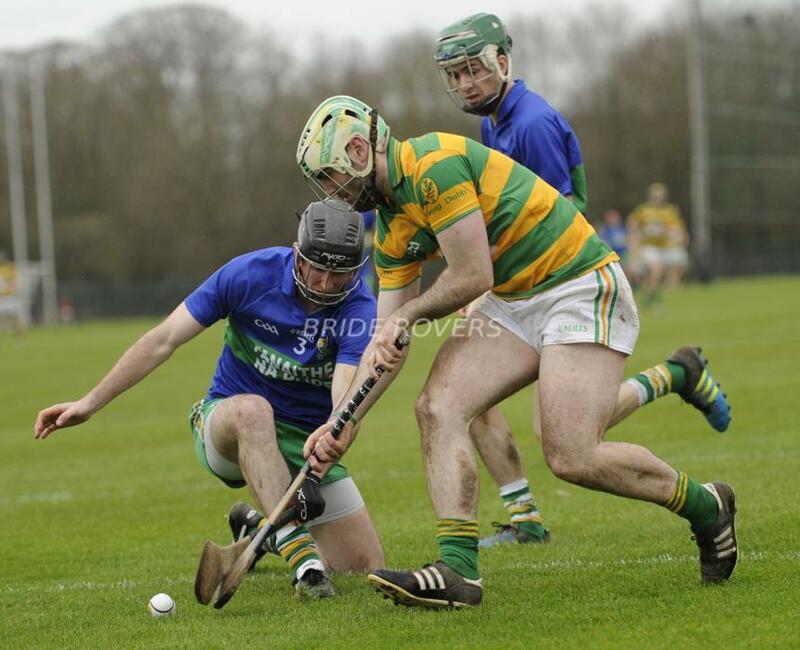 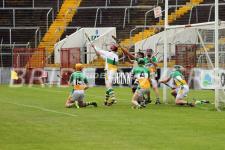 Goalmouth action from Ballynoie in the 2O13 SHC 1st round defeat to Carrigtwohill. 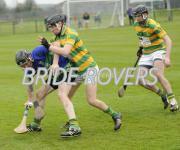 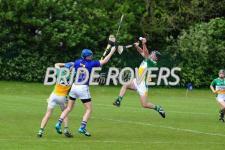 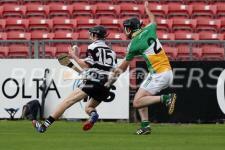 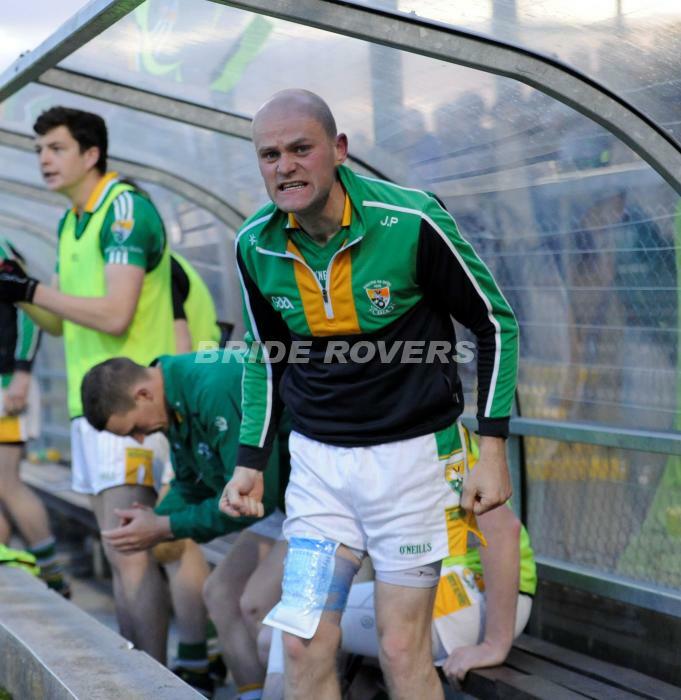 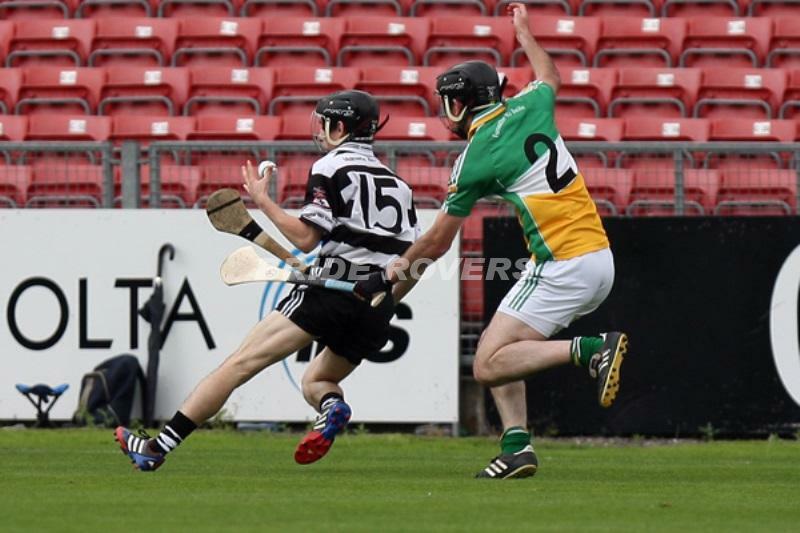 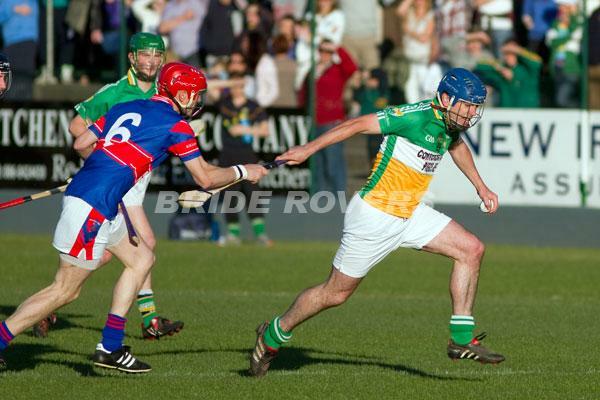 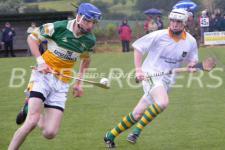 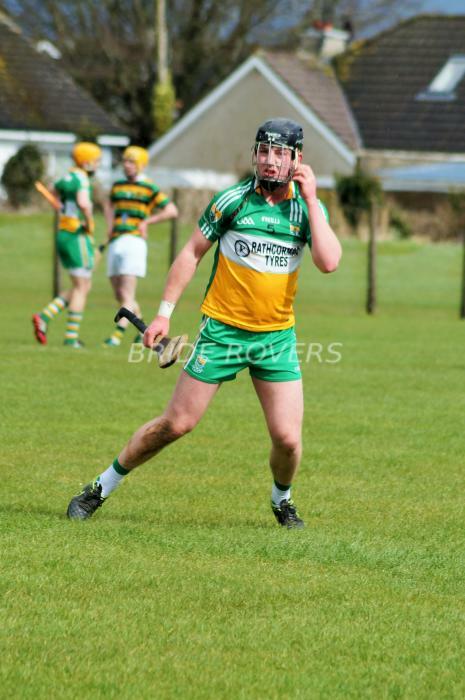 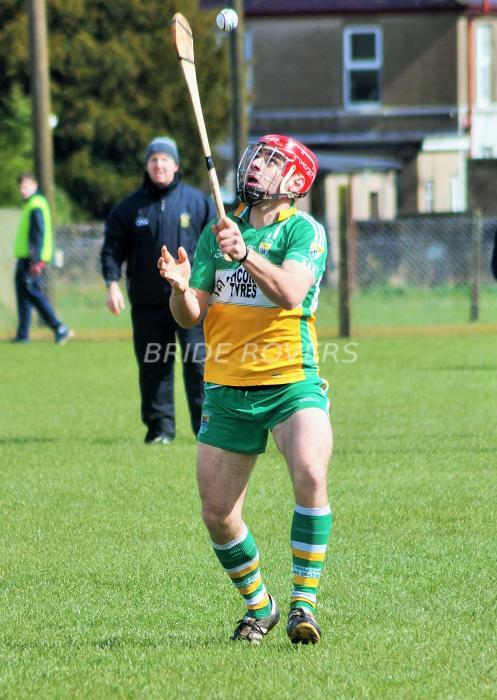 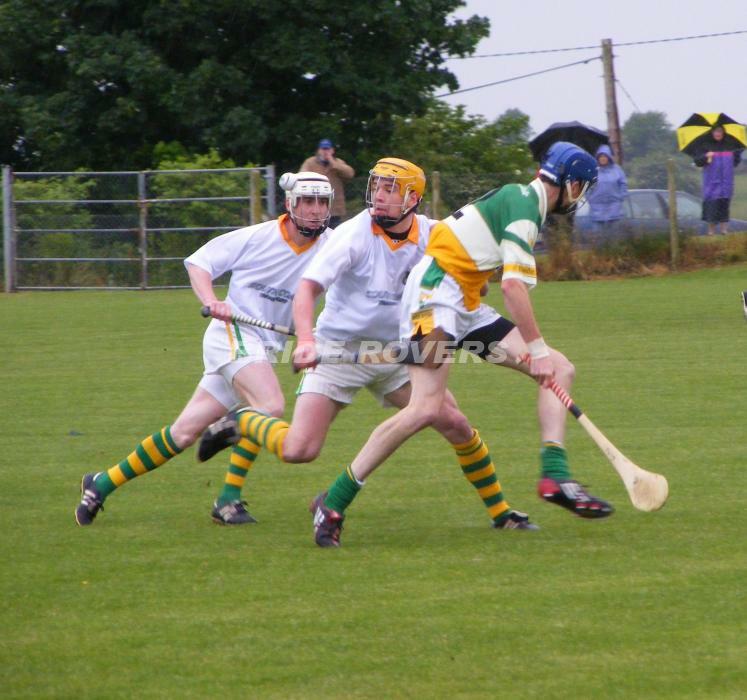 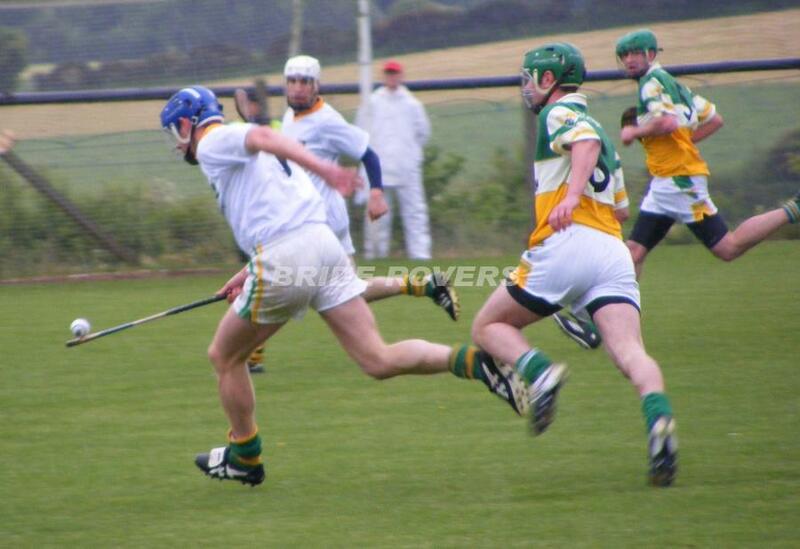 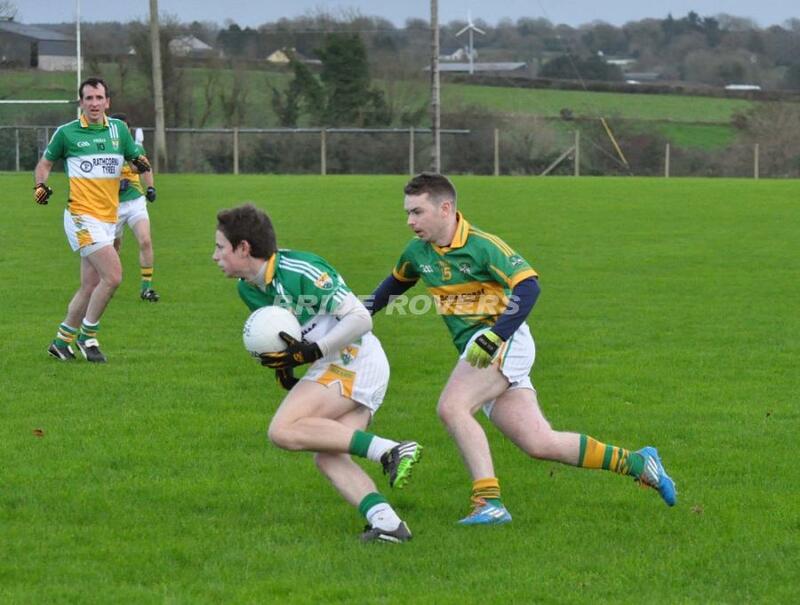 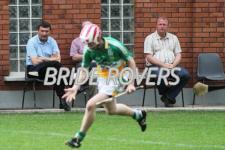 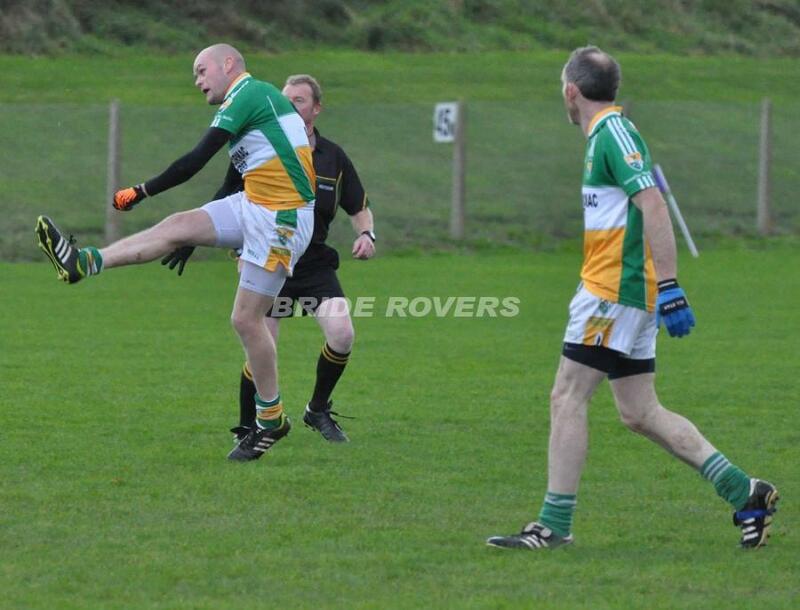 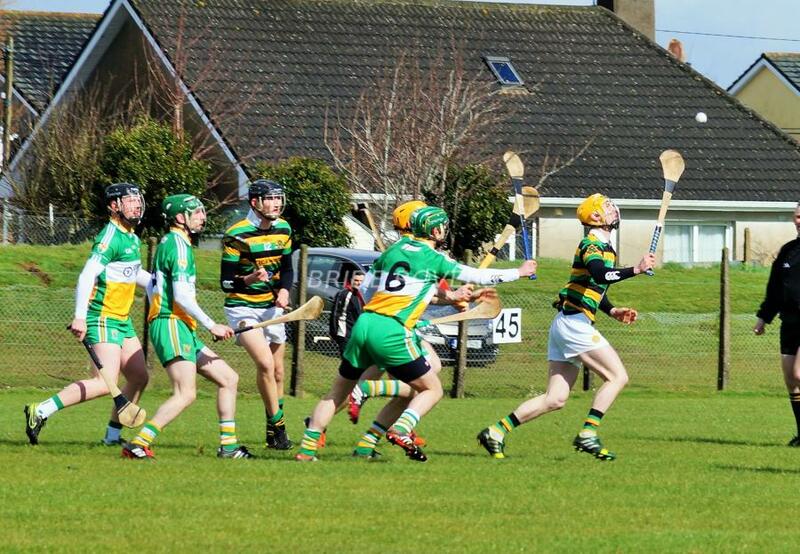 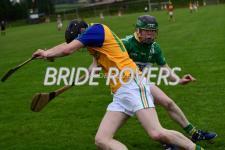 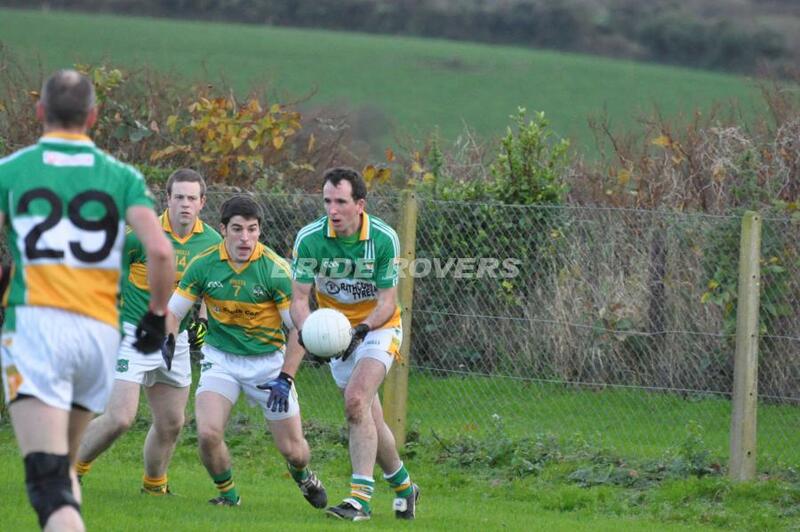 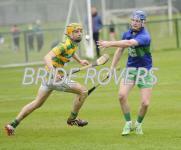 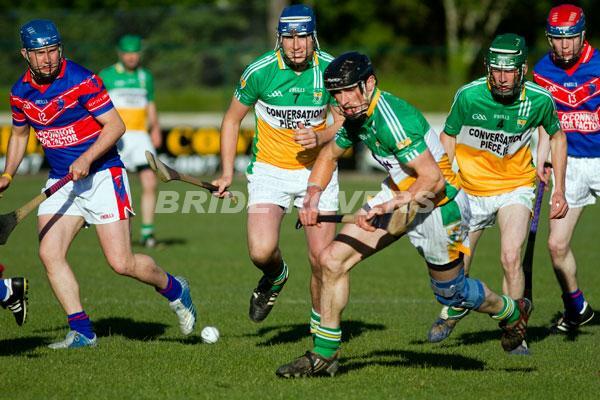 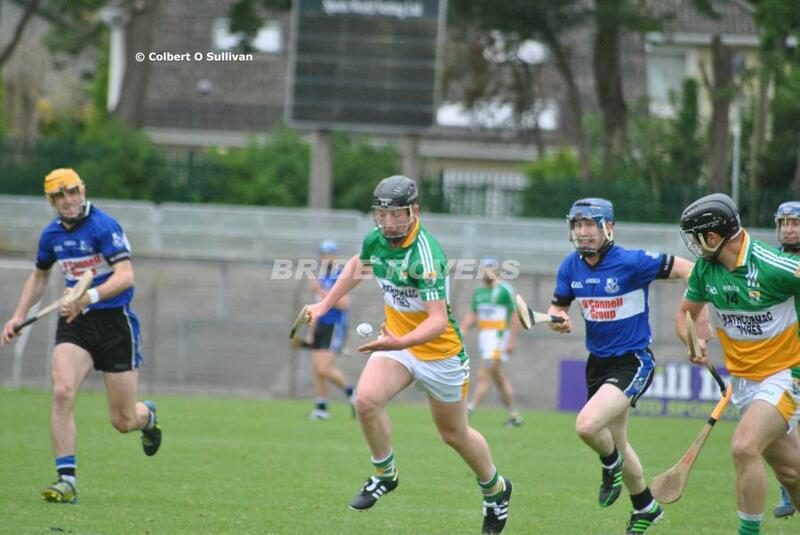 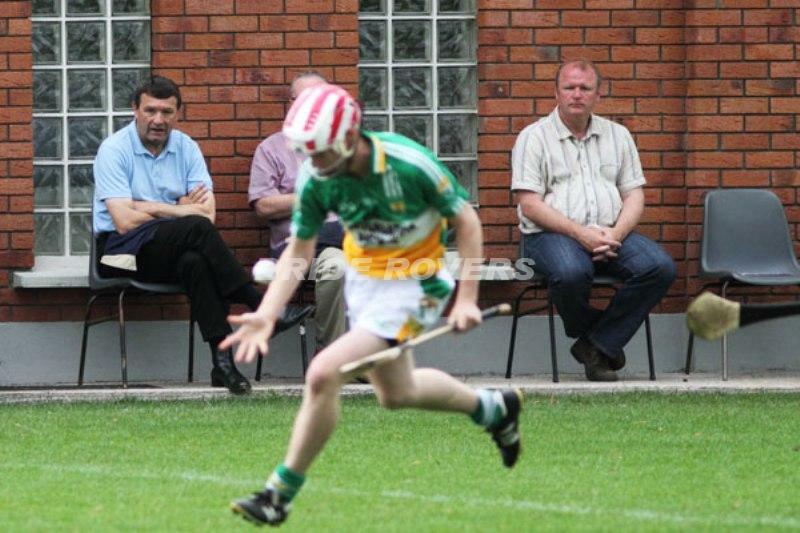 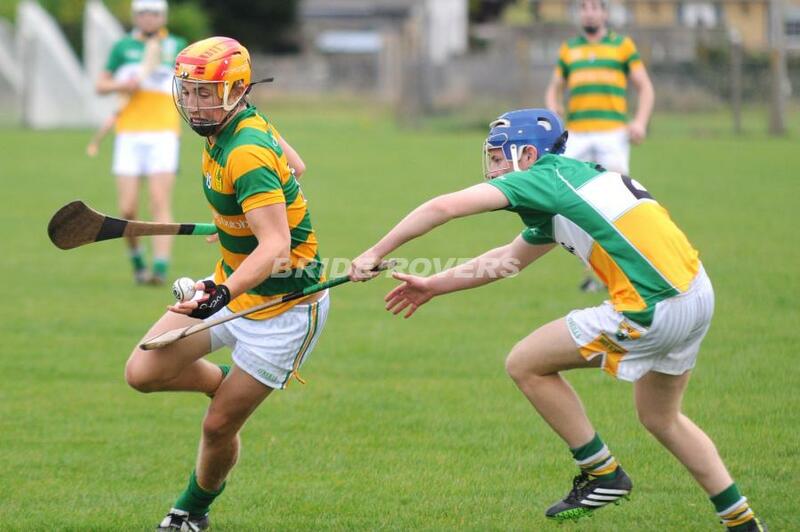 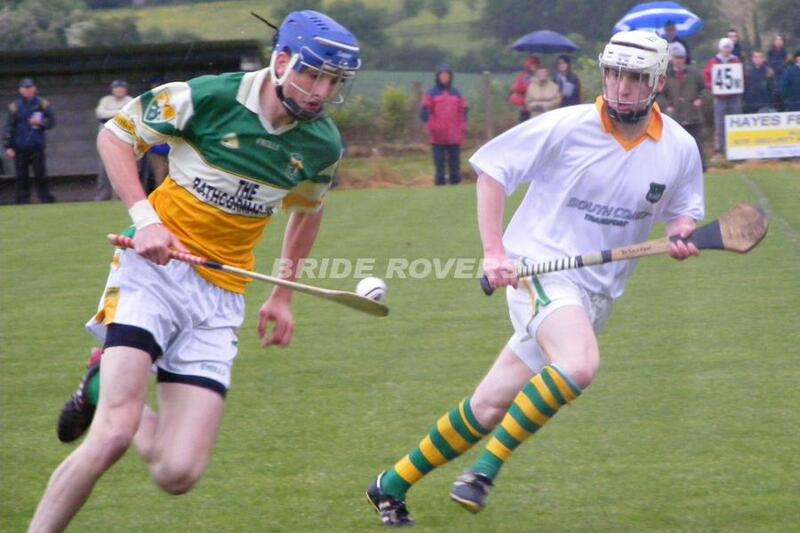 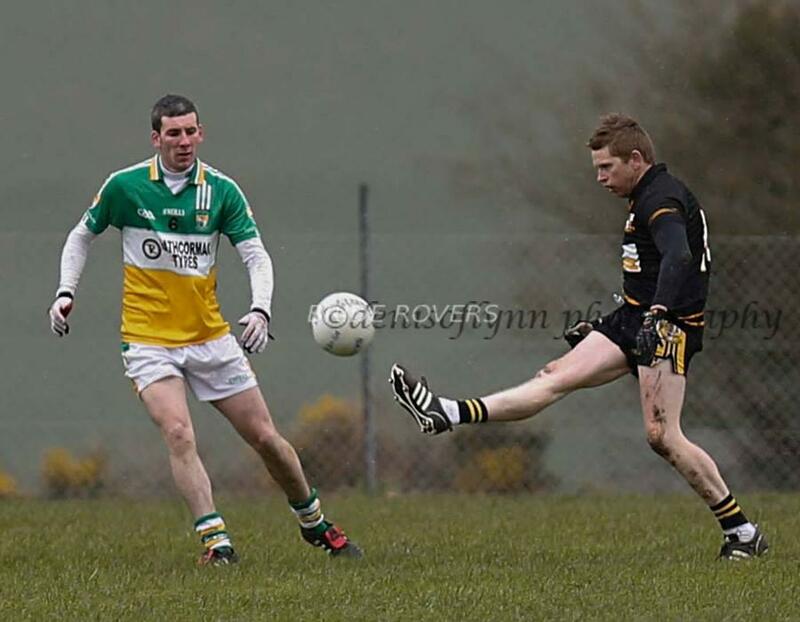 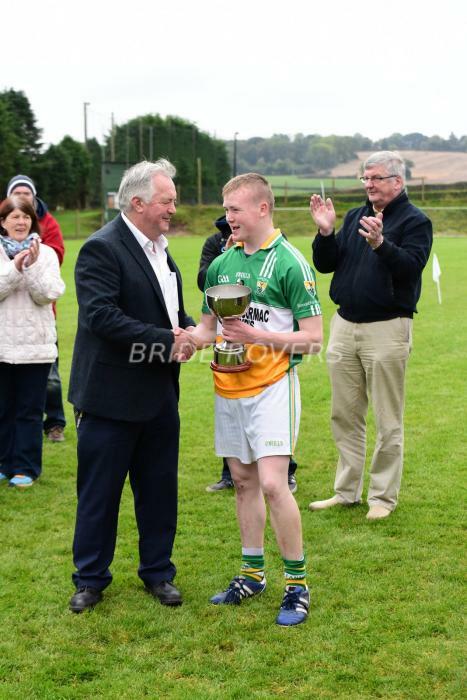 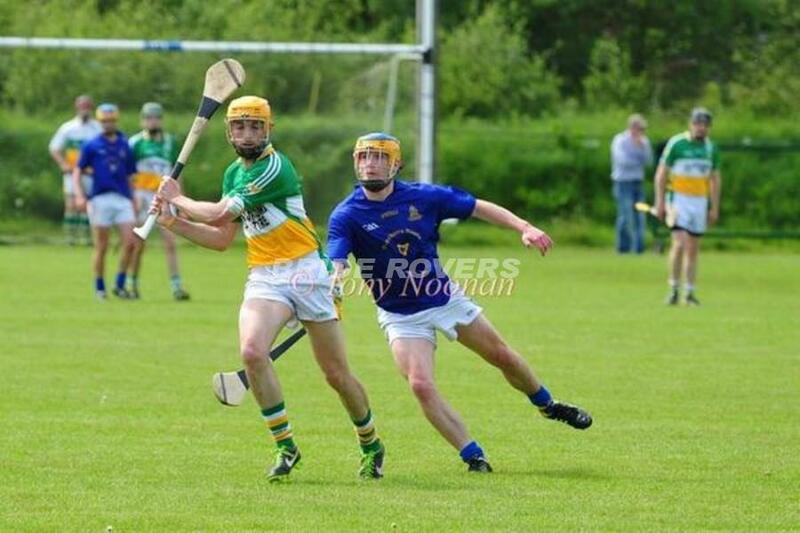 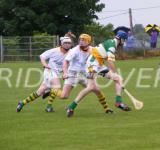 Sean Ryan in action V Cloyne ! 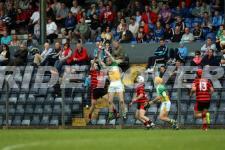 Daniel Dooleys attempt is blocked down. 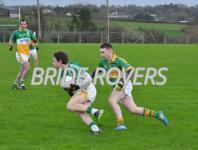 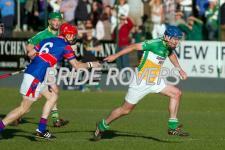 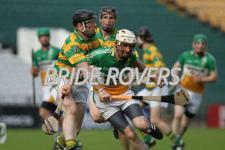 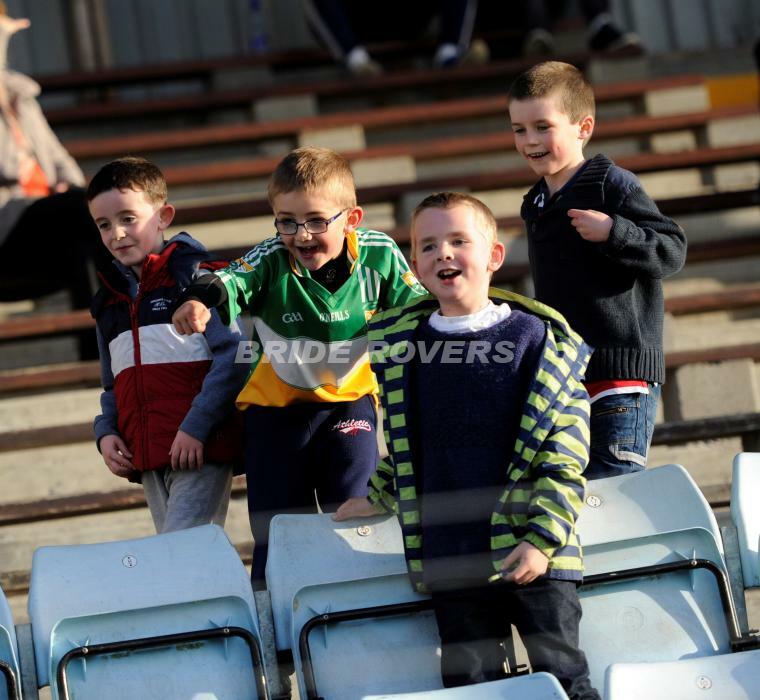 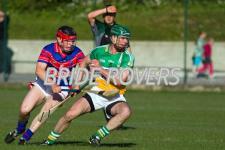 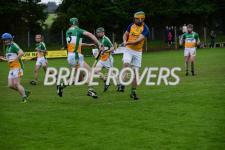 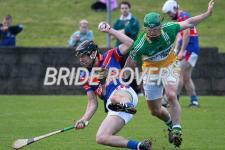 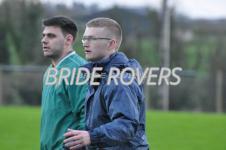 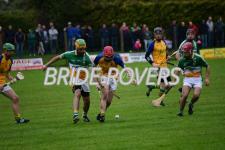 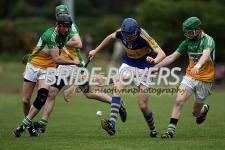 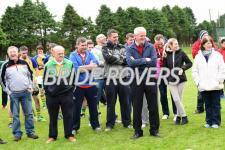 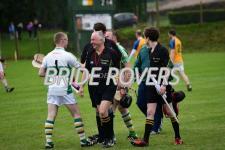 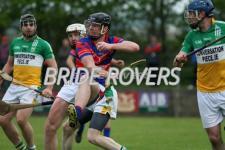 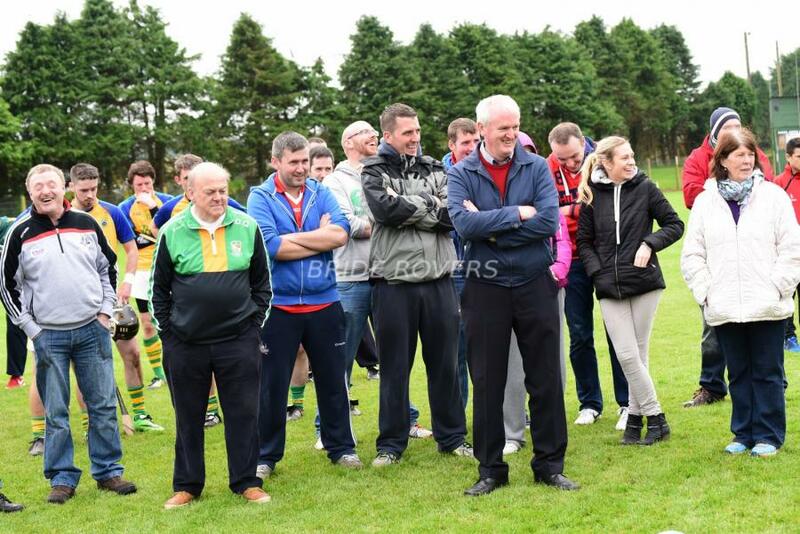 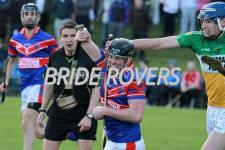 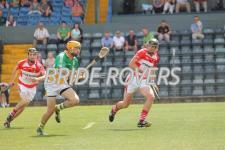 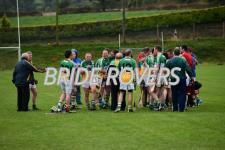 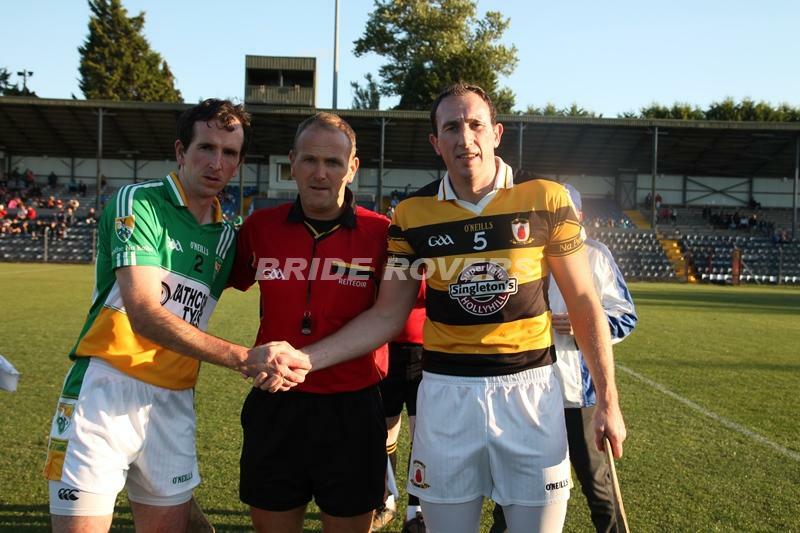 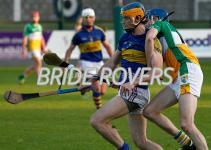 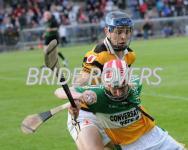 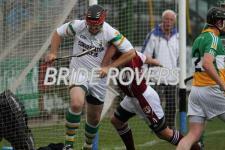 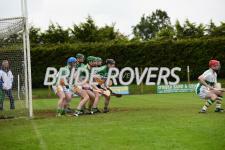 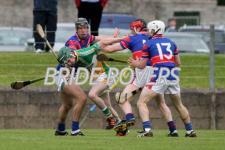 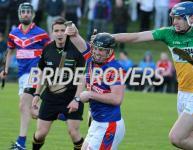 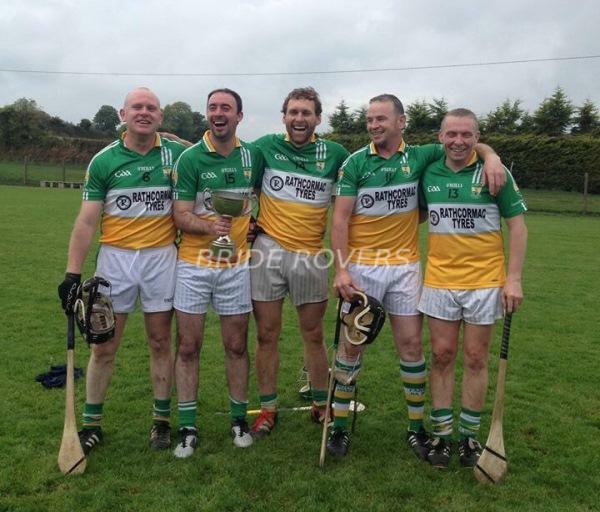 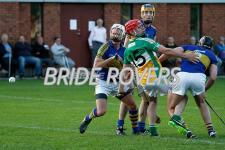 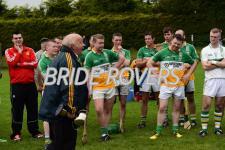 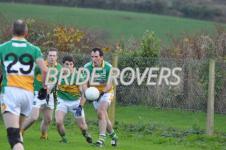 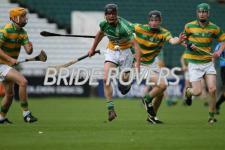 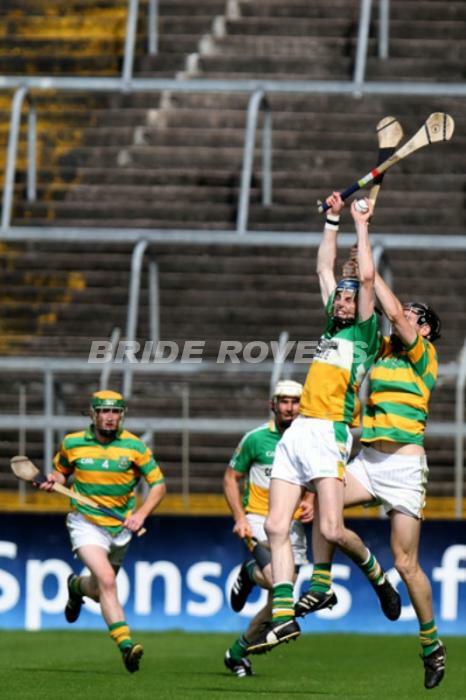 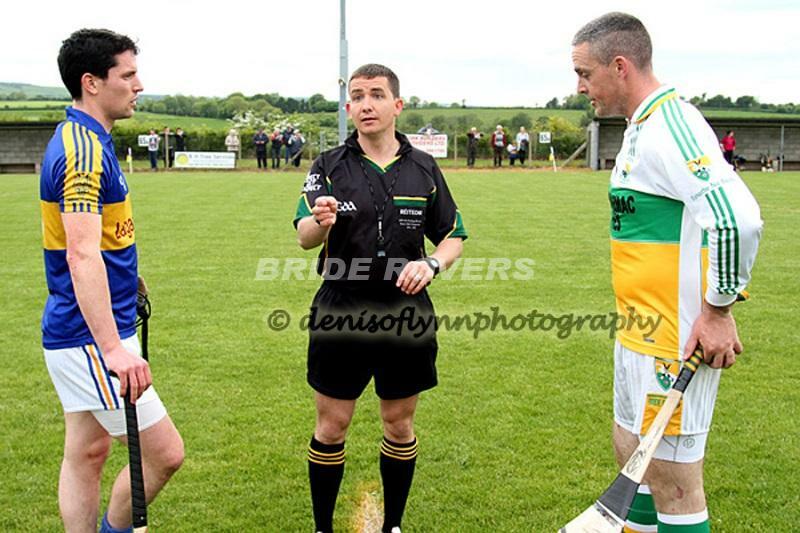 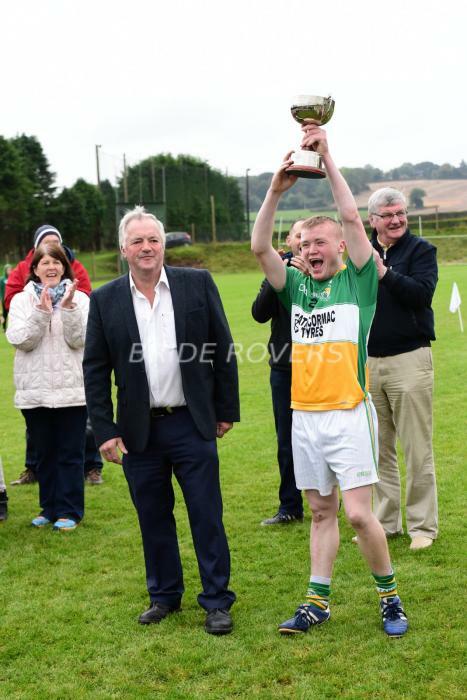 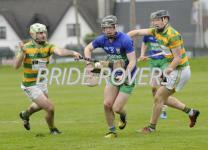 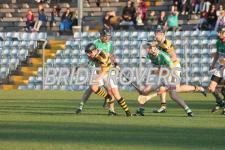 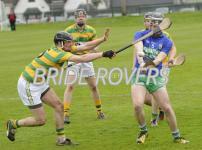 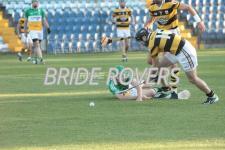 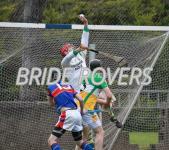 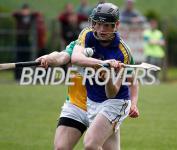 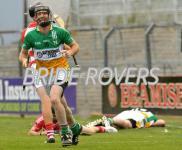 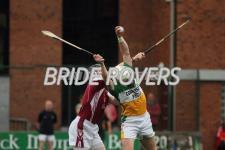 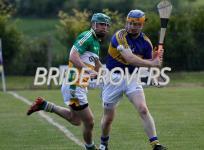 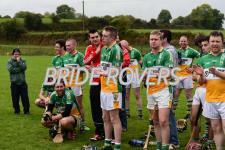 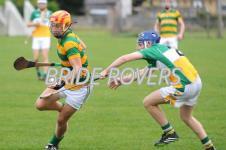 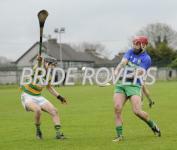 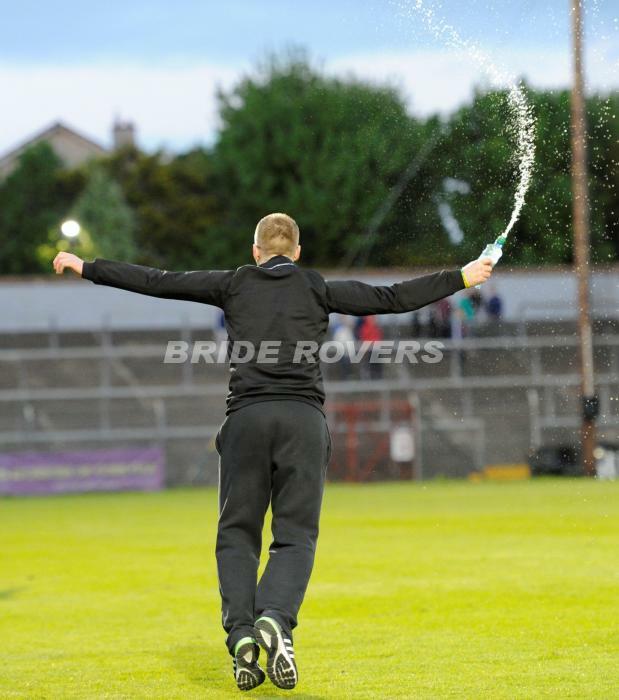 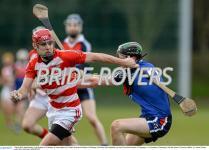 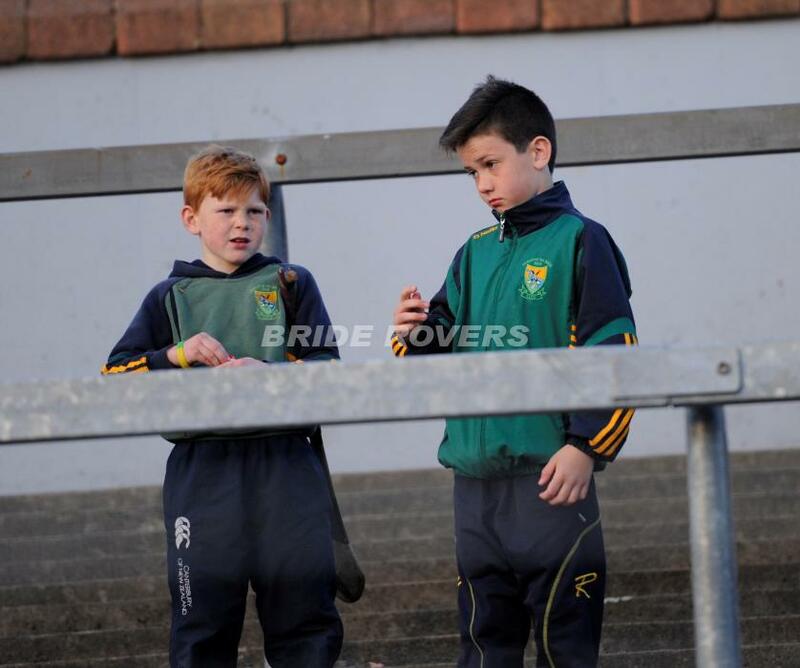 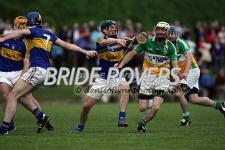 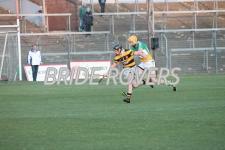 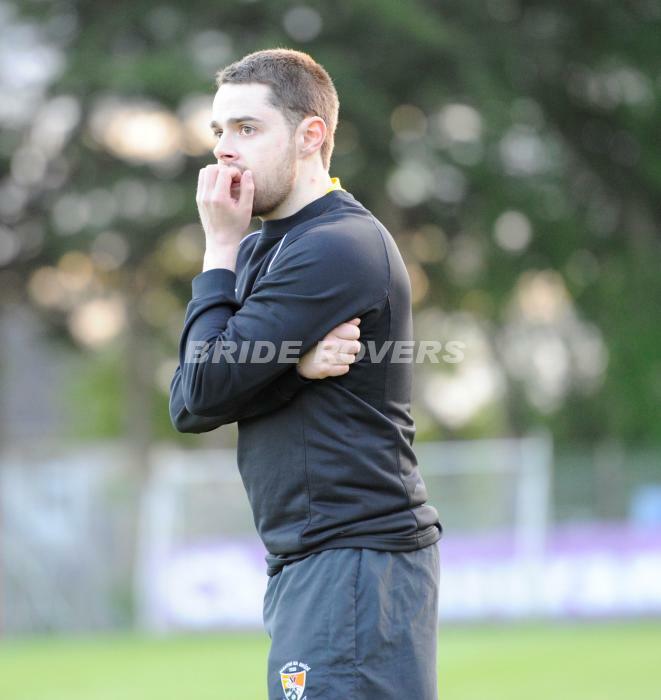 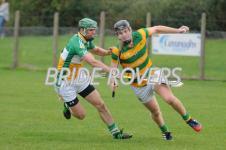 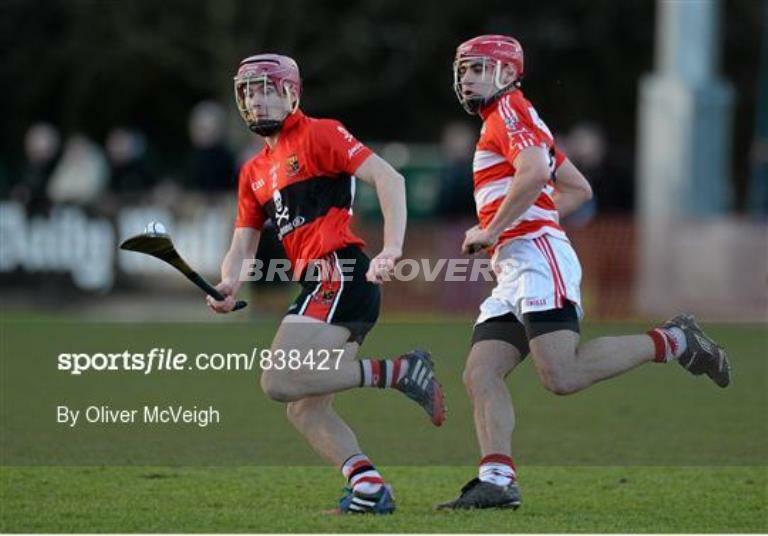 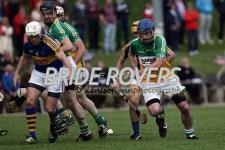 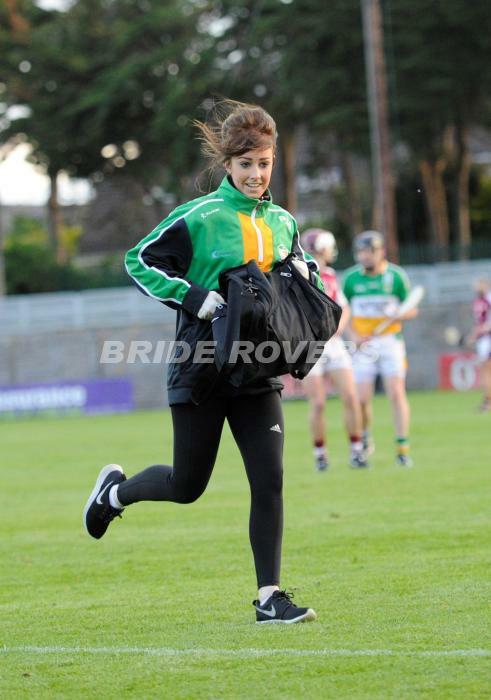 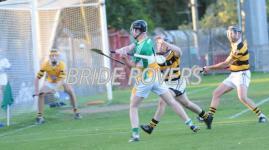 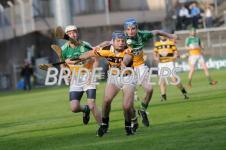 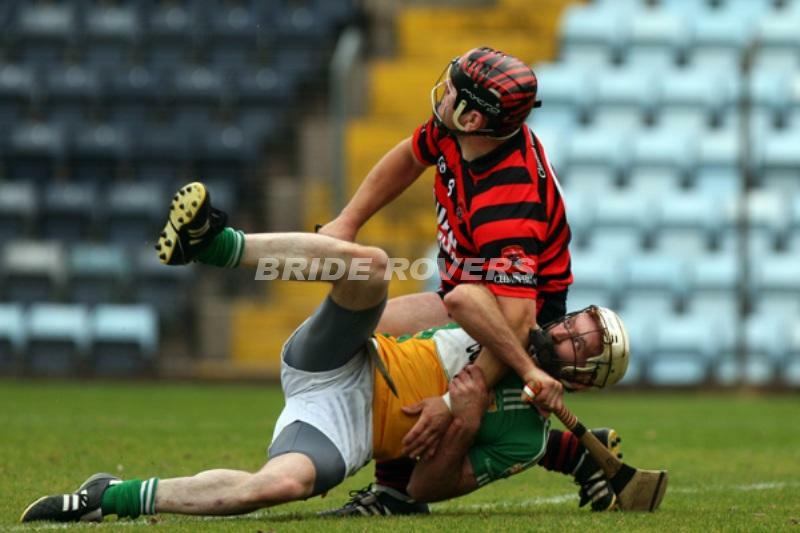 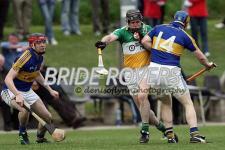 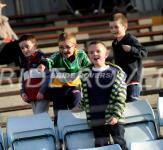 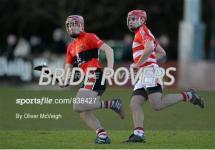 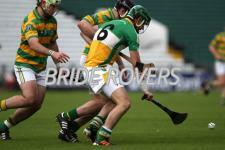 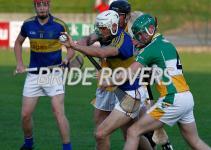 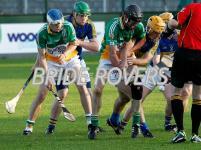 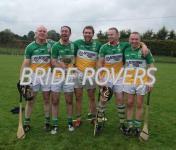 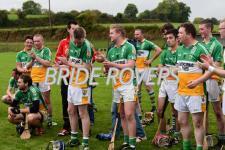 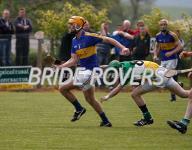 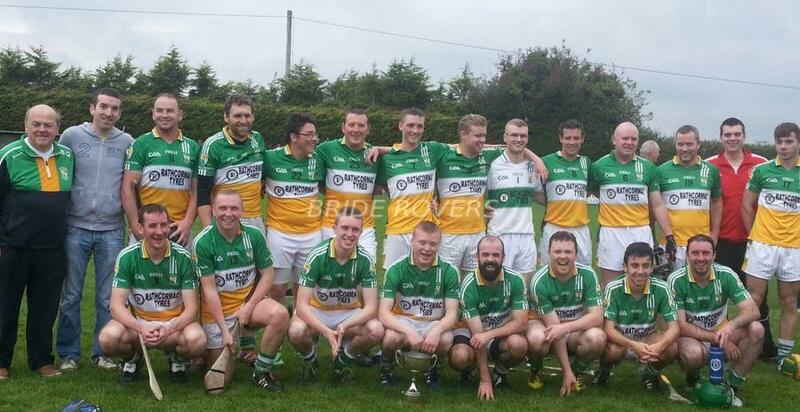 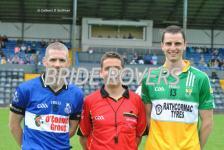 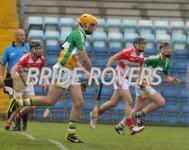 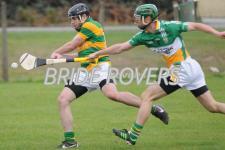 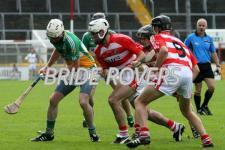 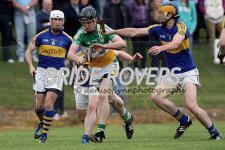 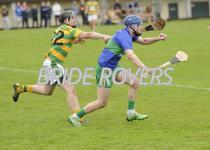 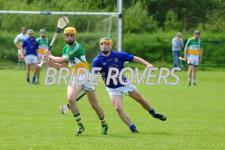 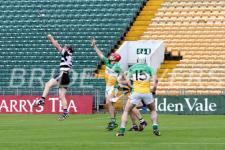 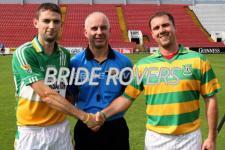 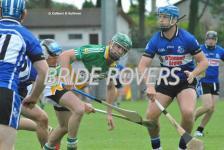 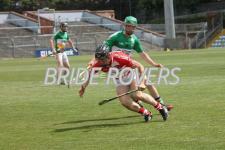 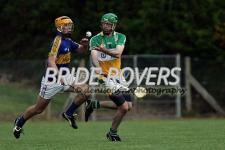 Bride Rovers V Na Piarsaigh. 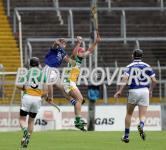 Brendan Walsh goes highest in this aerial duel with Shay Bowen Er Own.